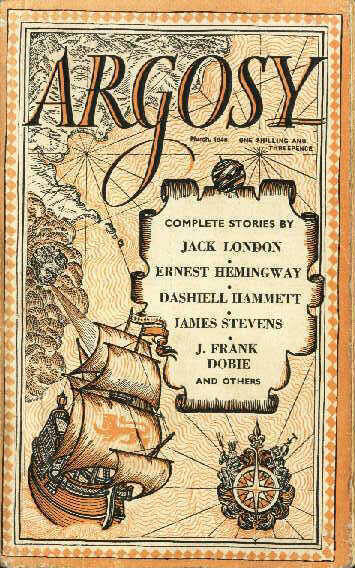 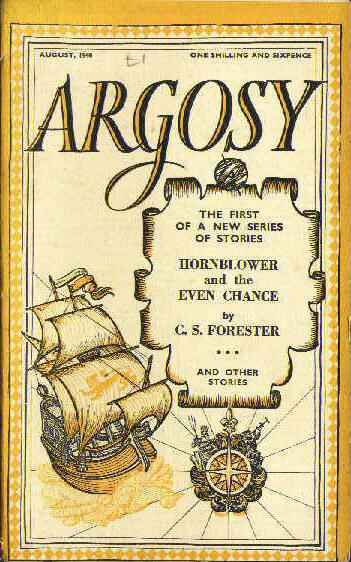 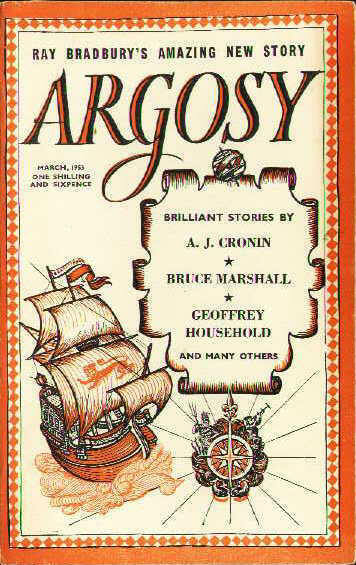 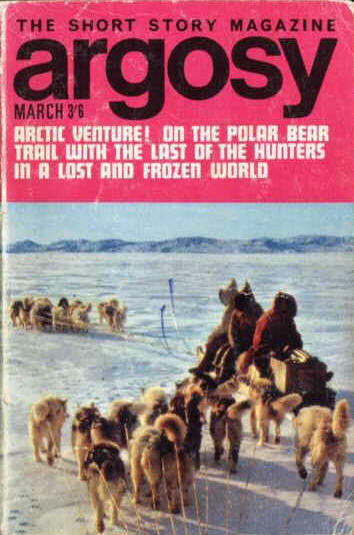 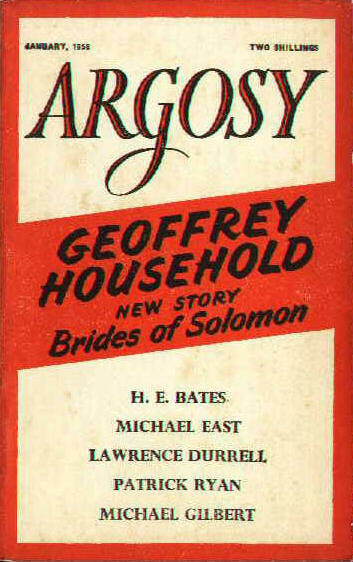 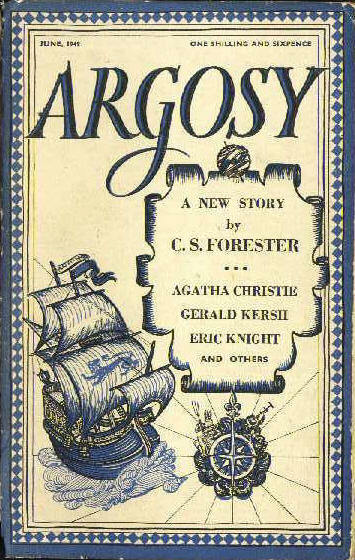 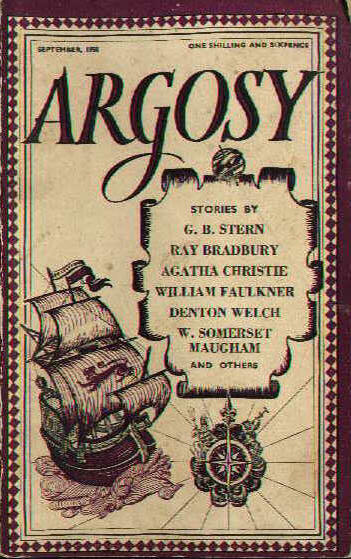 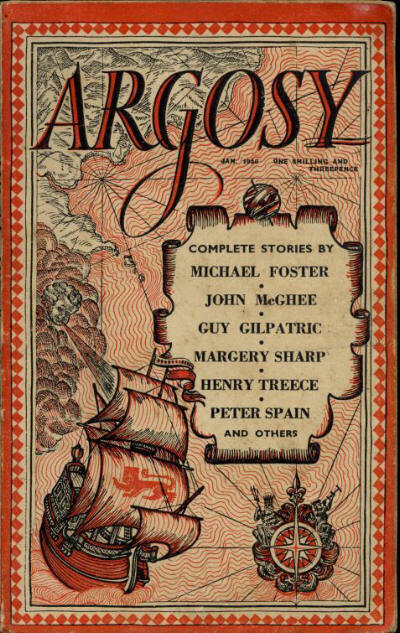 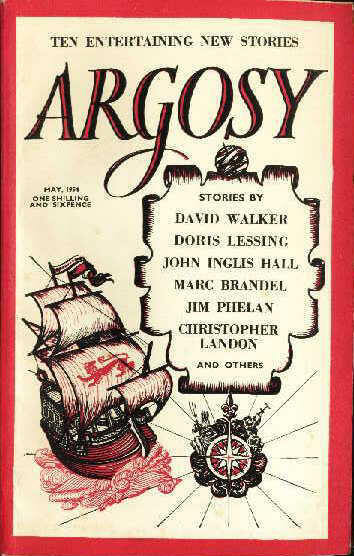 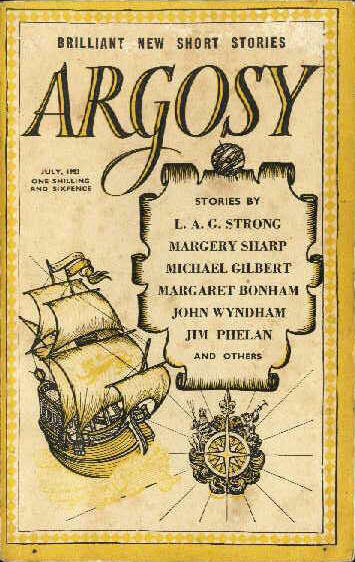 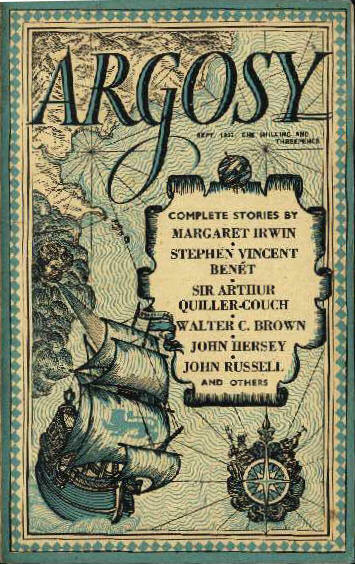 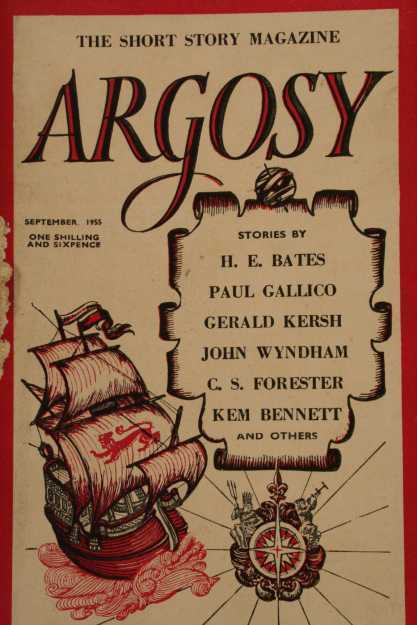 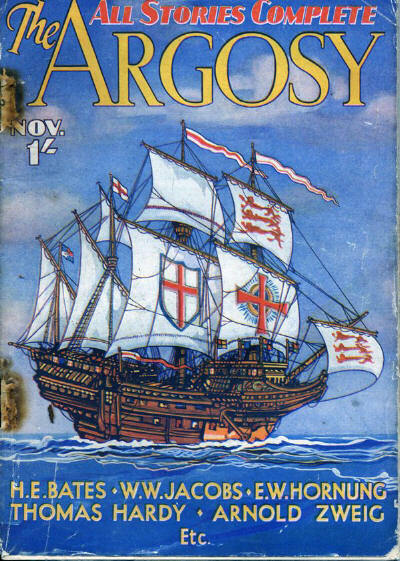 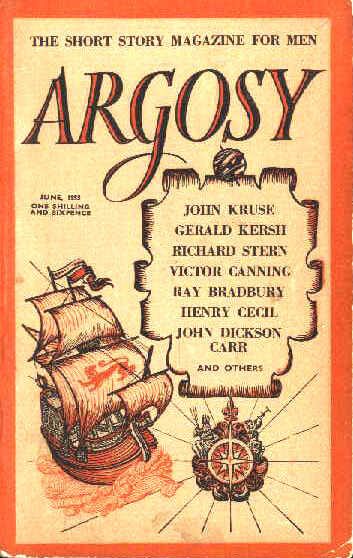 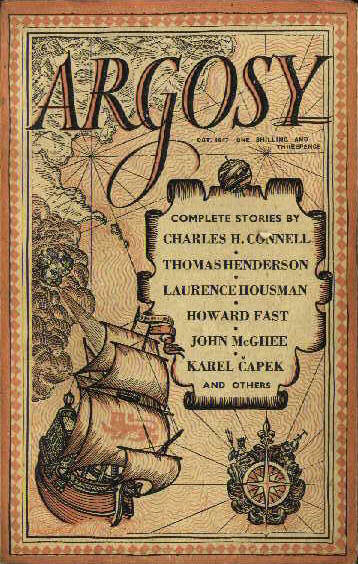 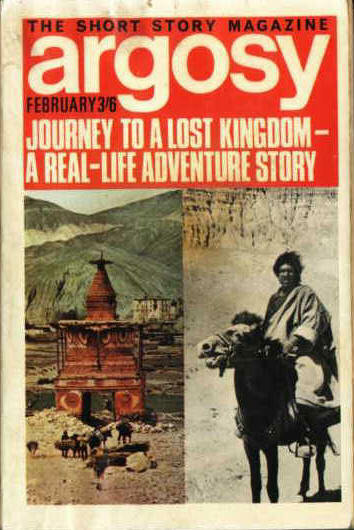 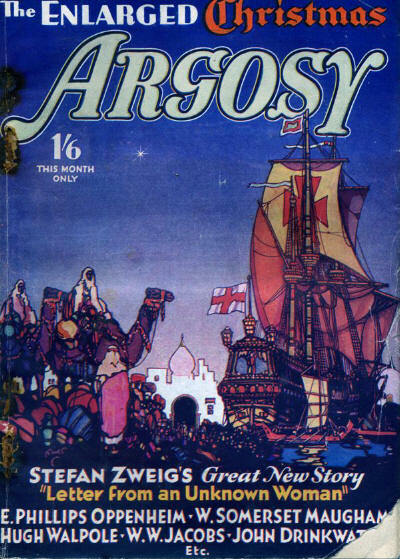 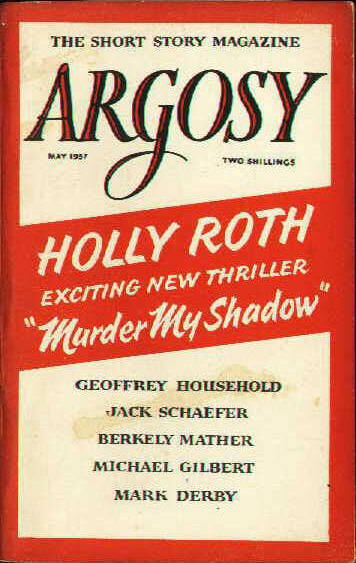 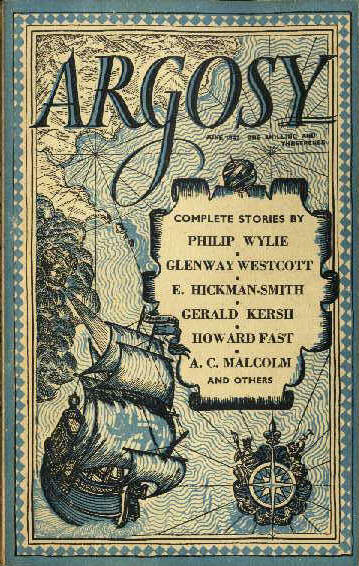 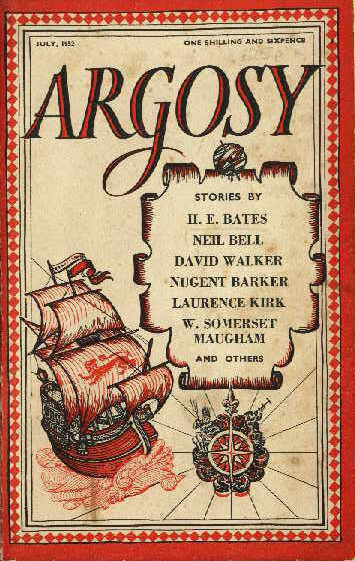 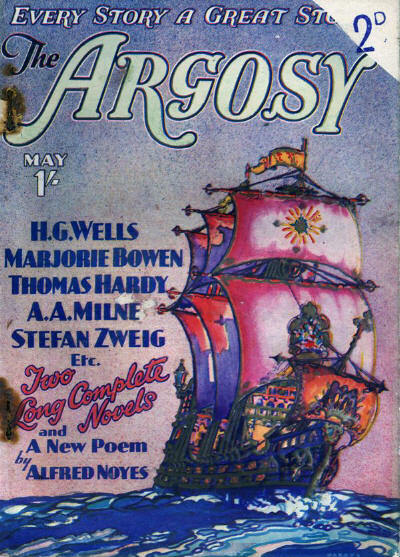 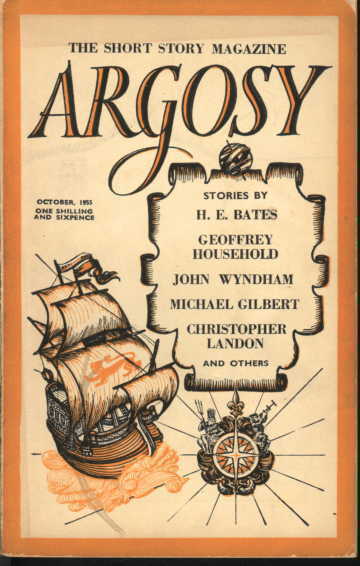 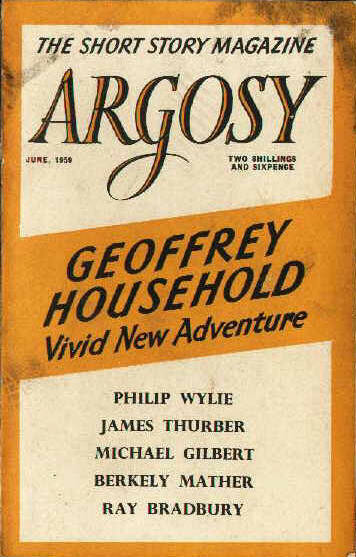 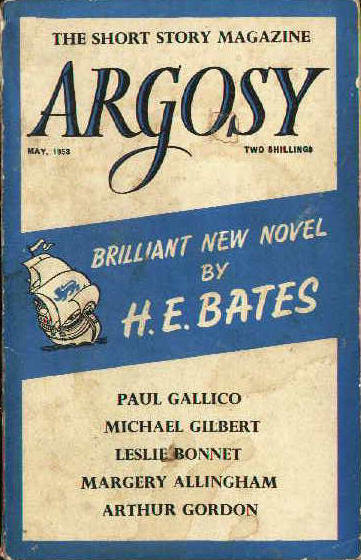 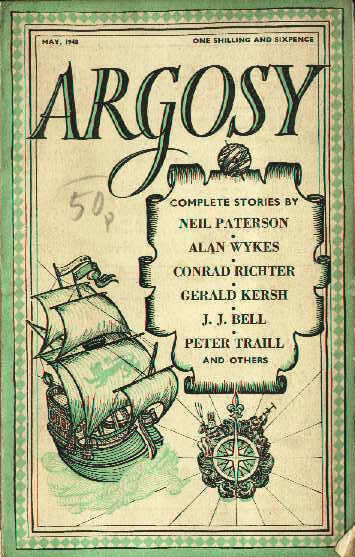 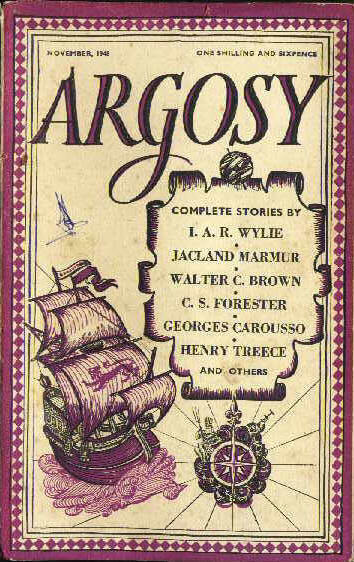 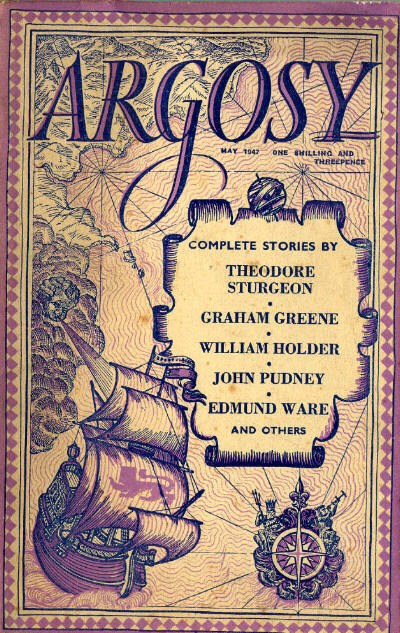 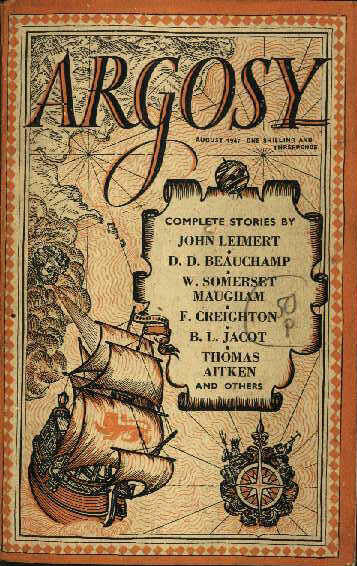 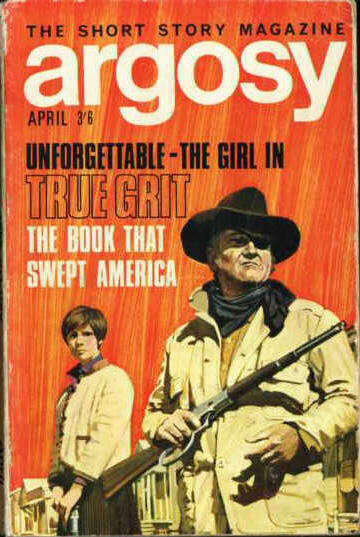 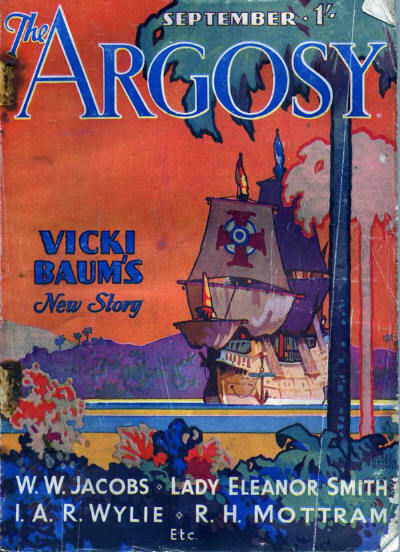 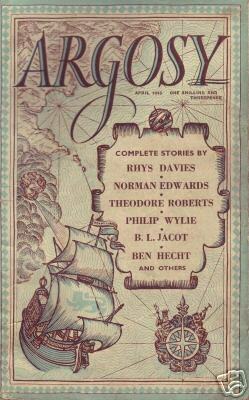 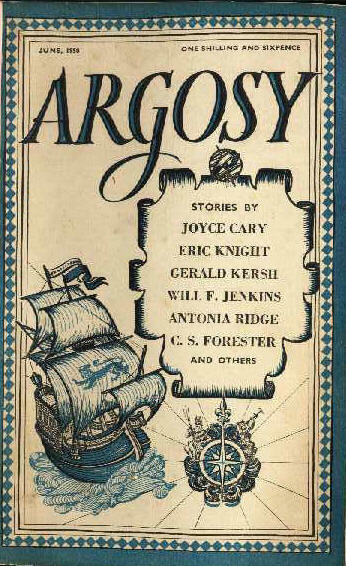 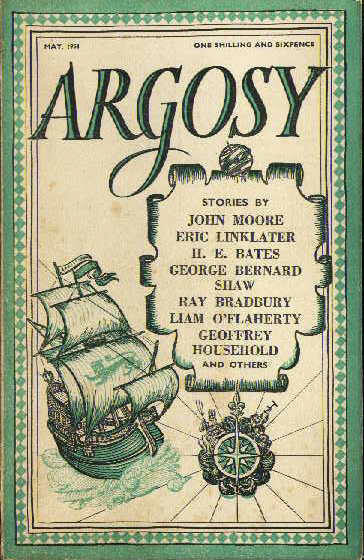 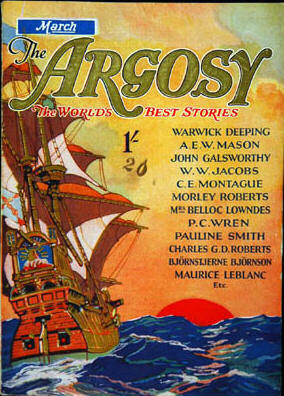 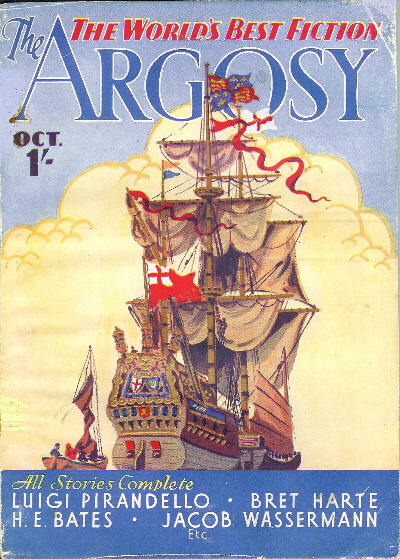 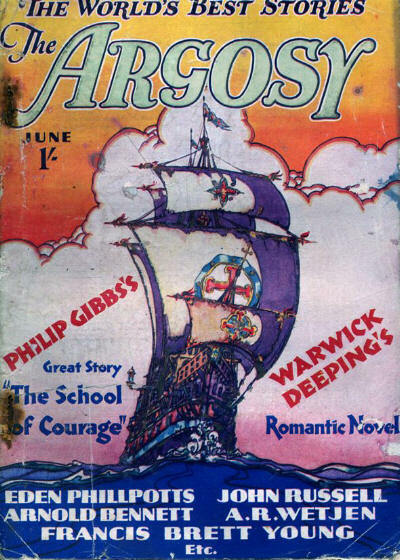 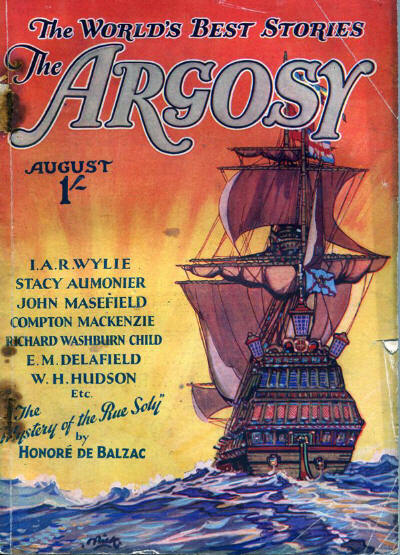 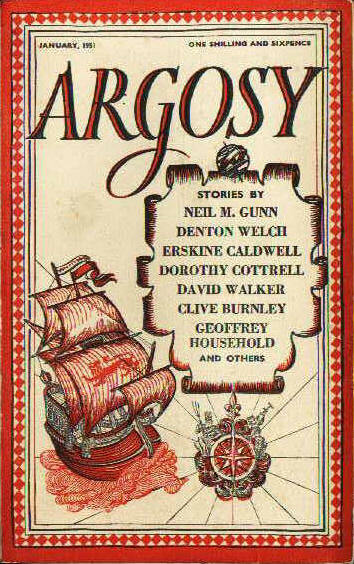 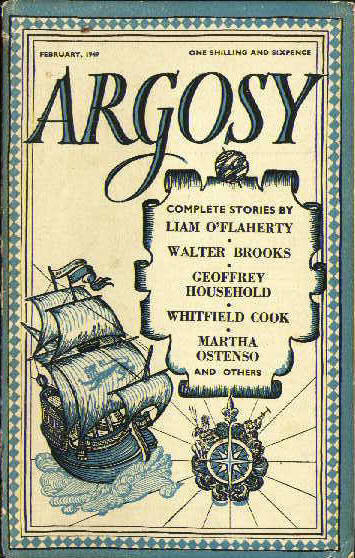 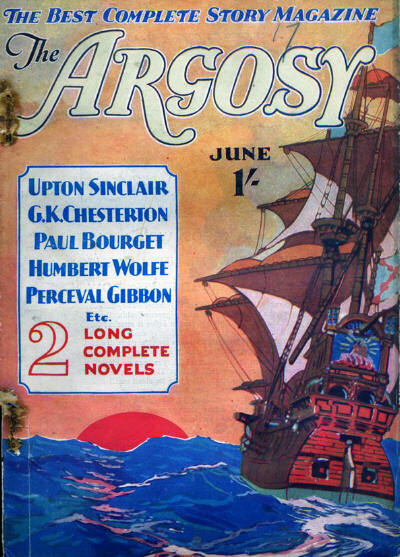 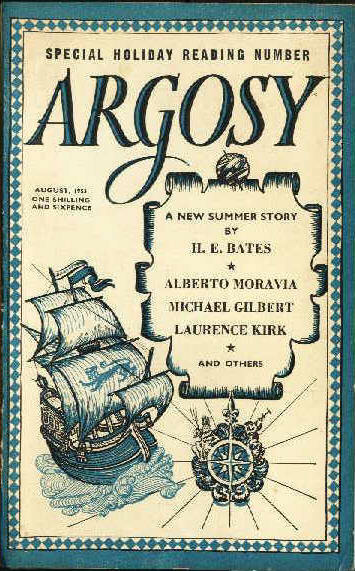 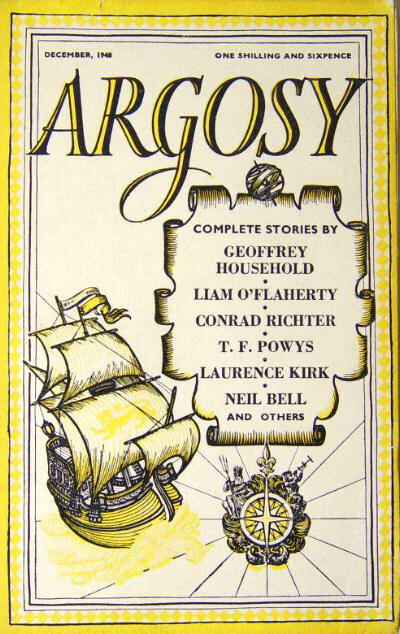 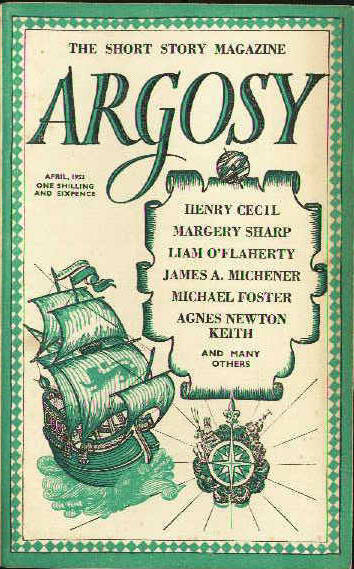 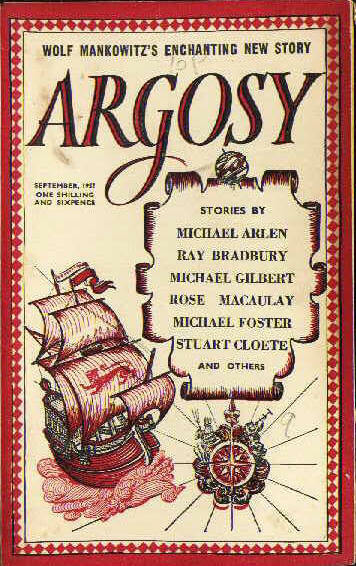 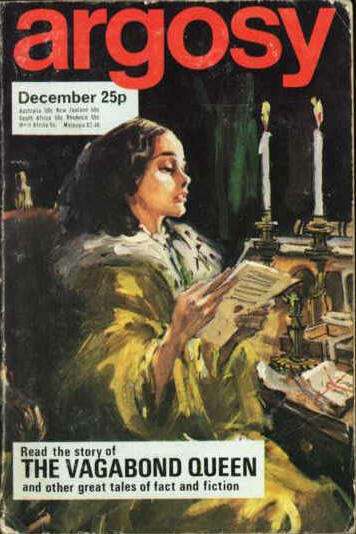 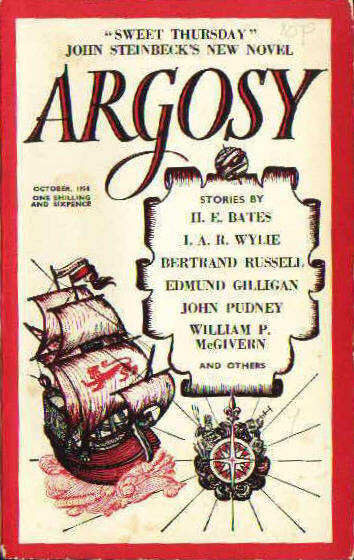 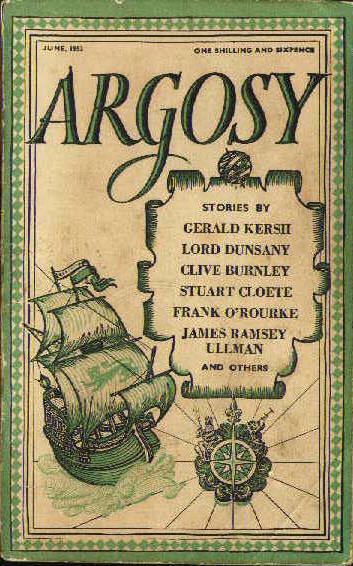 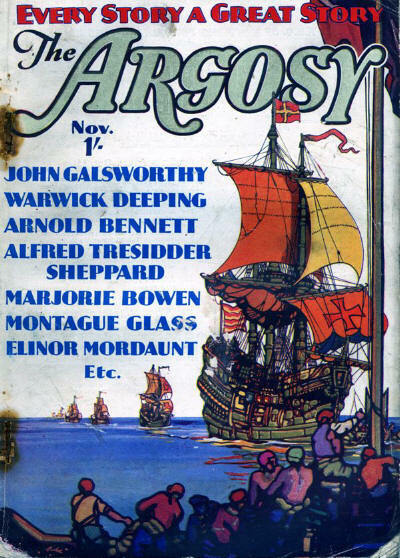 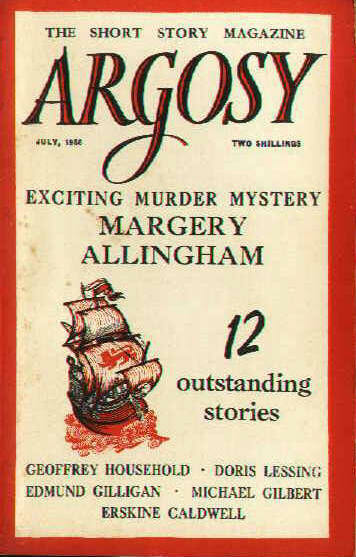 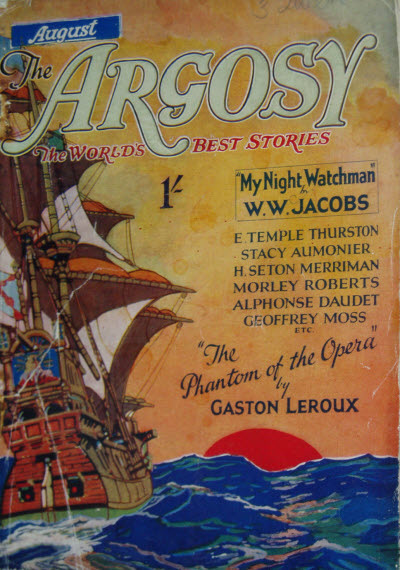 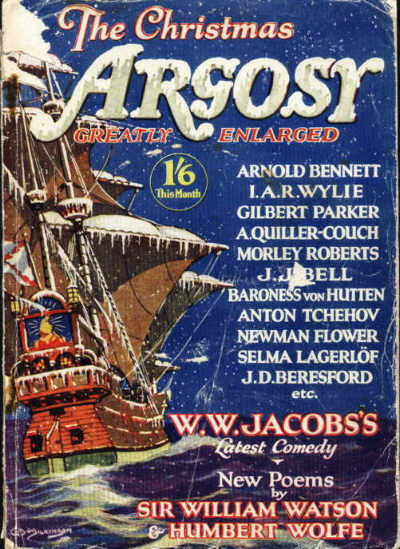 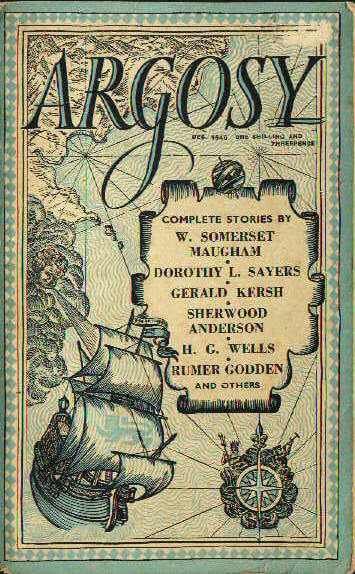 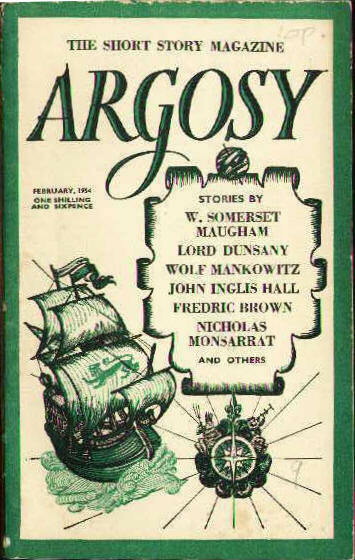 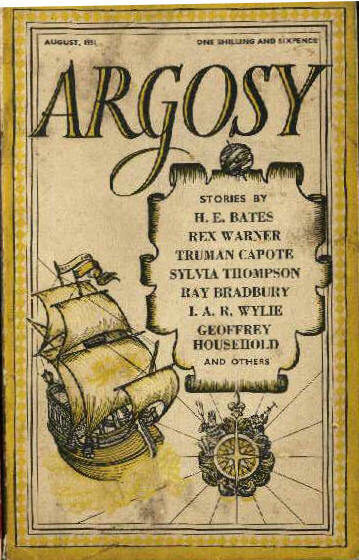 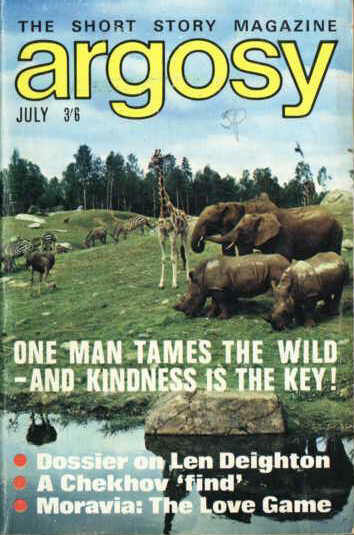 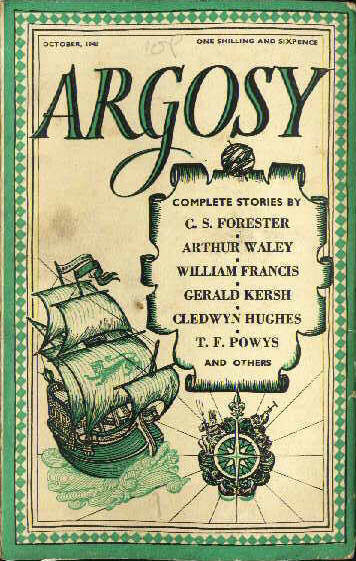 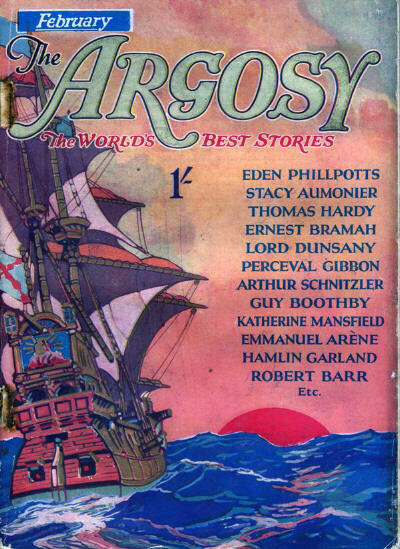 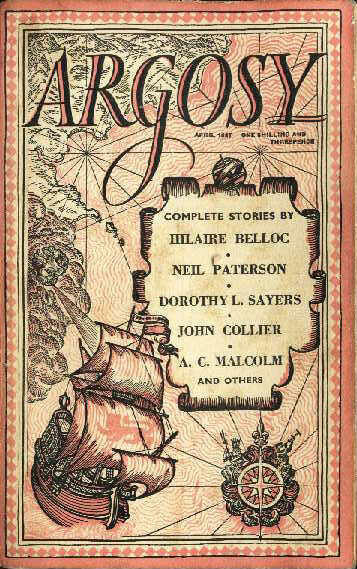 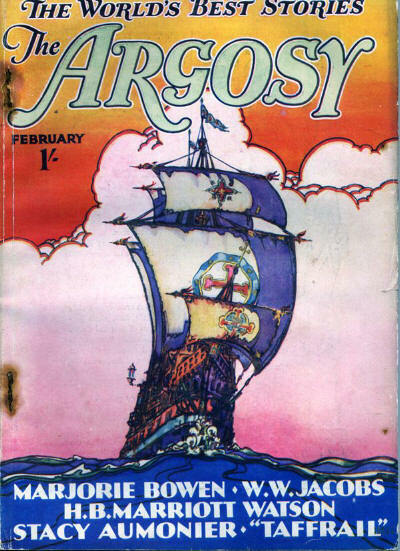 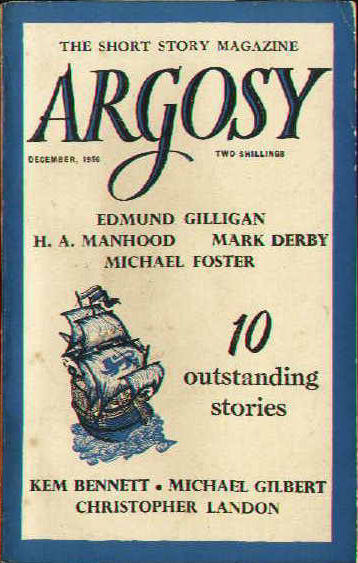 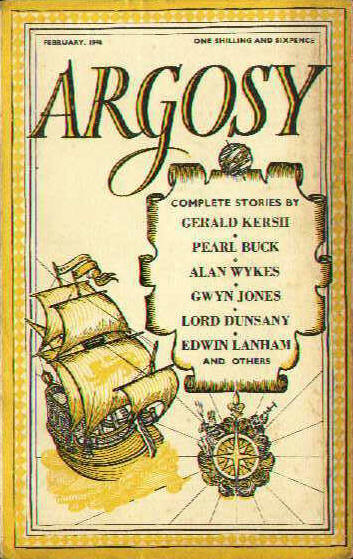 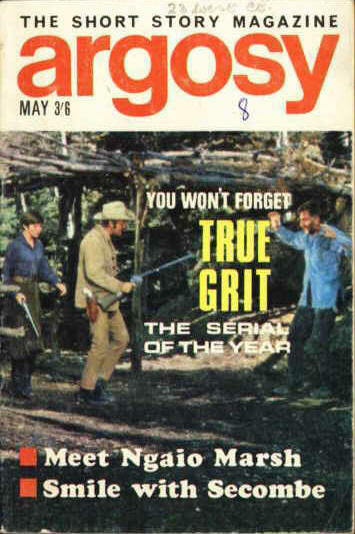 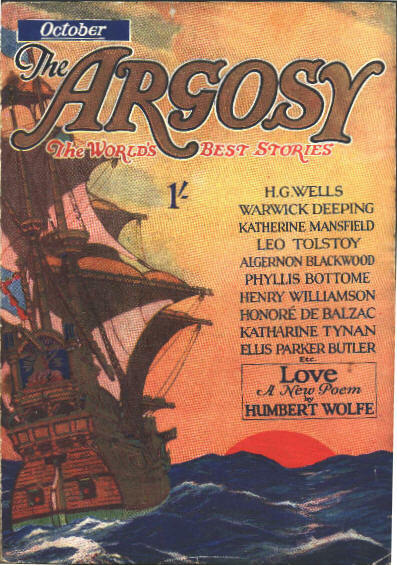 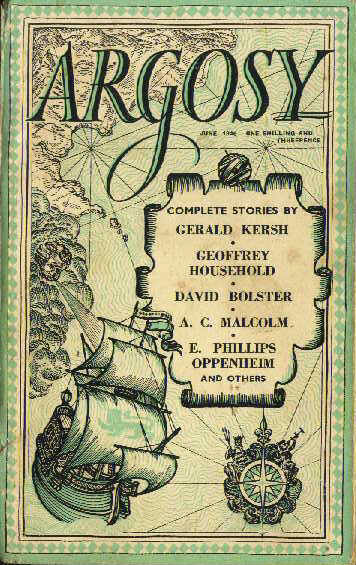 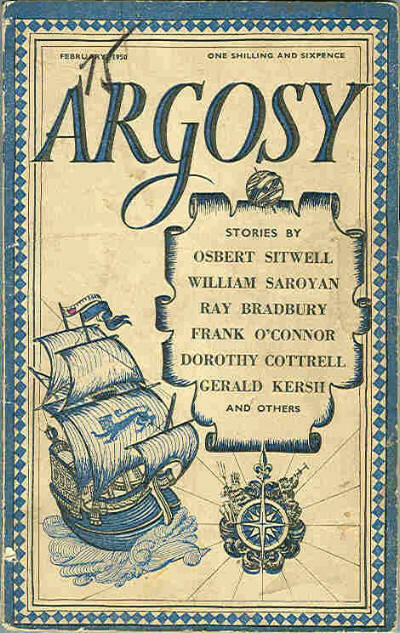 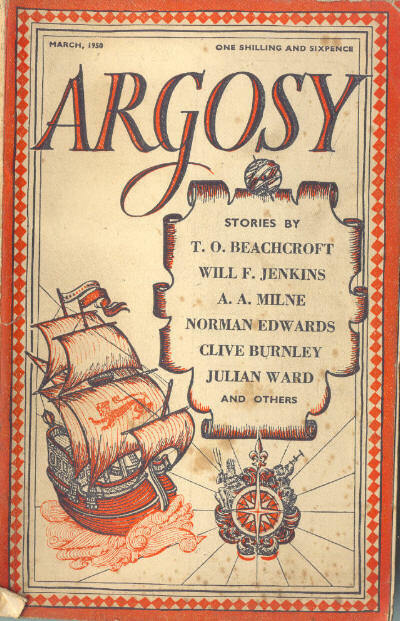 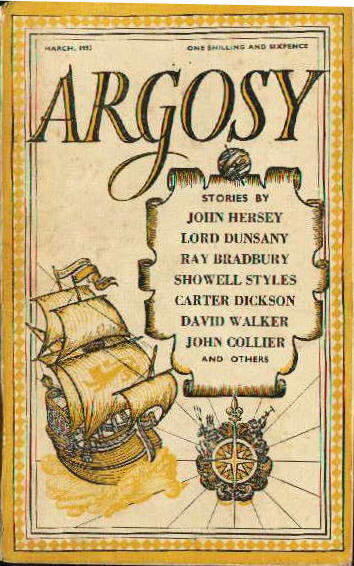 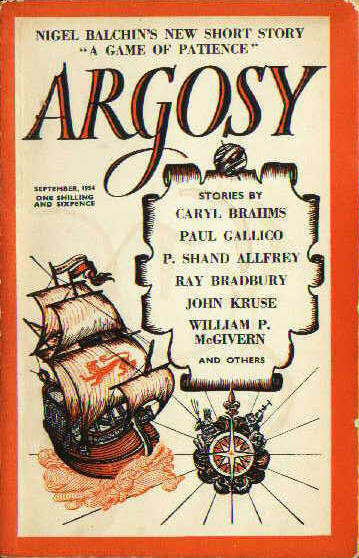 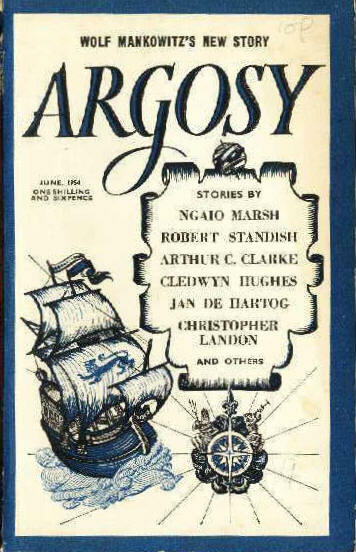 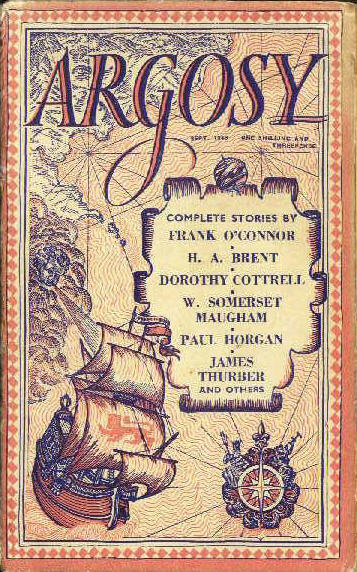 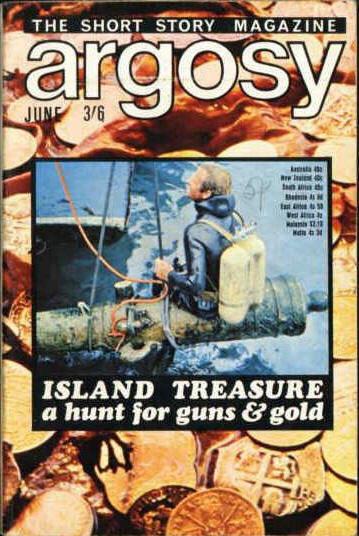 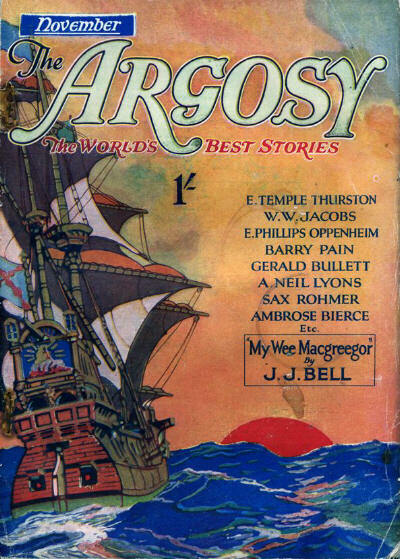 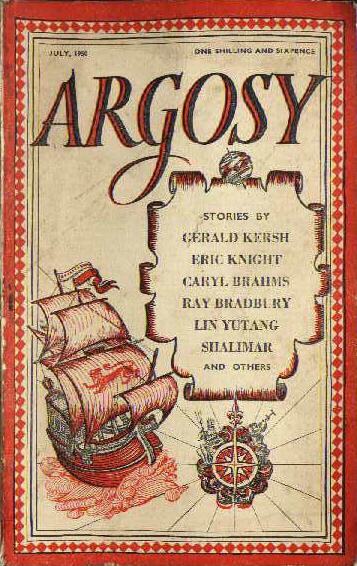 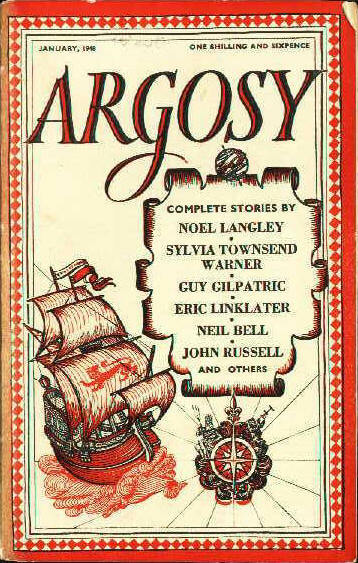 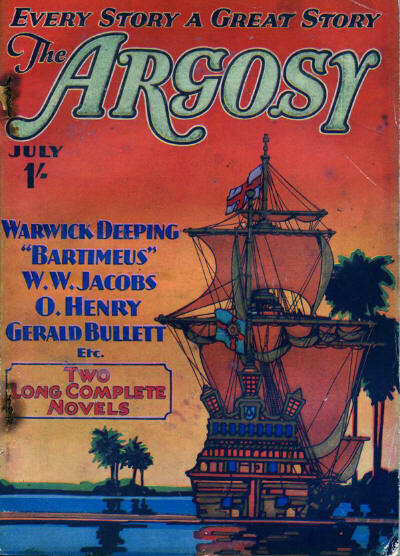 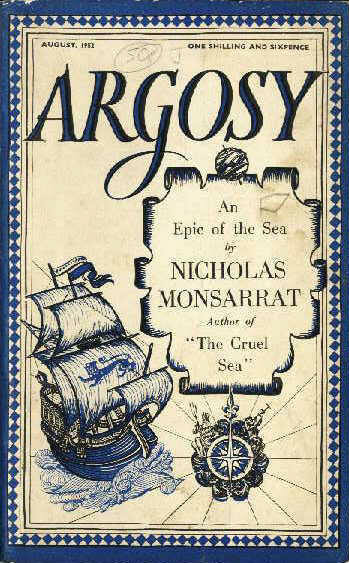 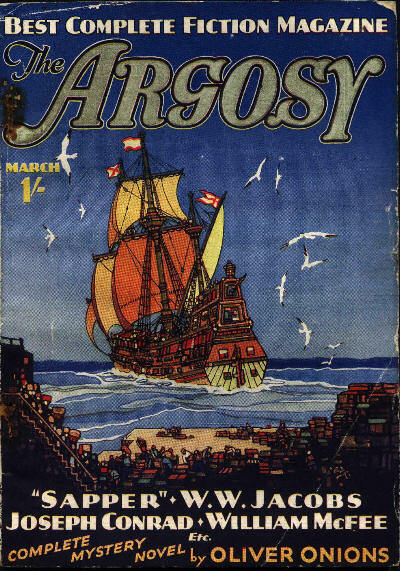 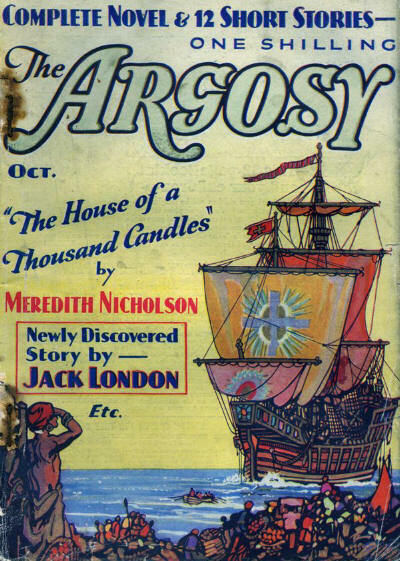 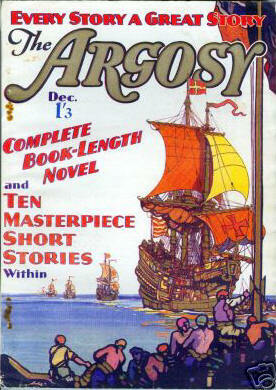 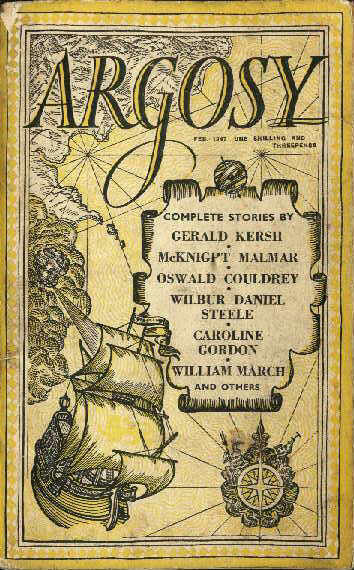 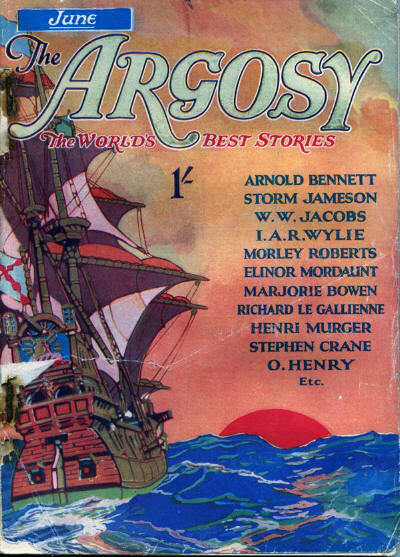 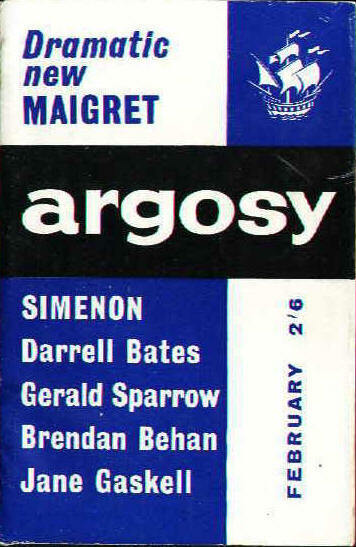 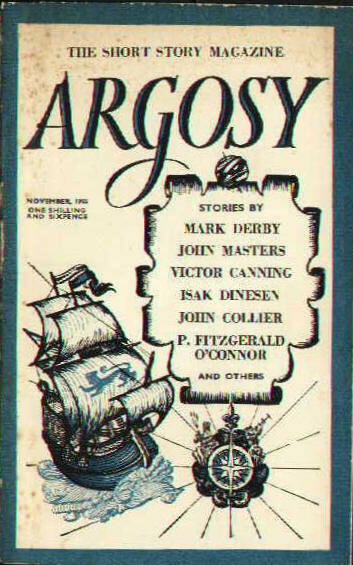 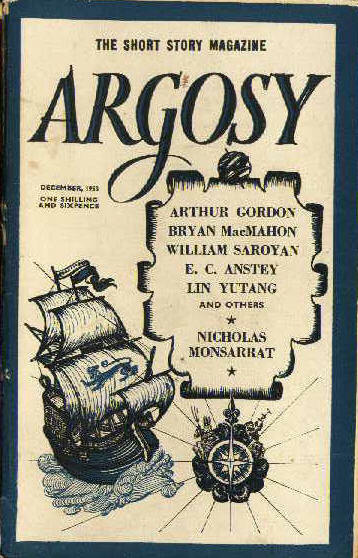 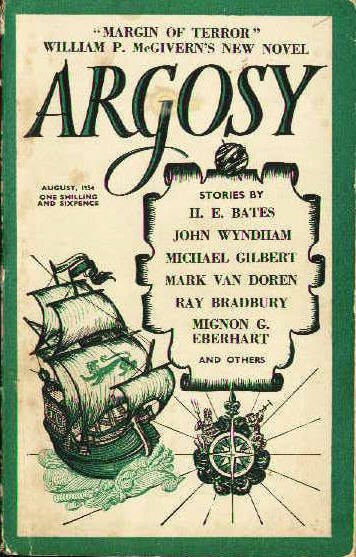 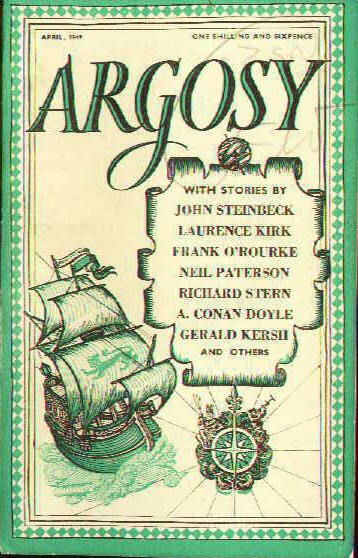 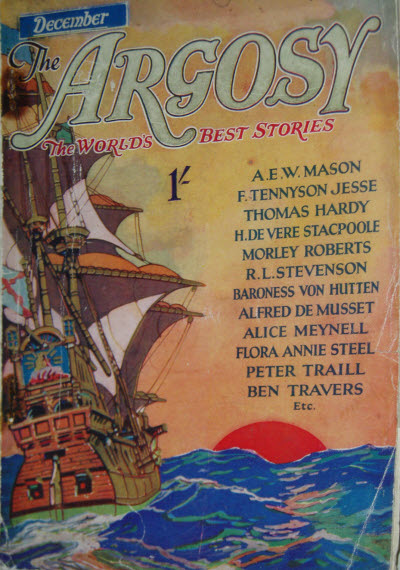 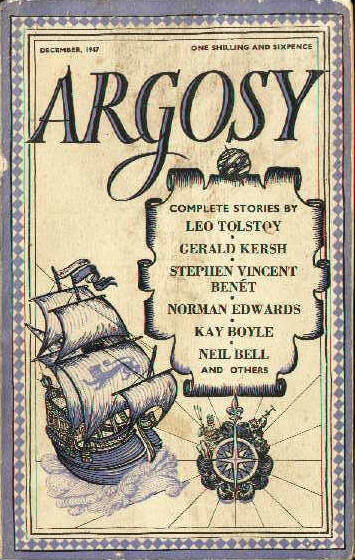 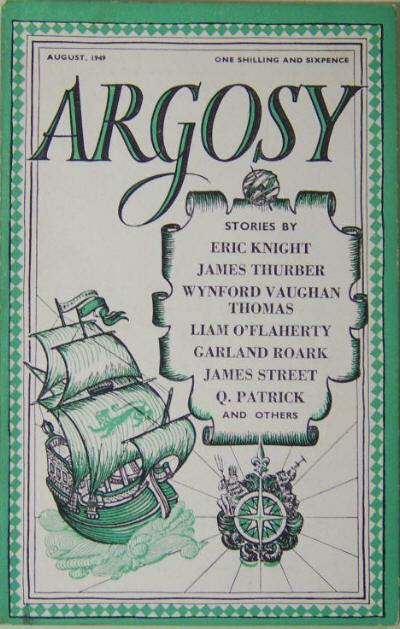 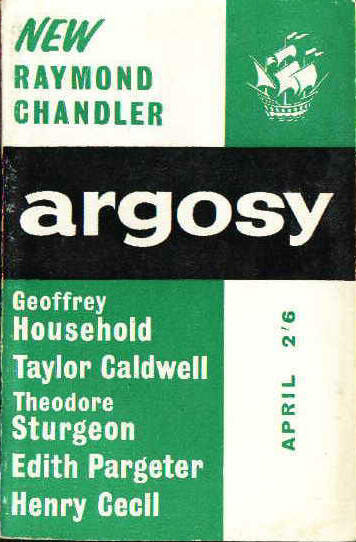 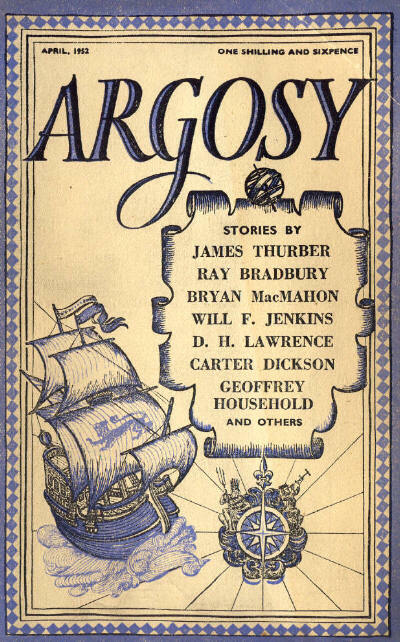 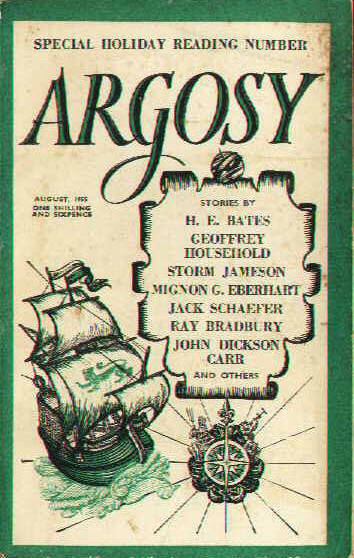 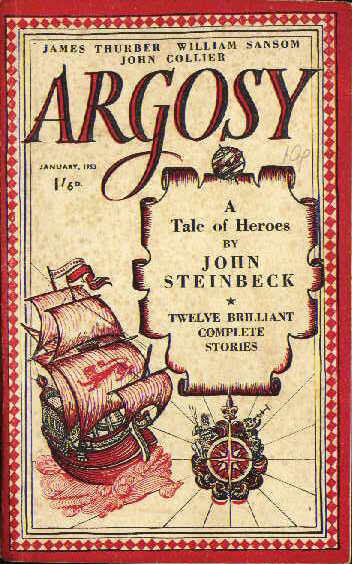 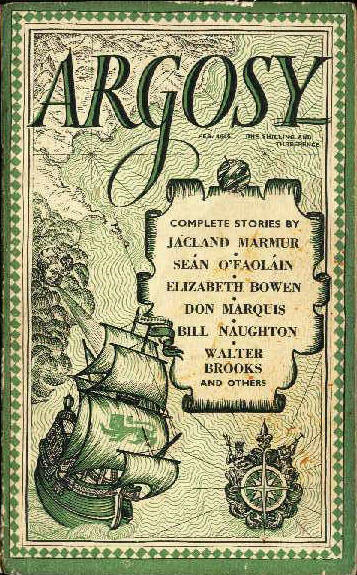 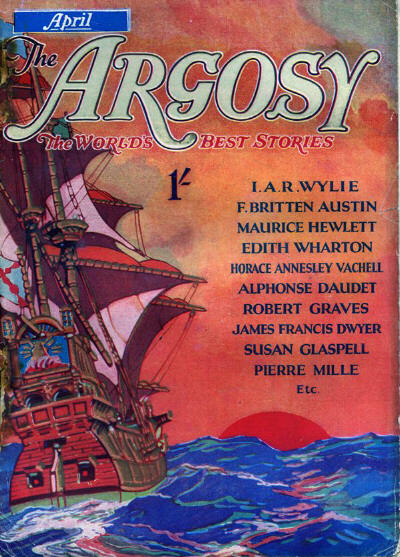 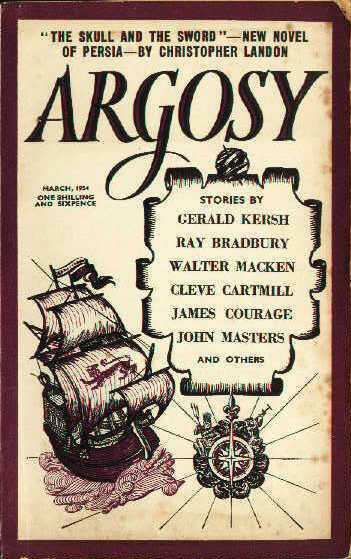 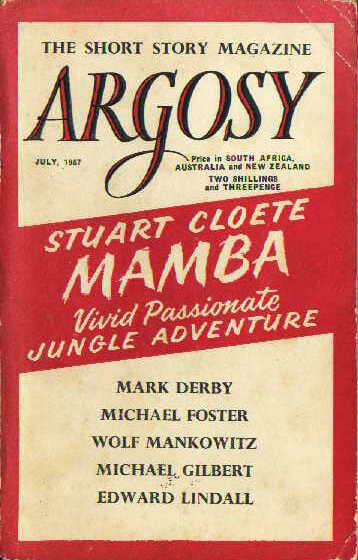 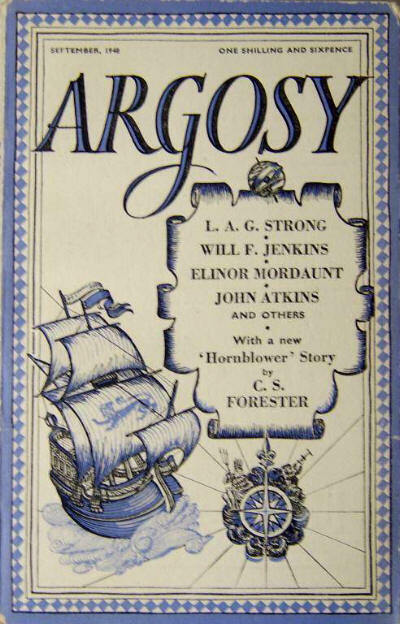 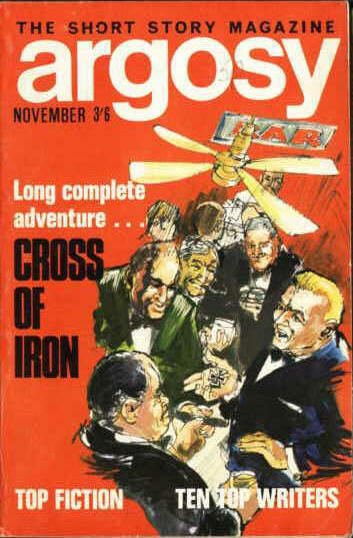 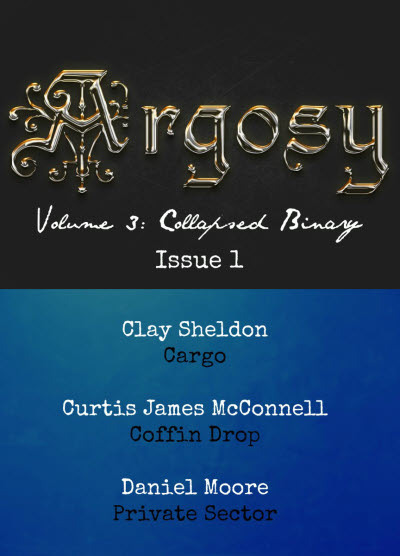 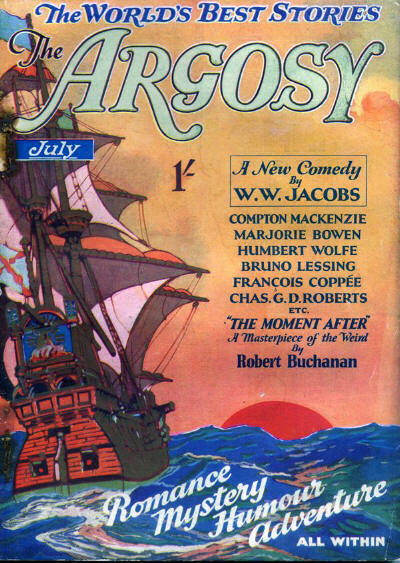 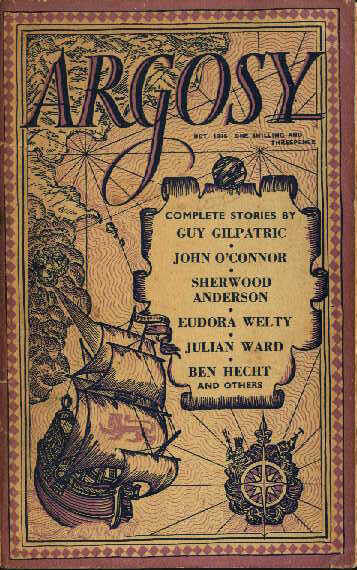 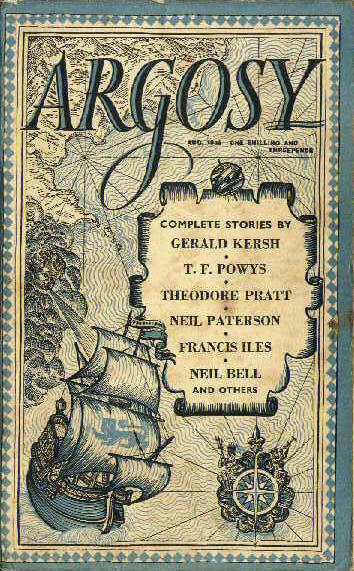 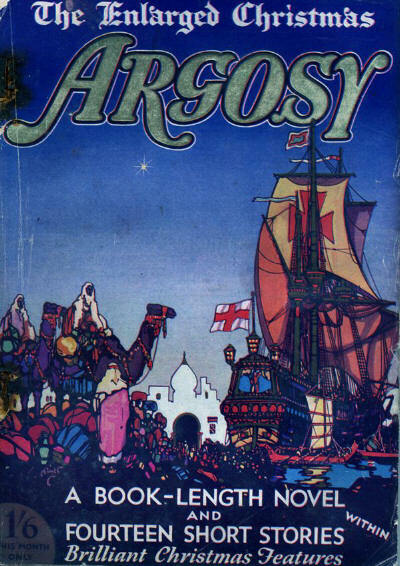 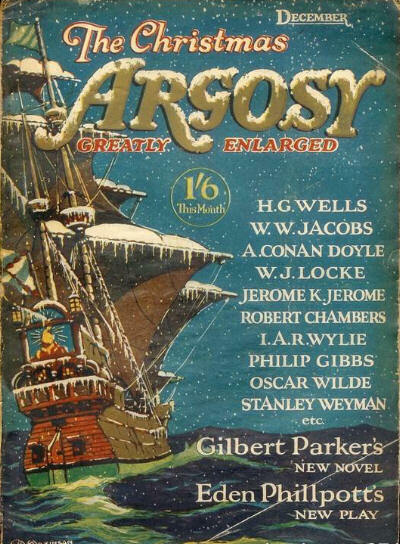 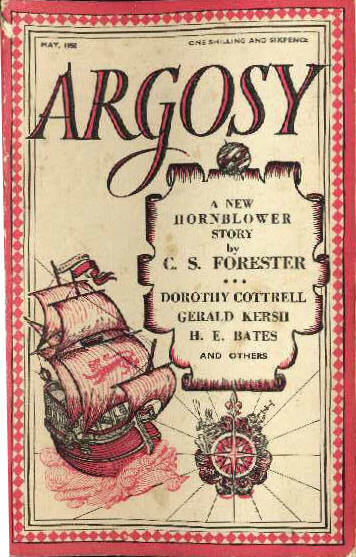 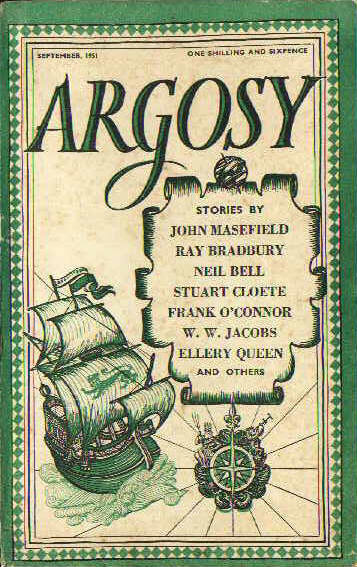 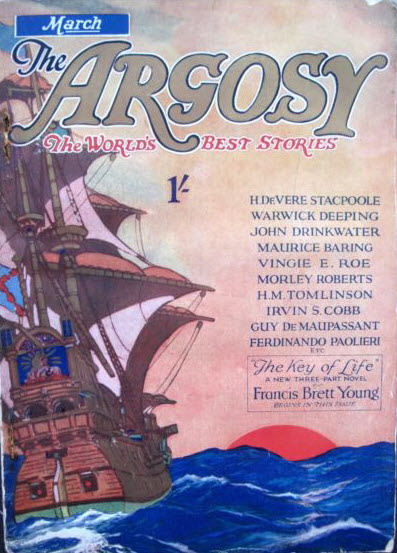 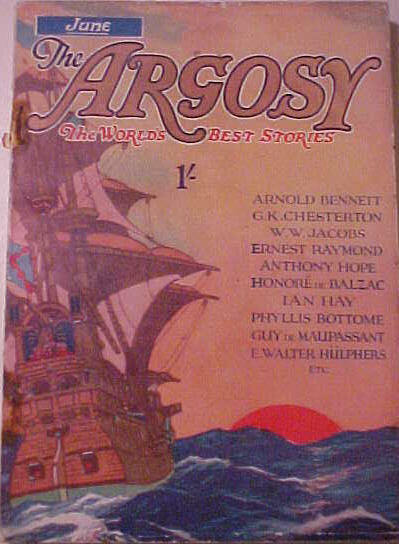 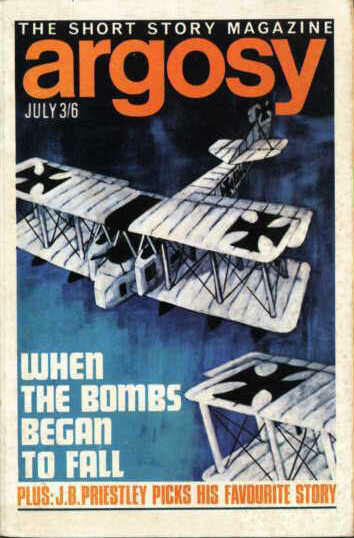 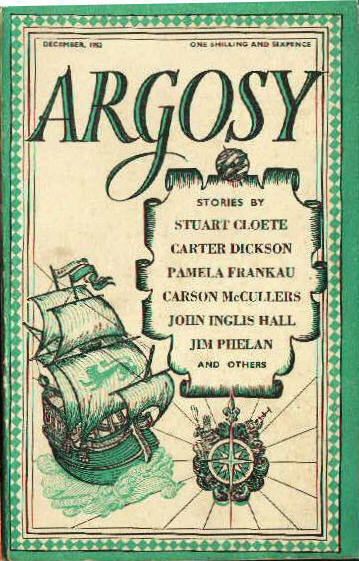 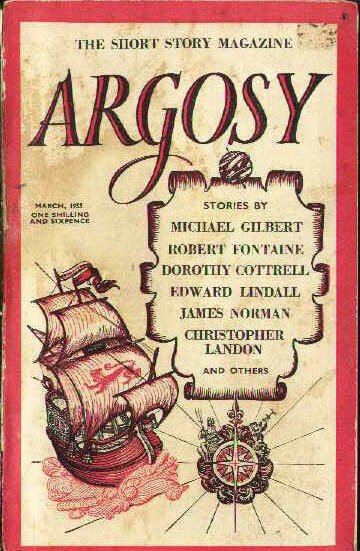 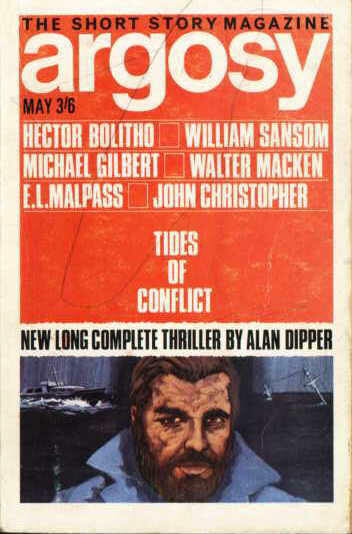 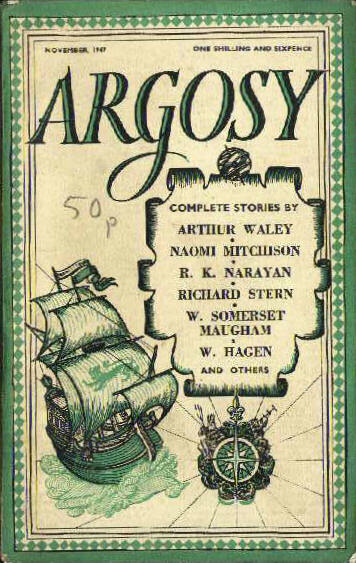 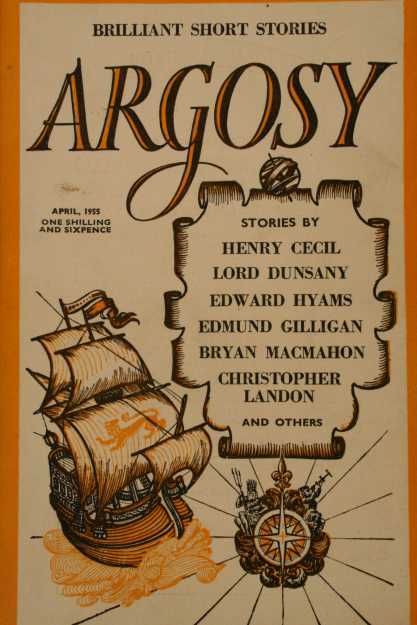 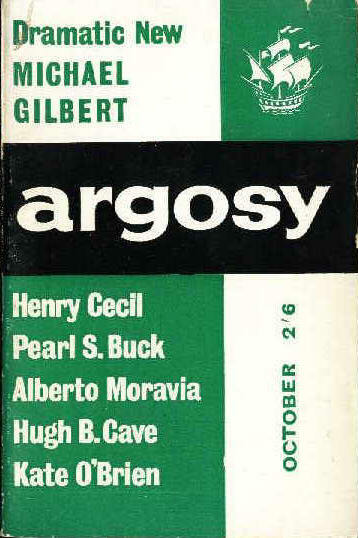 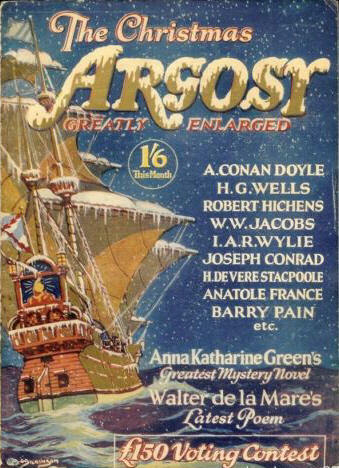 There have been three major fiction magazines called Argosy - Mrs. Henry Wood's "serious monthly magazine" that ran from 1865 to 1901, the famous US magazine that ran from 1882 to 1979 (with a couple of revivals since), and this third version that ran for a very respectable 571 issues from 1926 to 1974. 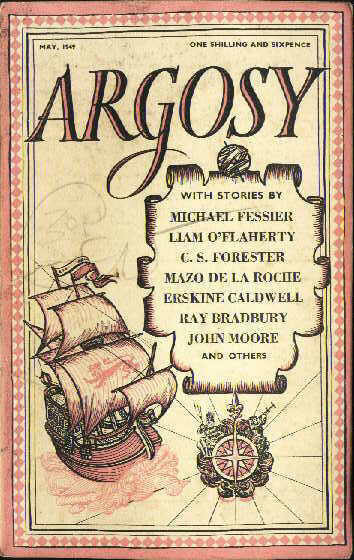 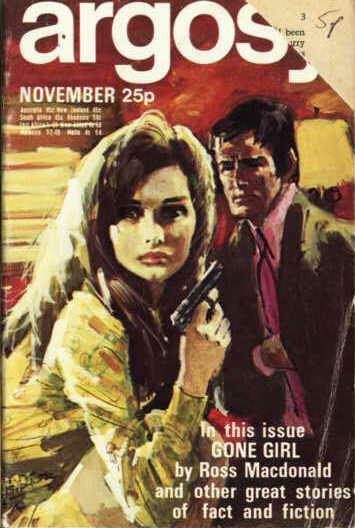 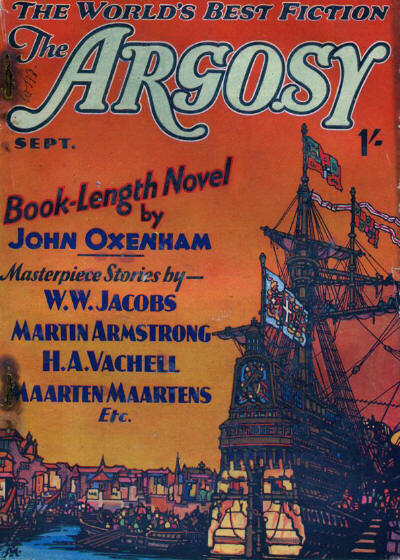 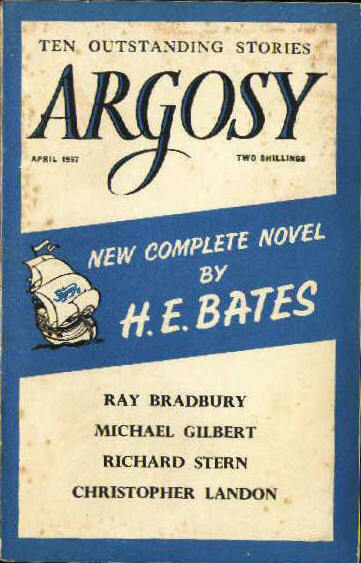 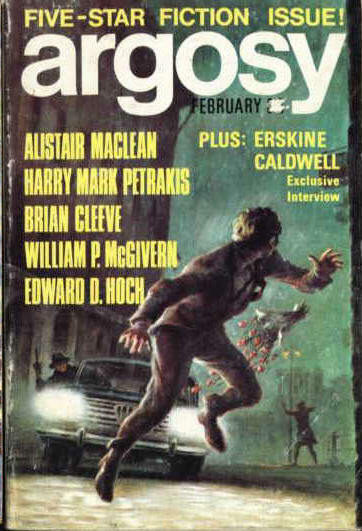 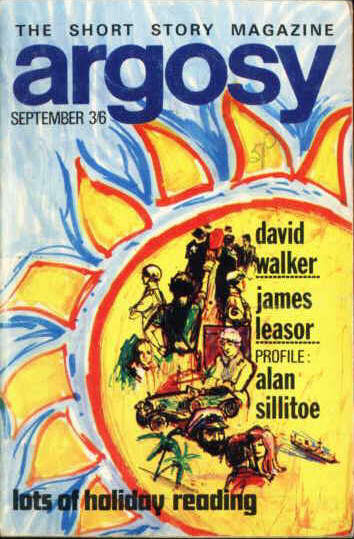 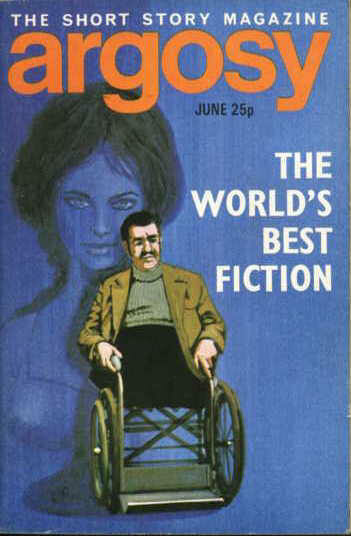 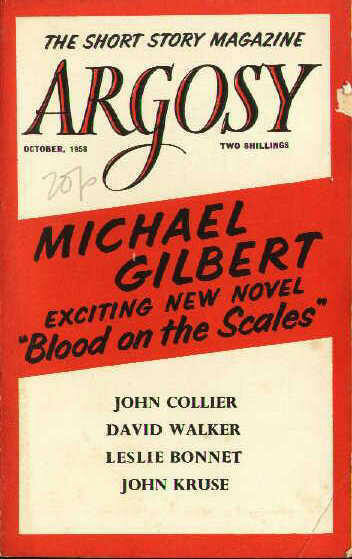 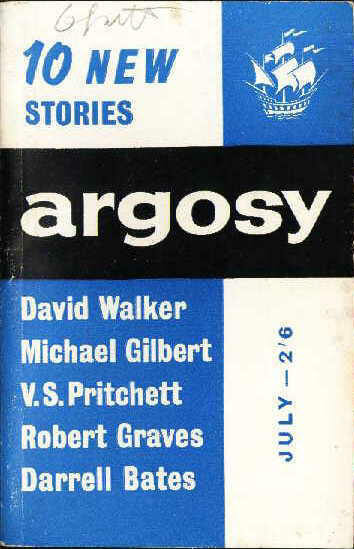 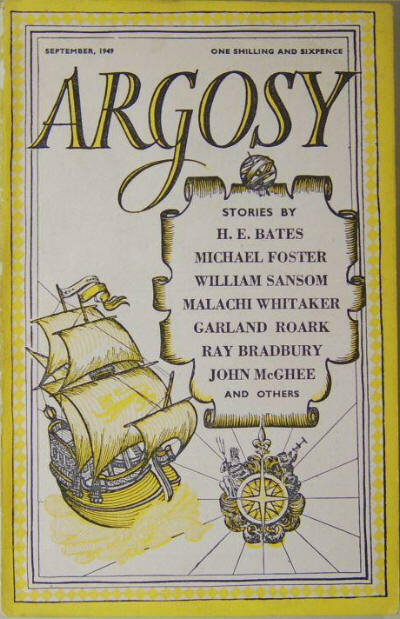 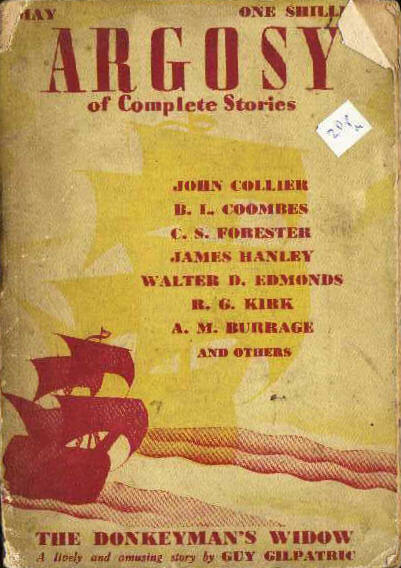 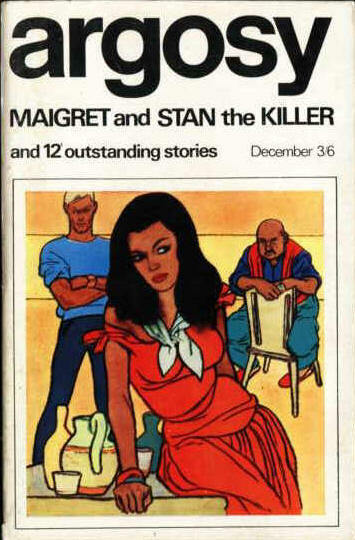 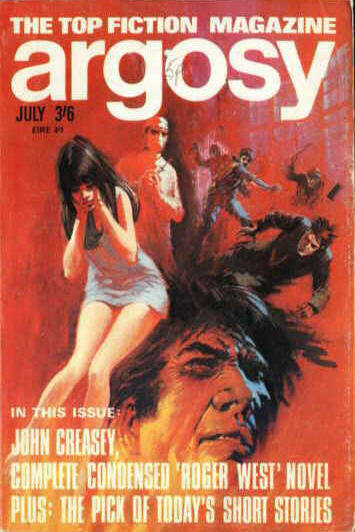 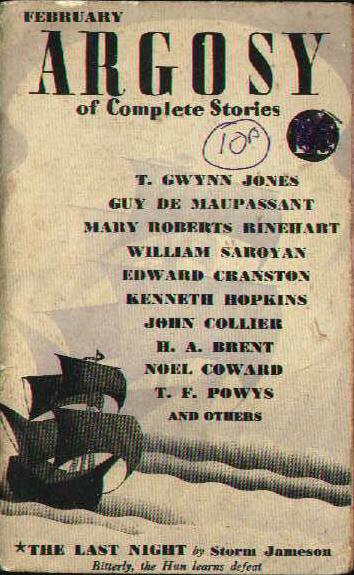 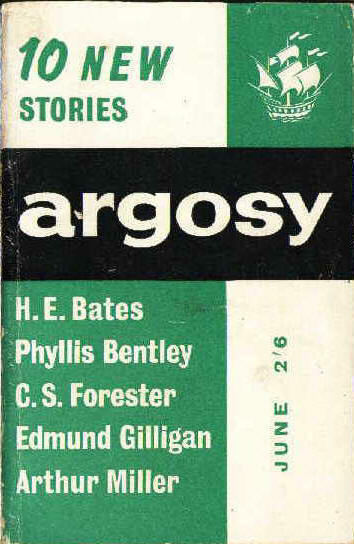 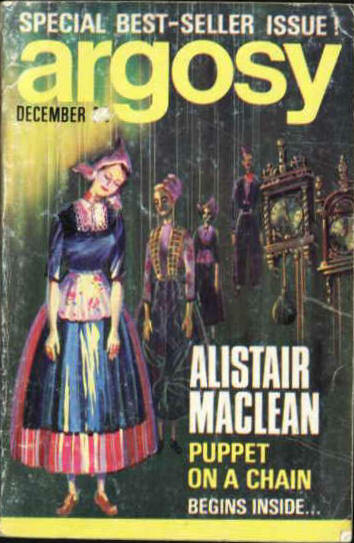 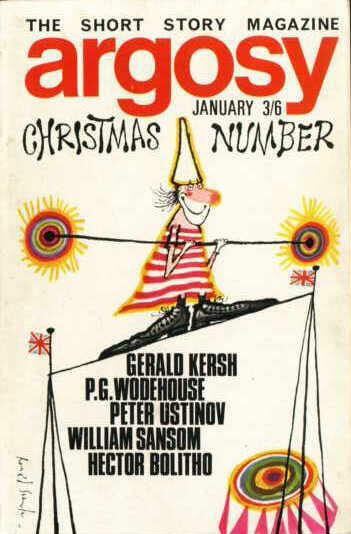 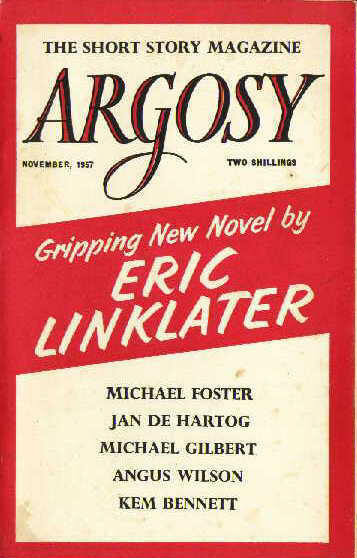 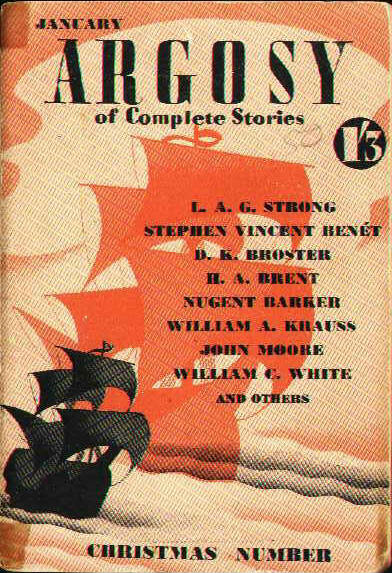 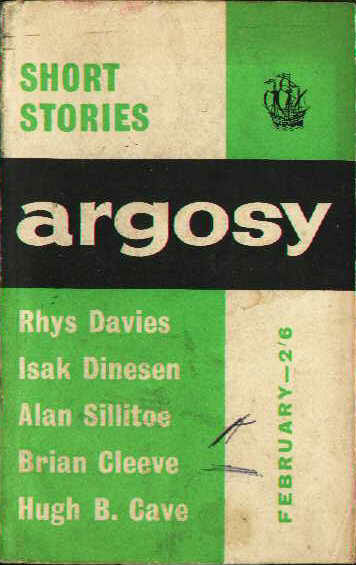 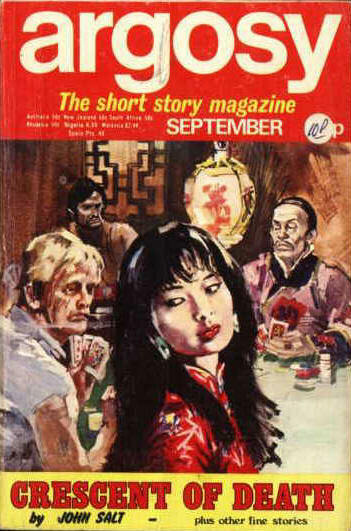 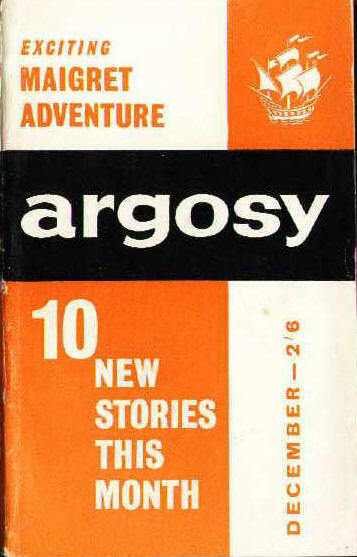 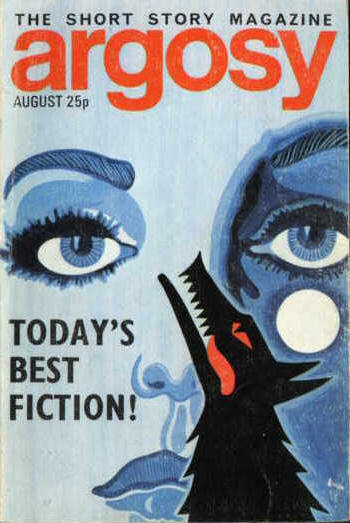 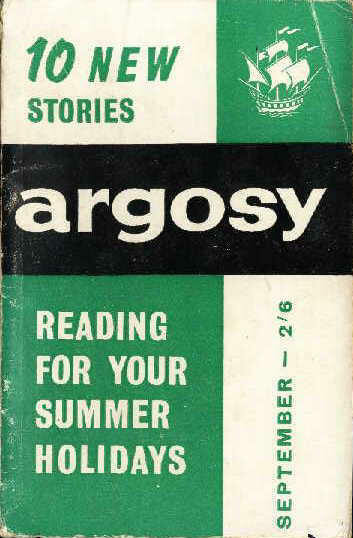 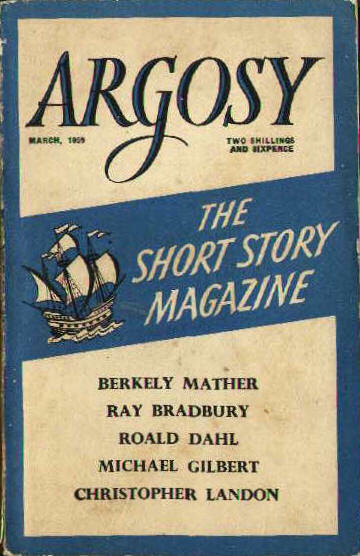 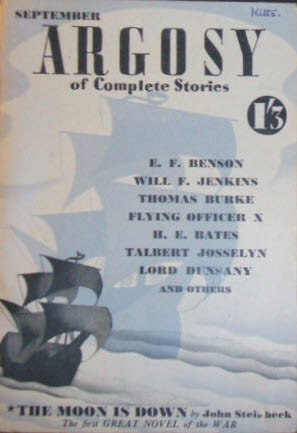 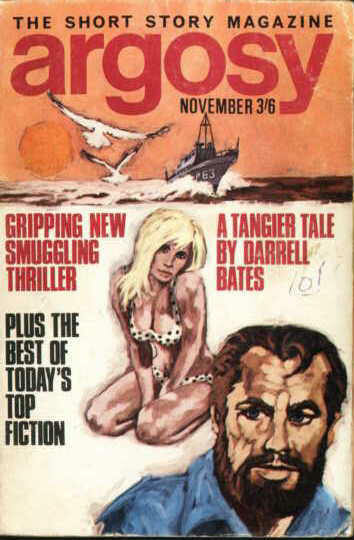 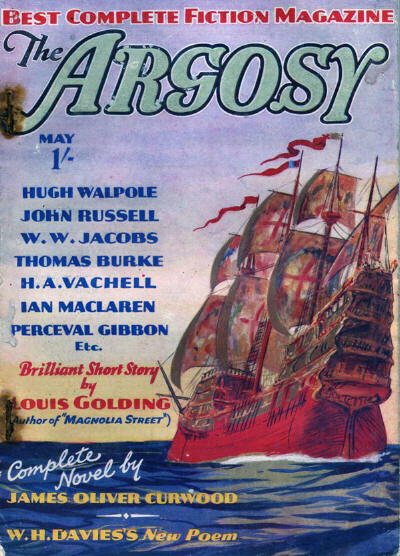 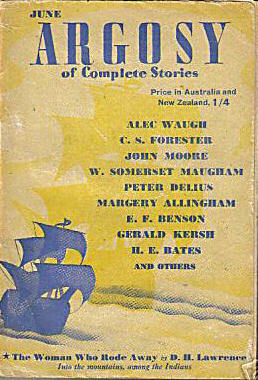 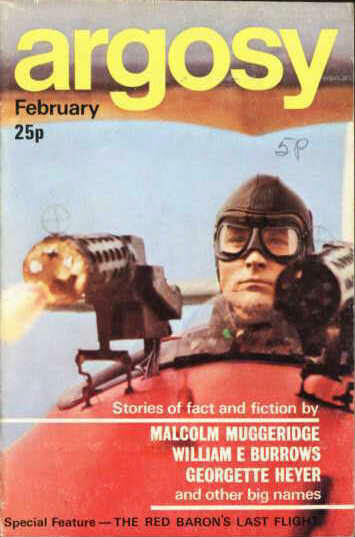 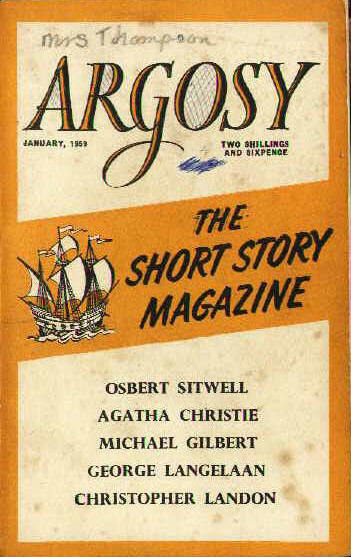 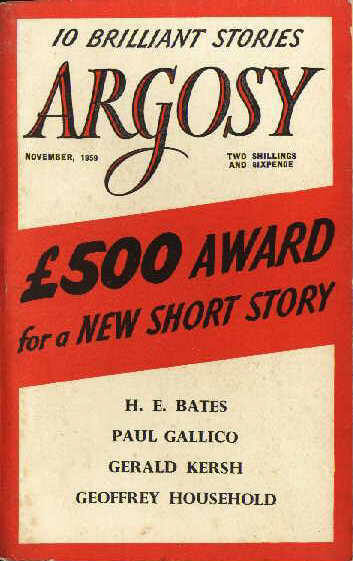 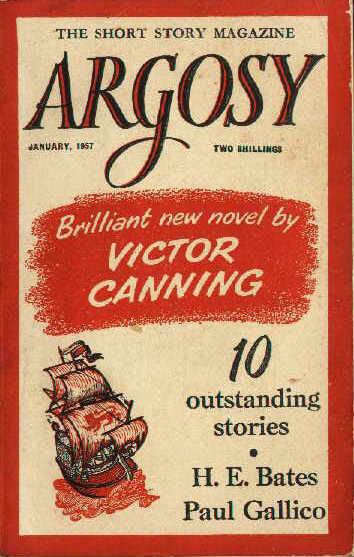 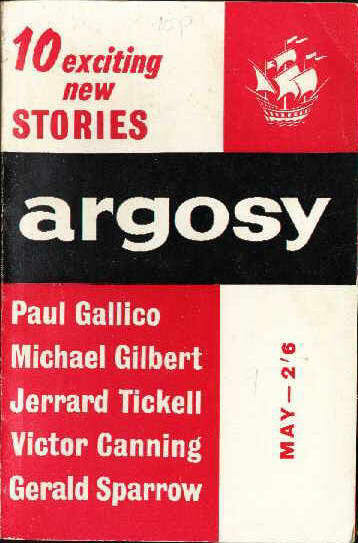 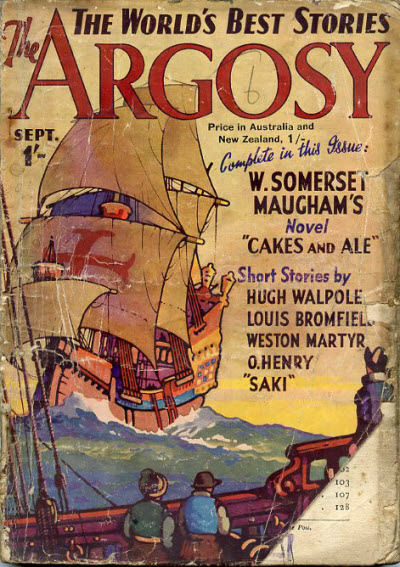 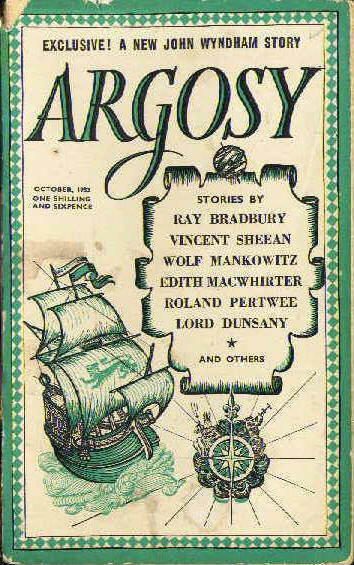 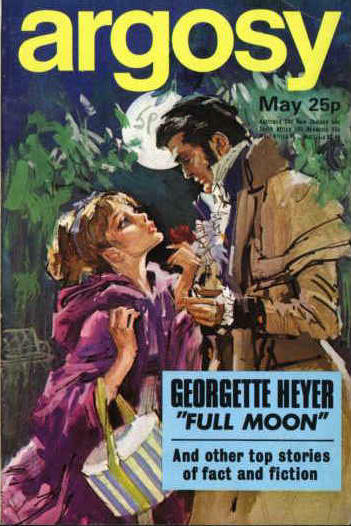 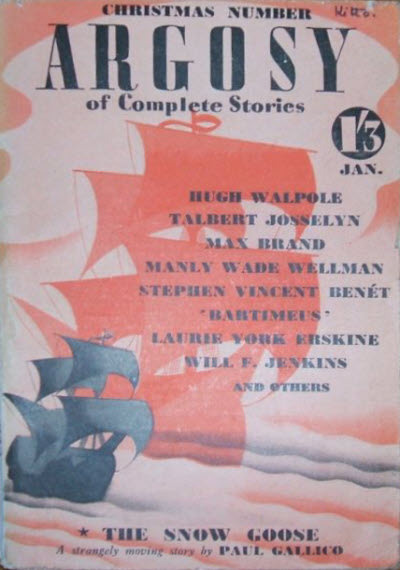 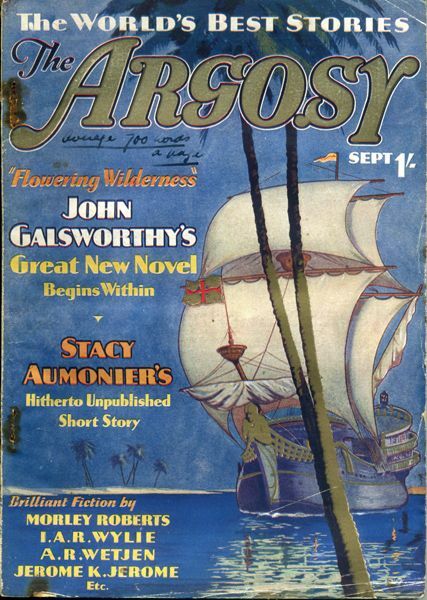 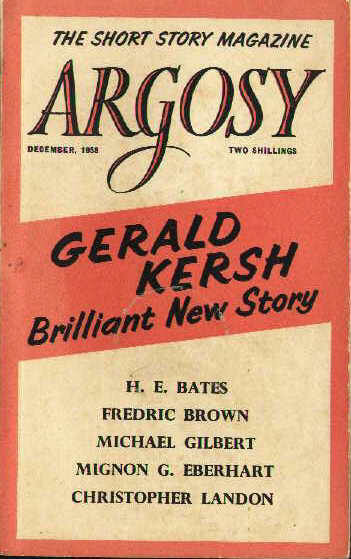 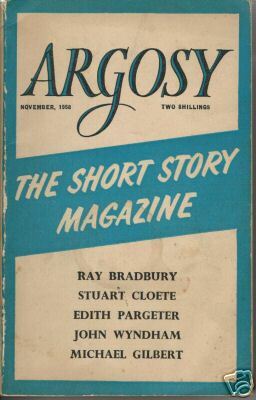 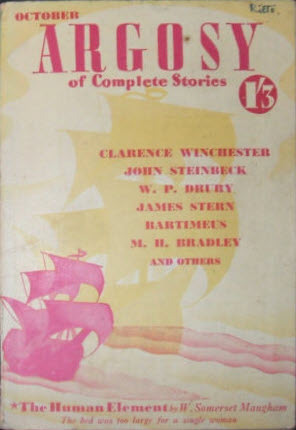 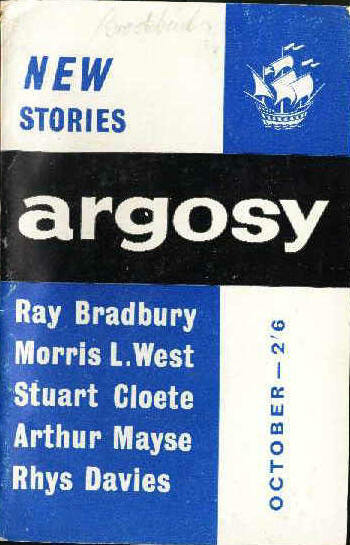 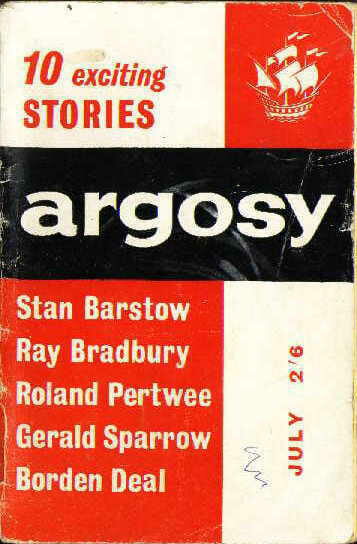 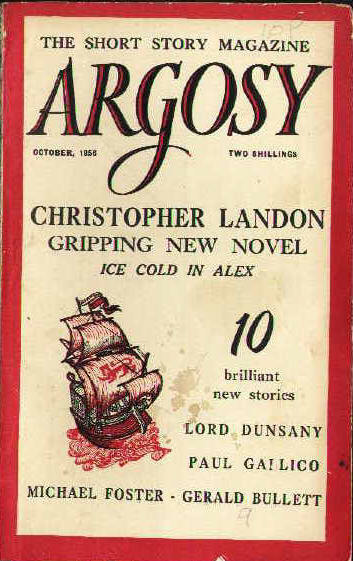 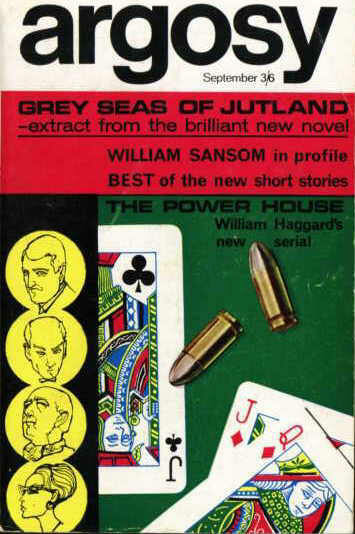 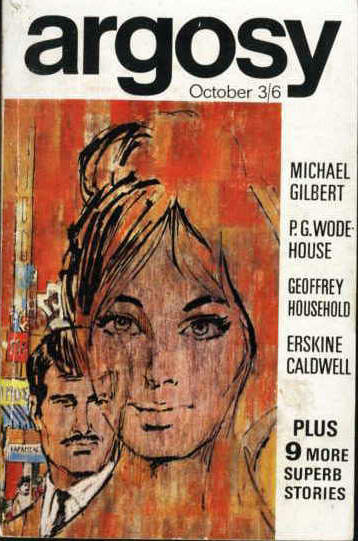 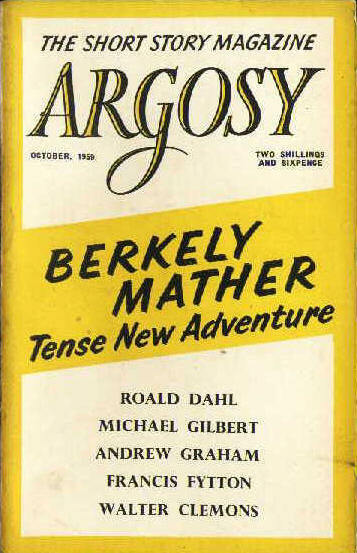 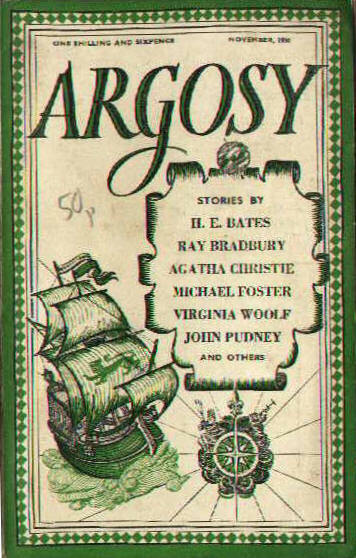 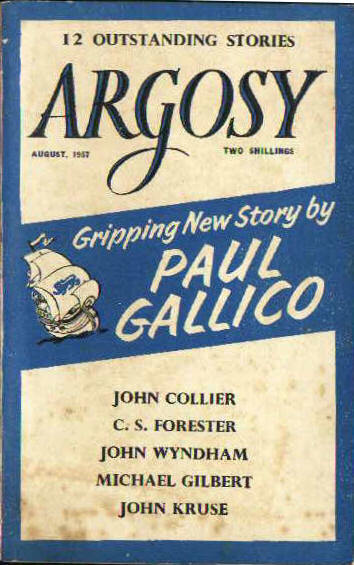 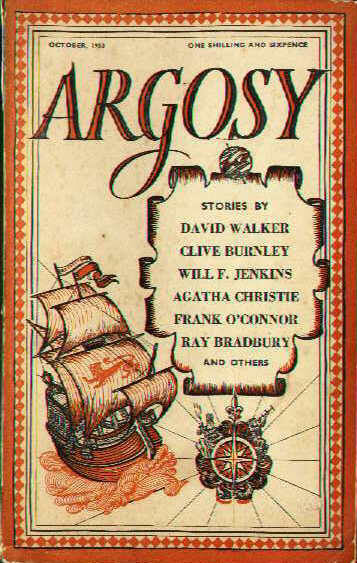 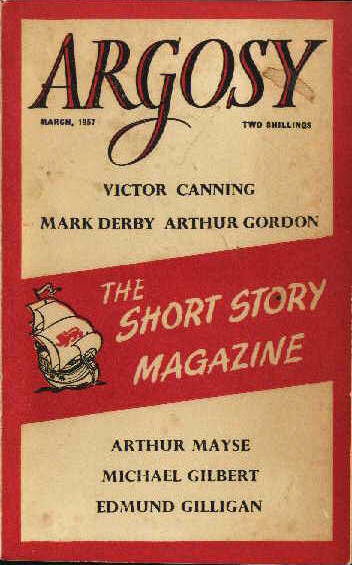 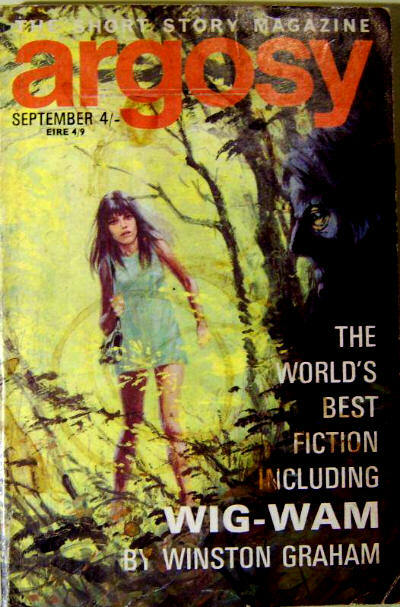 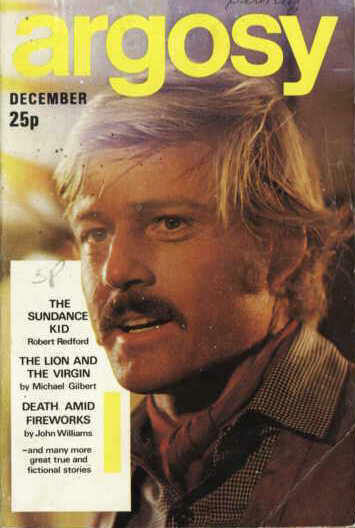 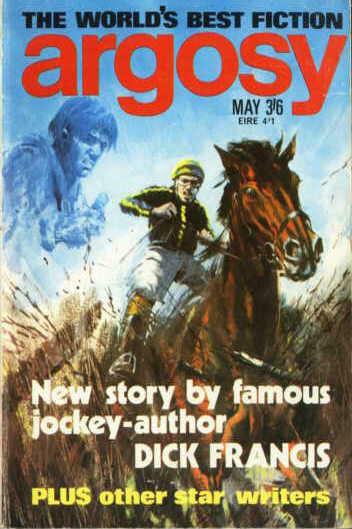 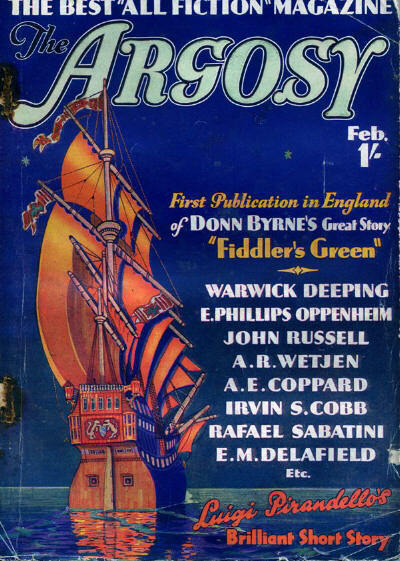 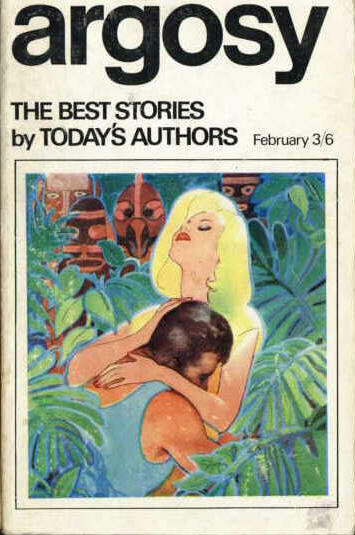 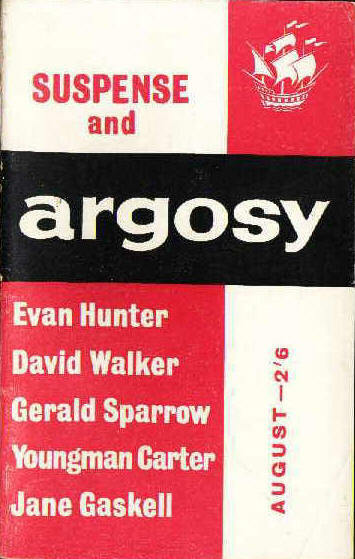 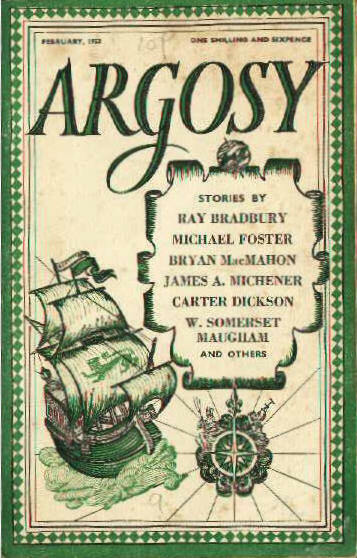 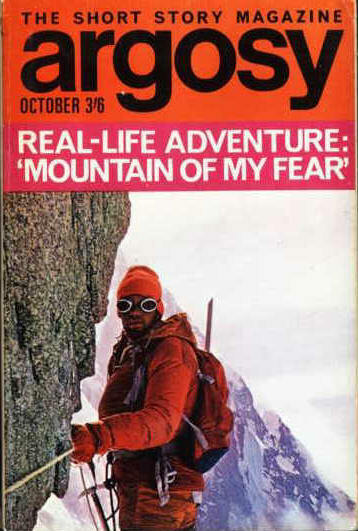 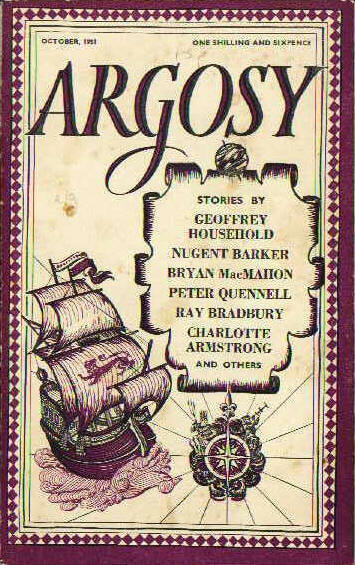 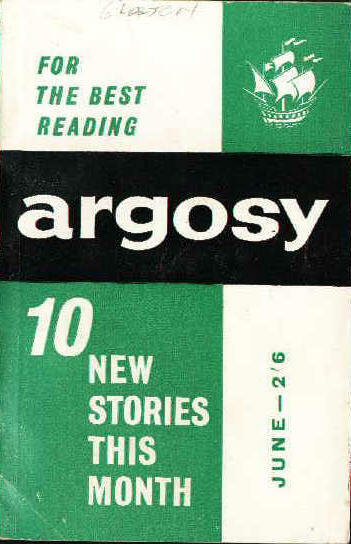 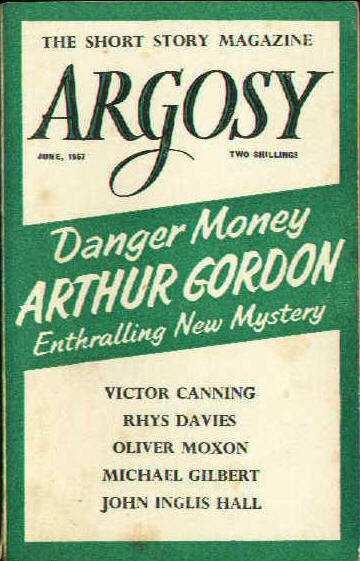 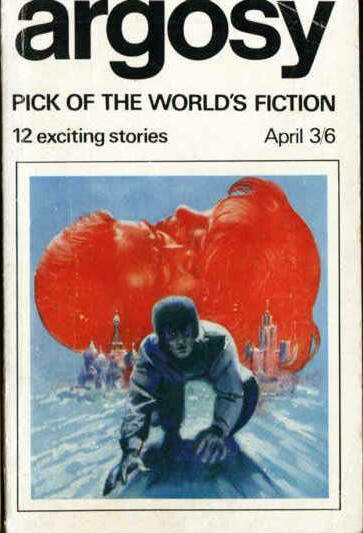 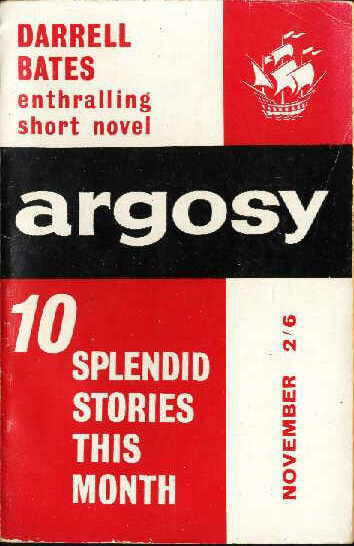 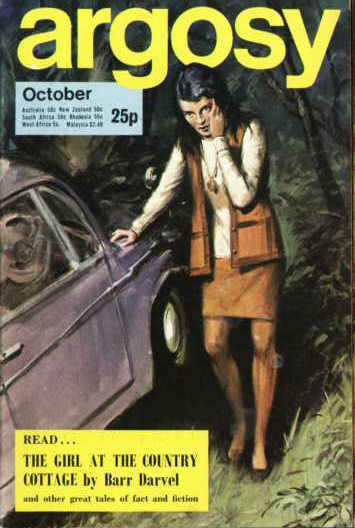 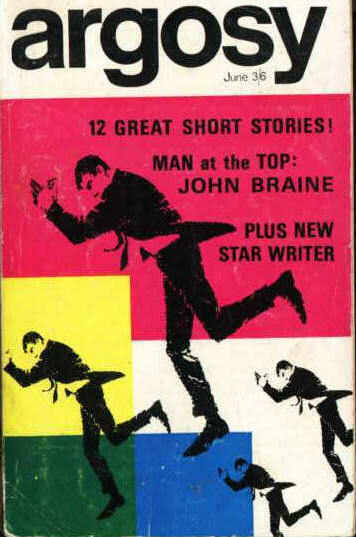 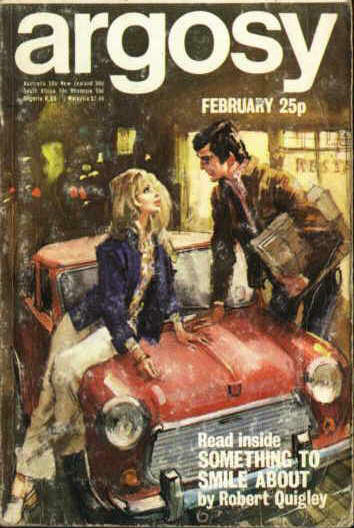 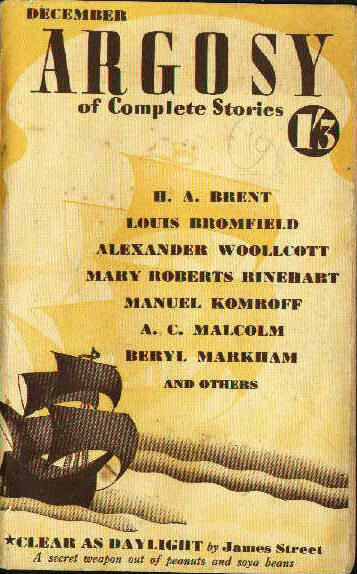 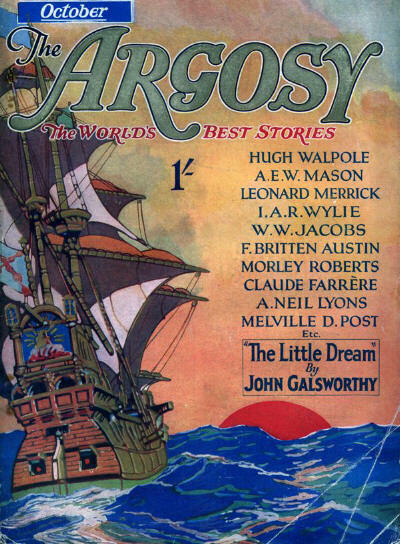 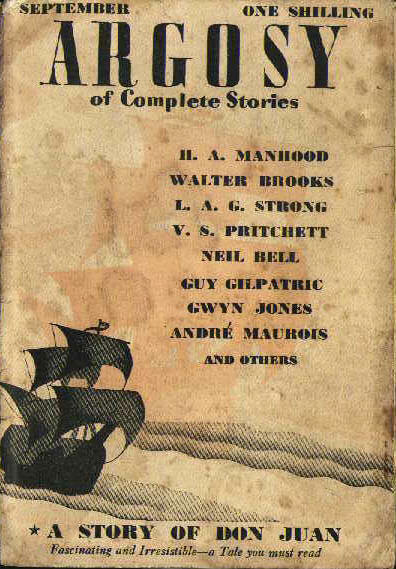 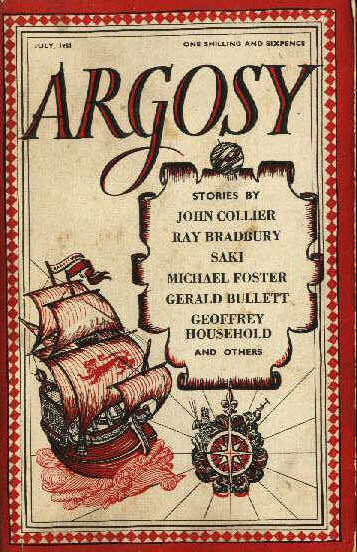 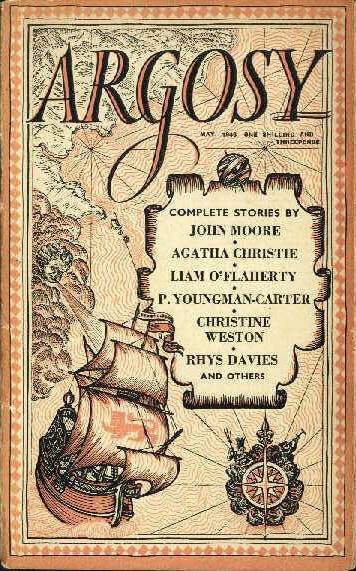 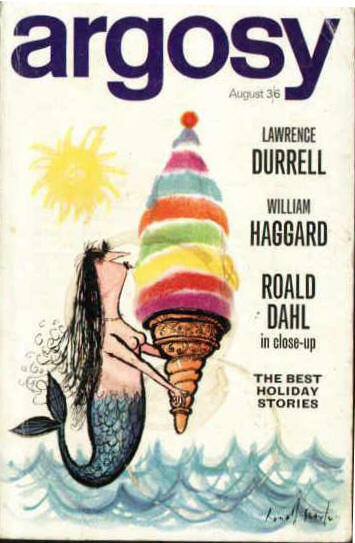 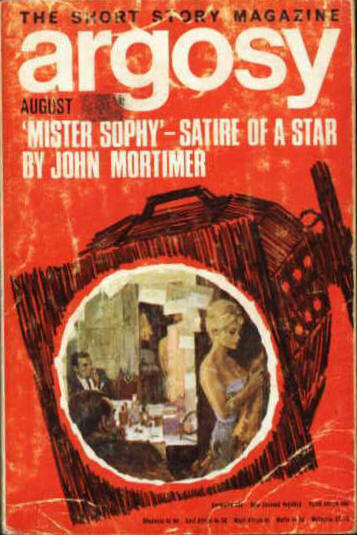 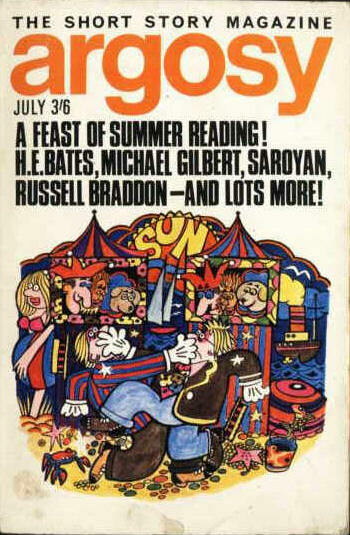 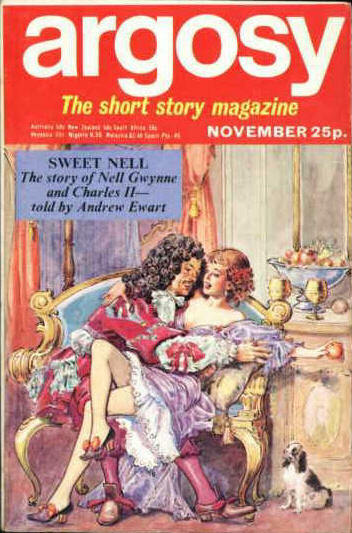 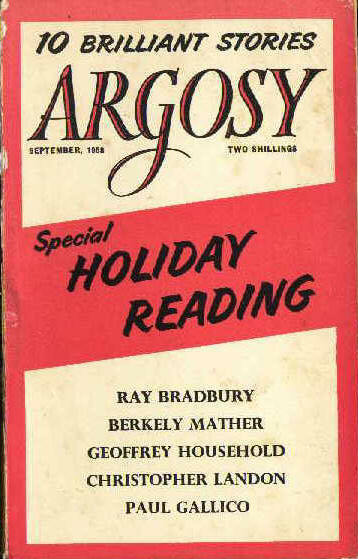 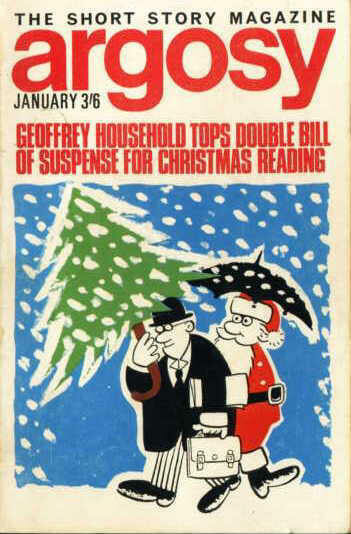 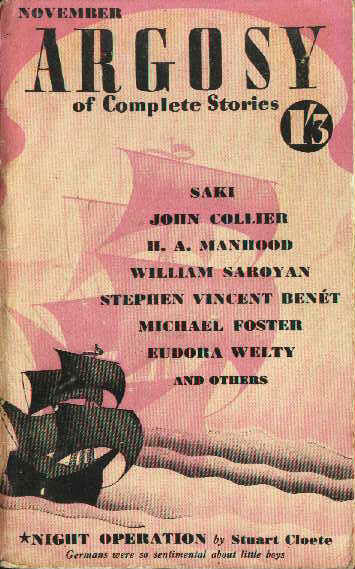 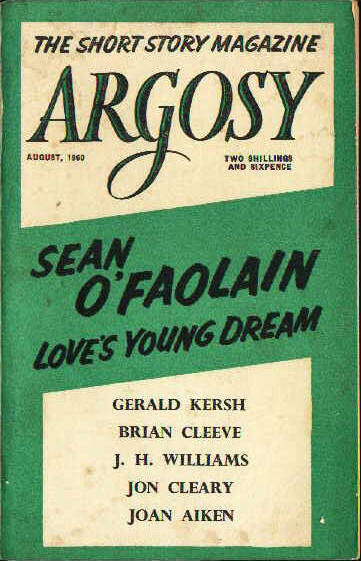 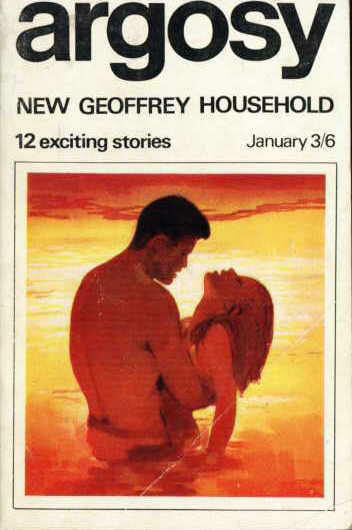 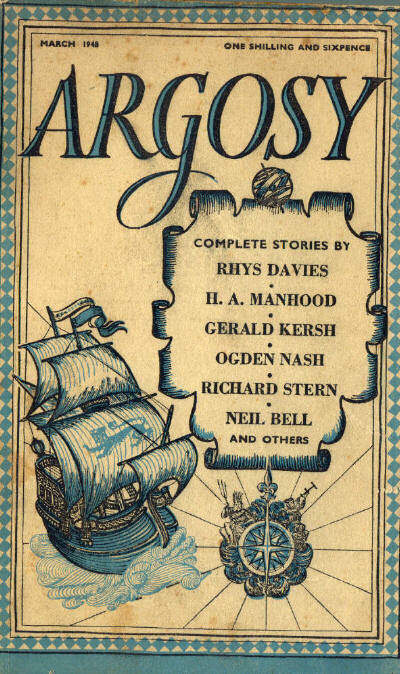 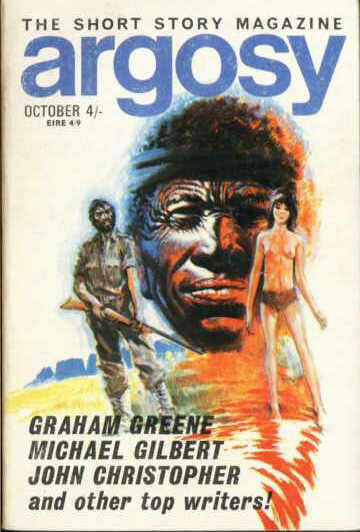 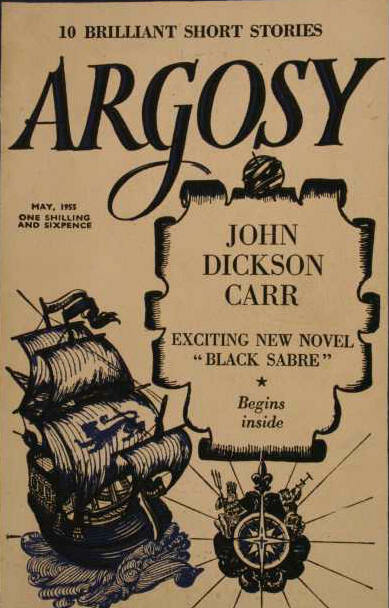 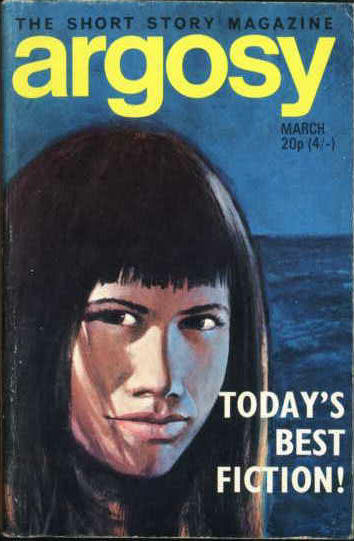 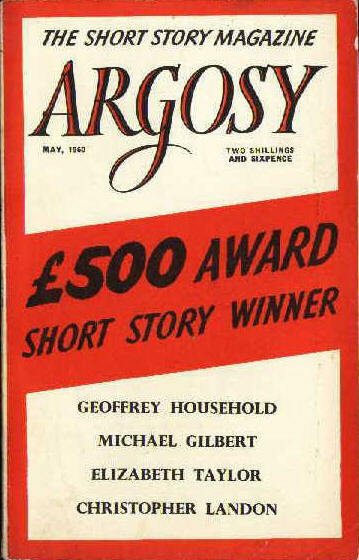 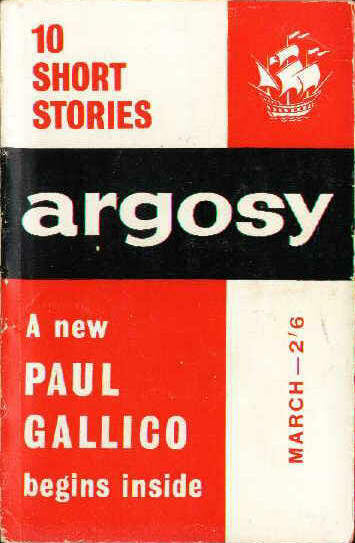 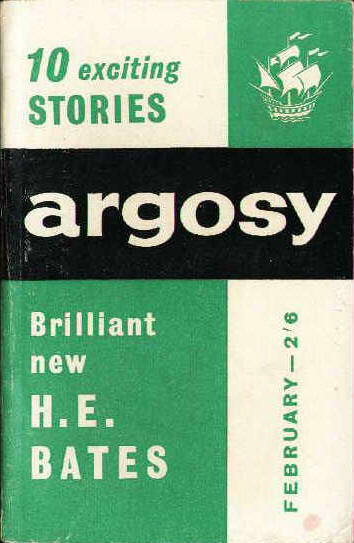 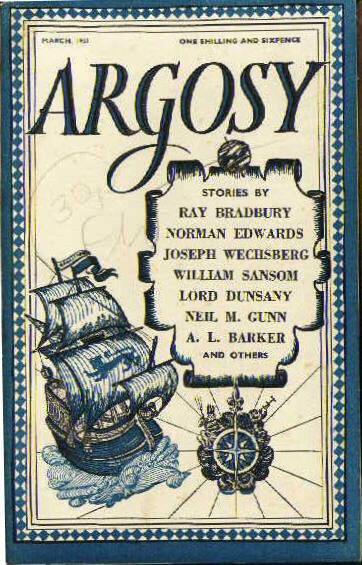 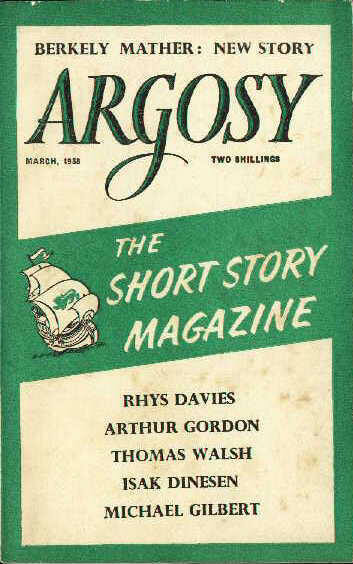 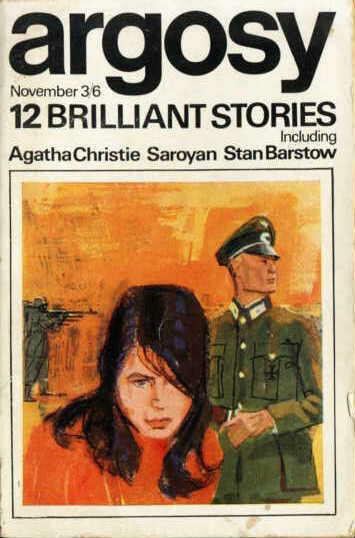 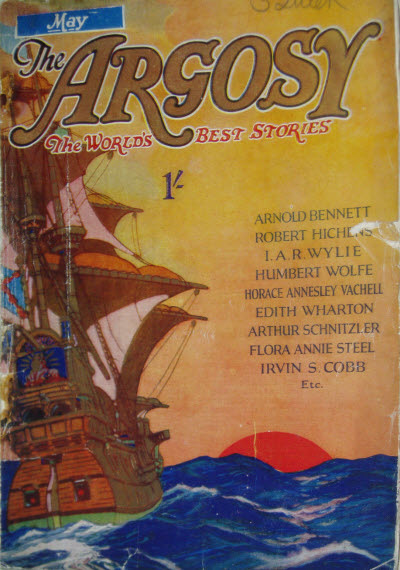 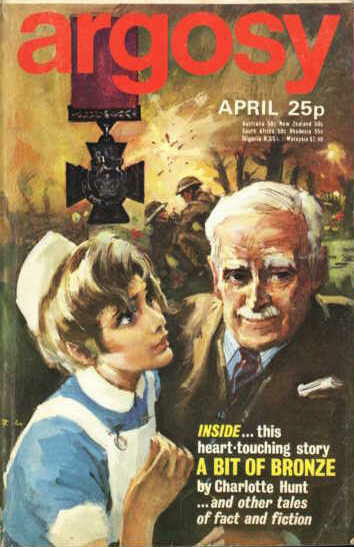 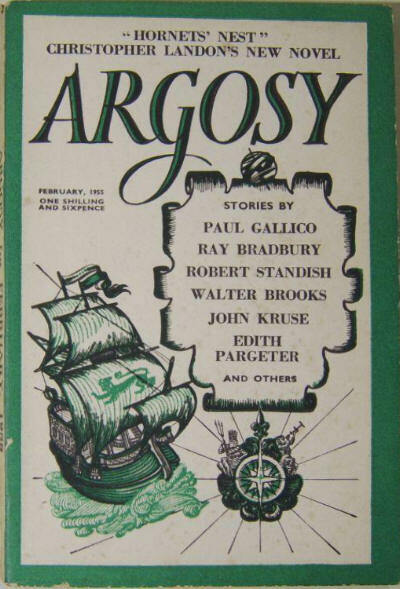 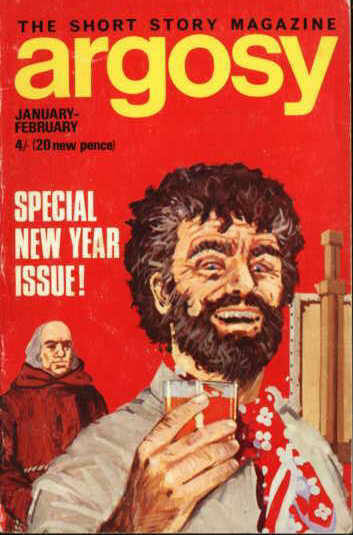 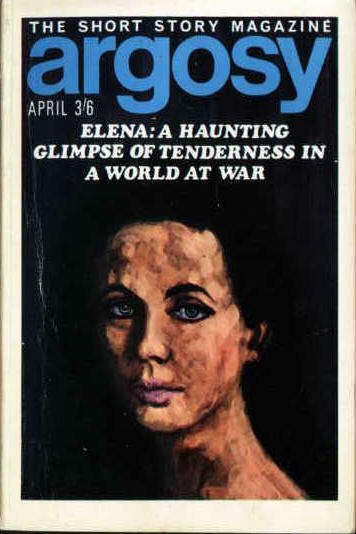 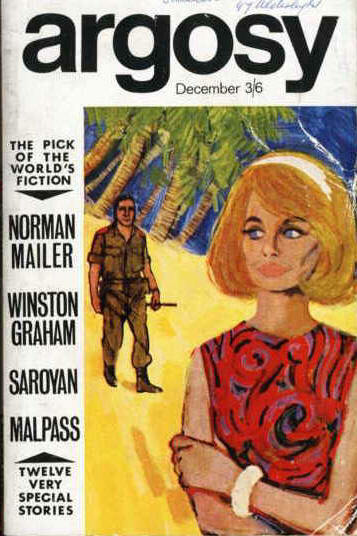 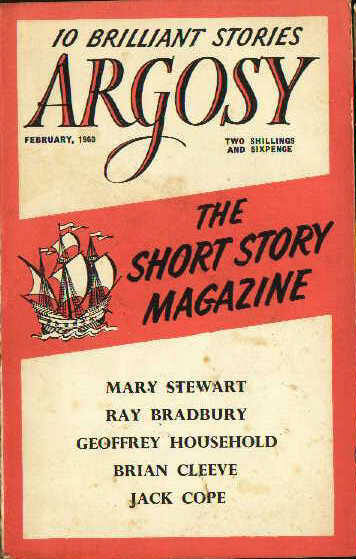 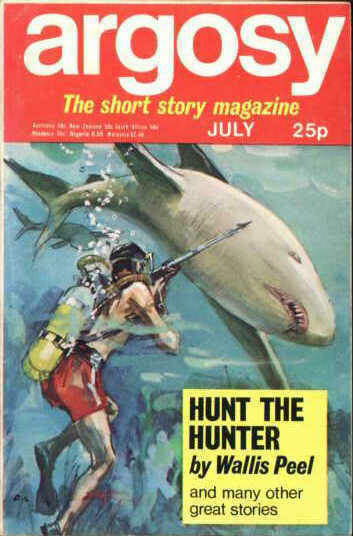 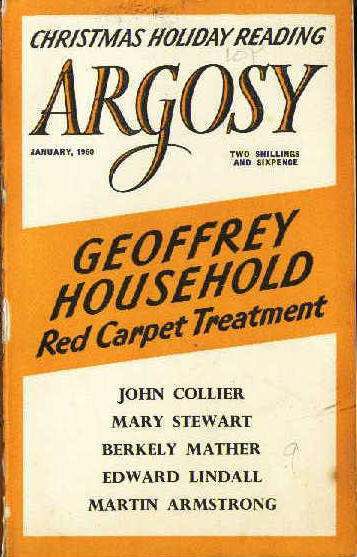 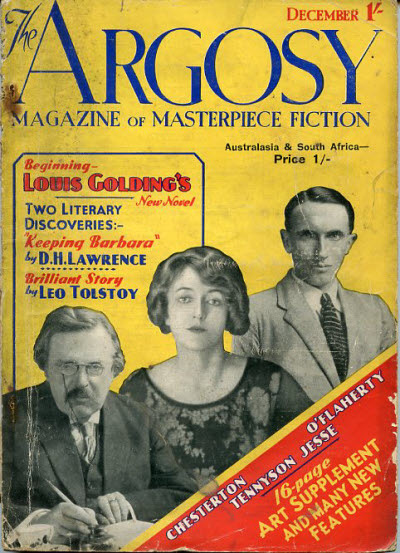 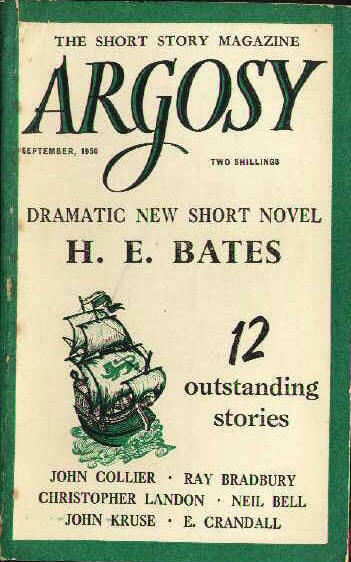 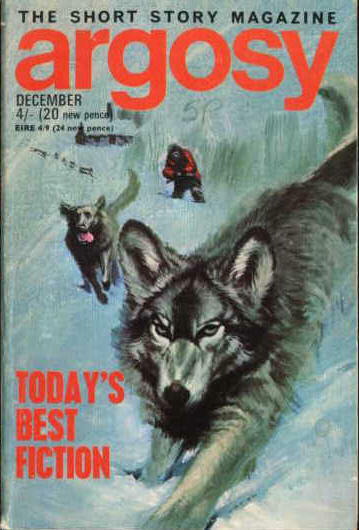 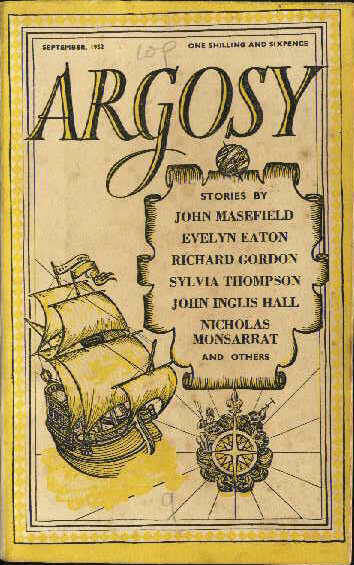 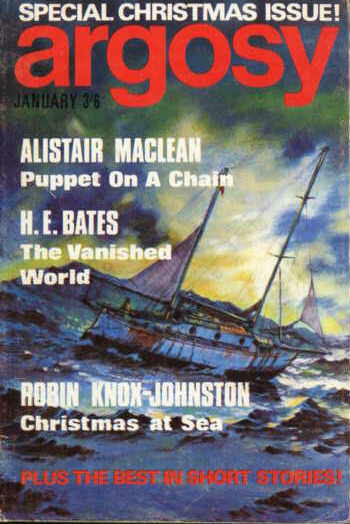 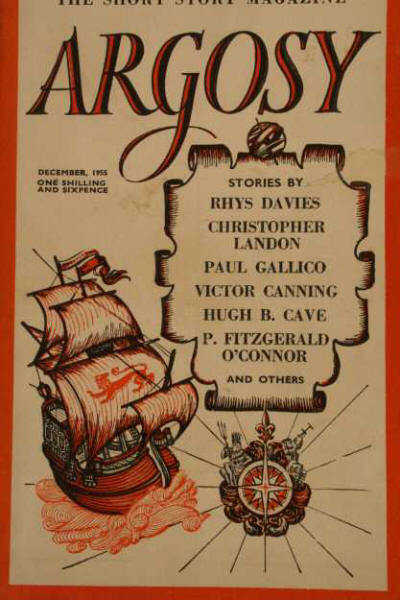 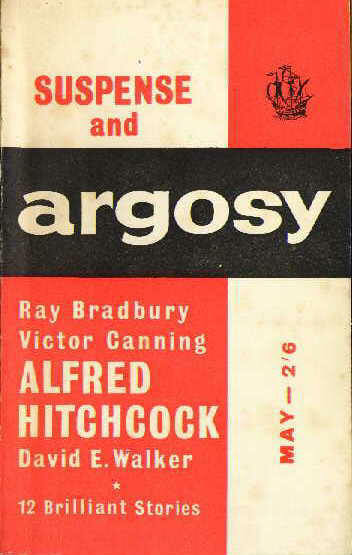 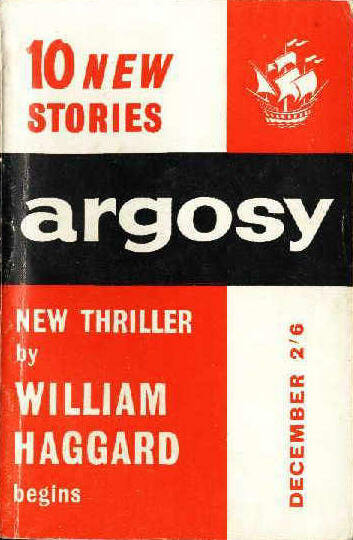 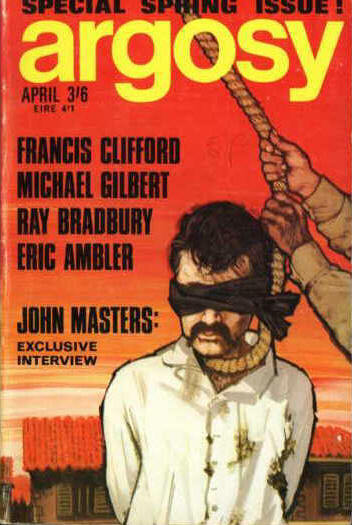 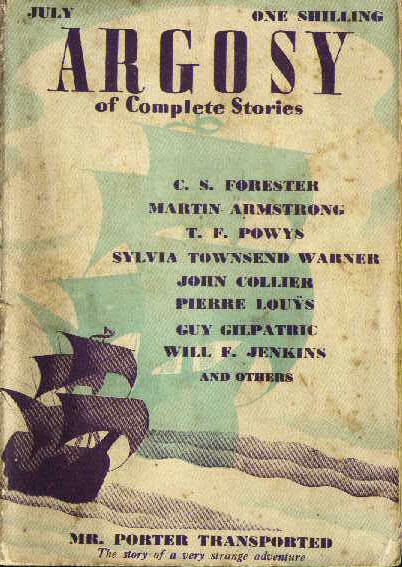 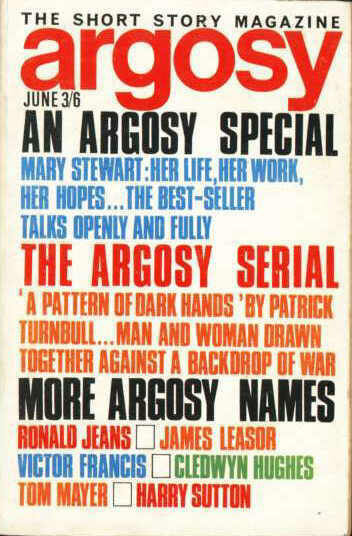 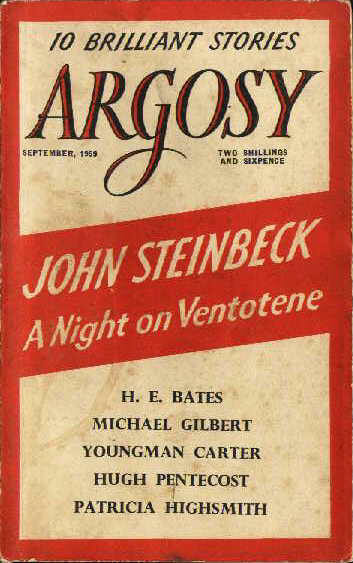 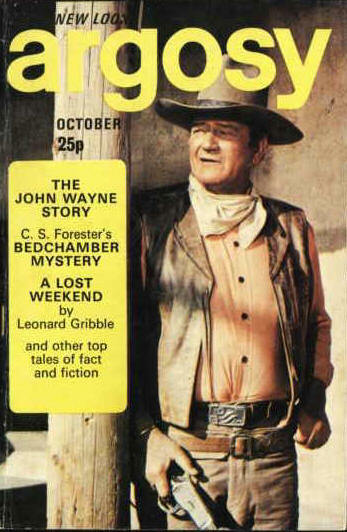 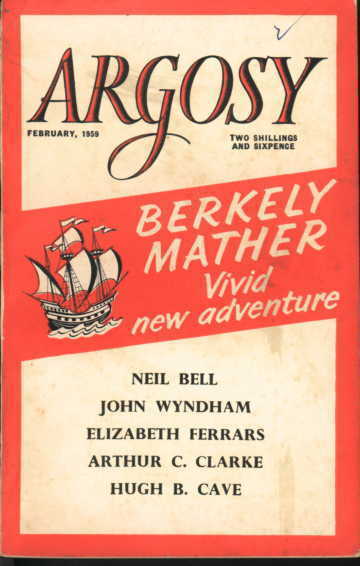 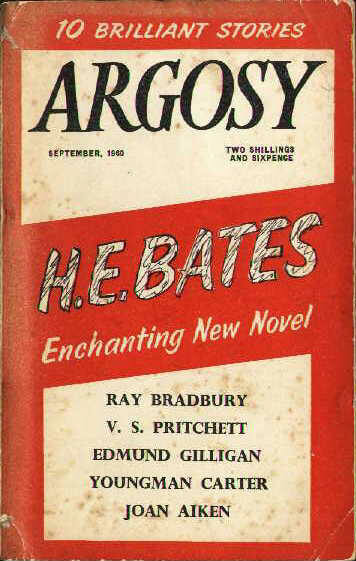 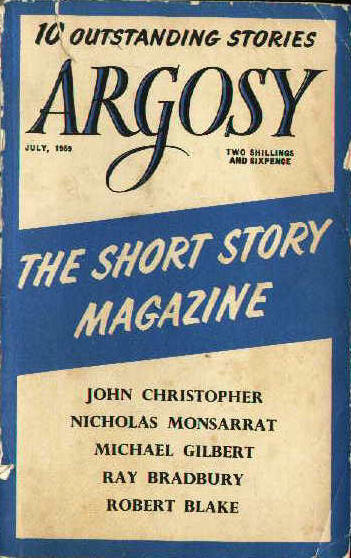 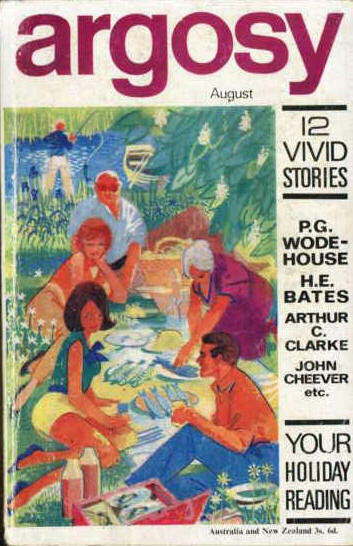 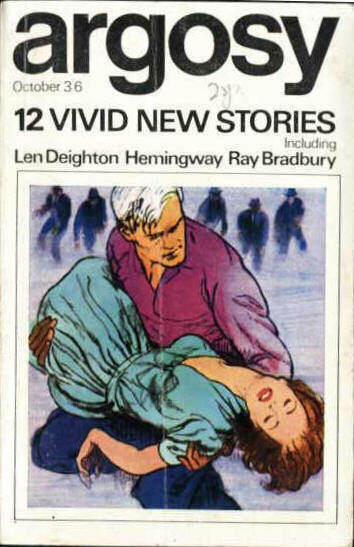 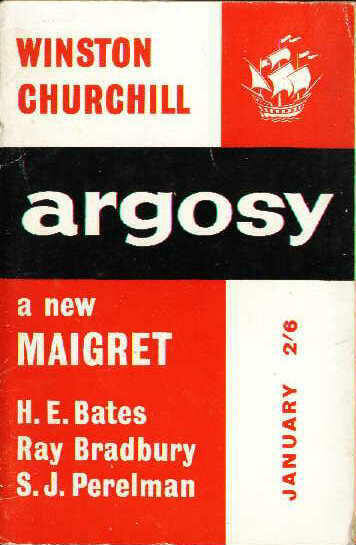 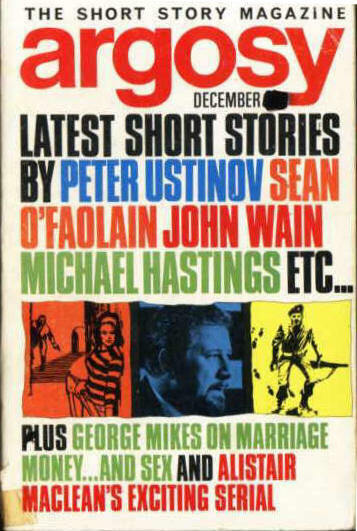 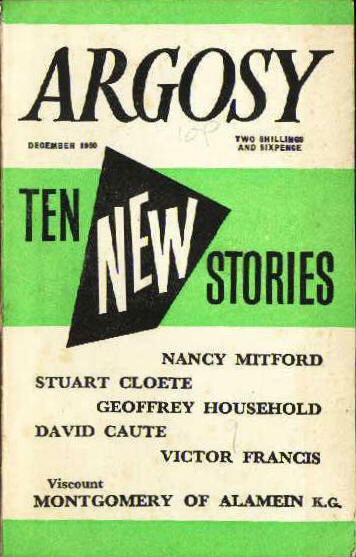 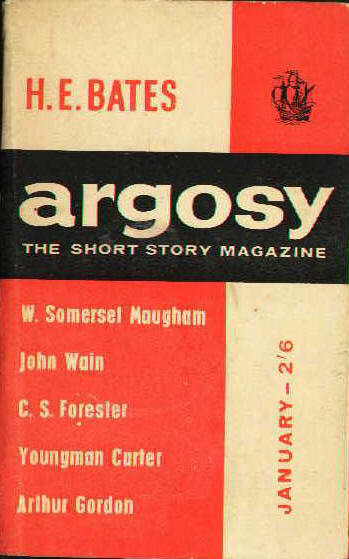 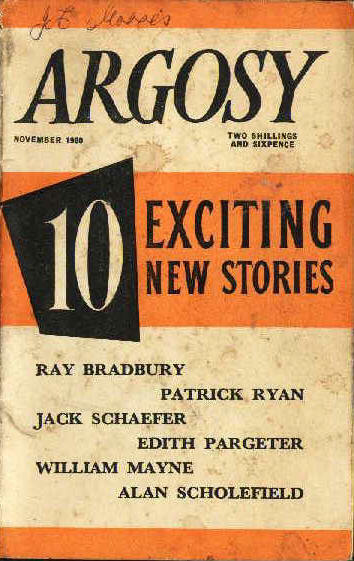 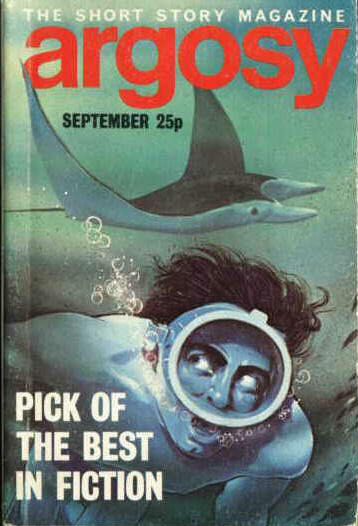 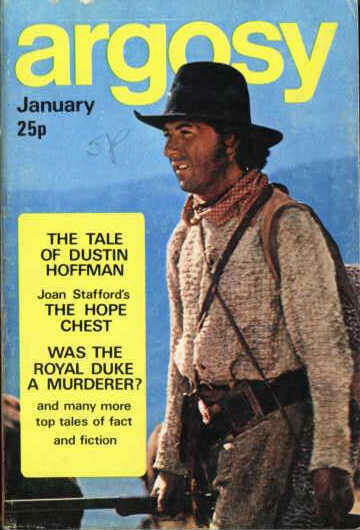 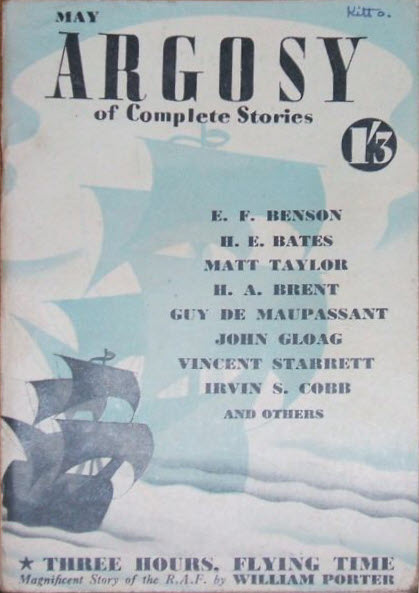 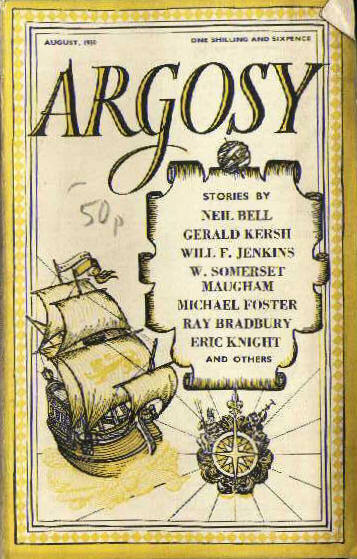 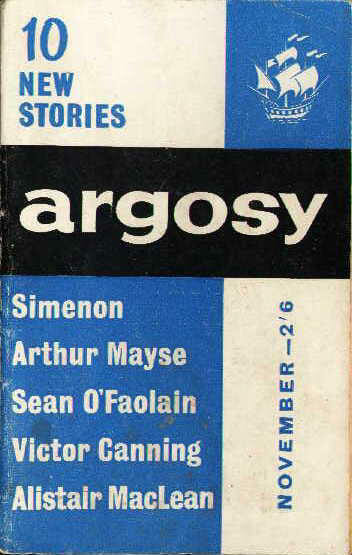 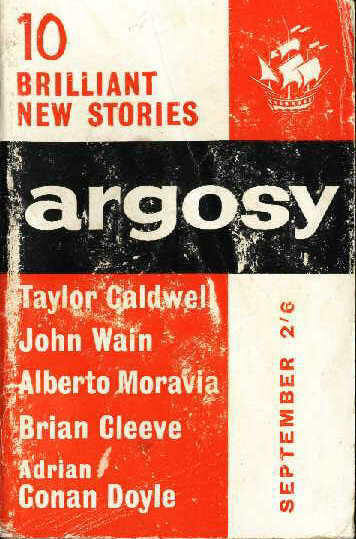 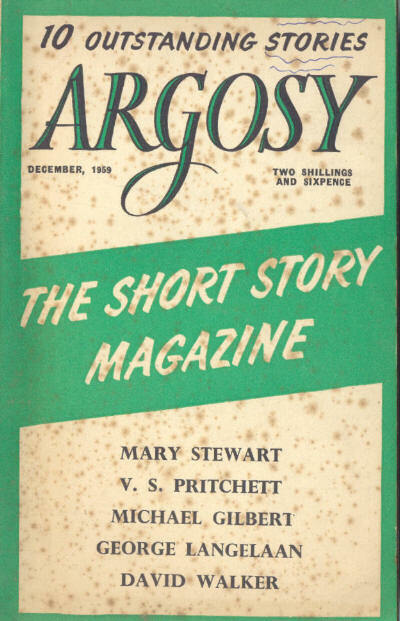 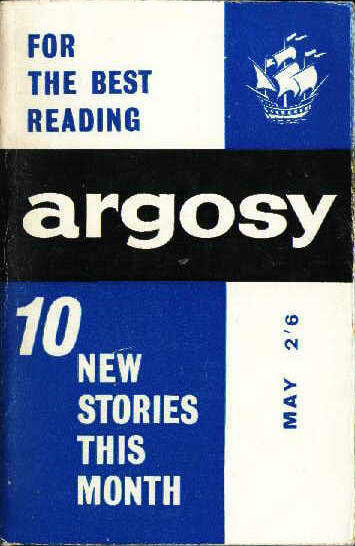 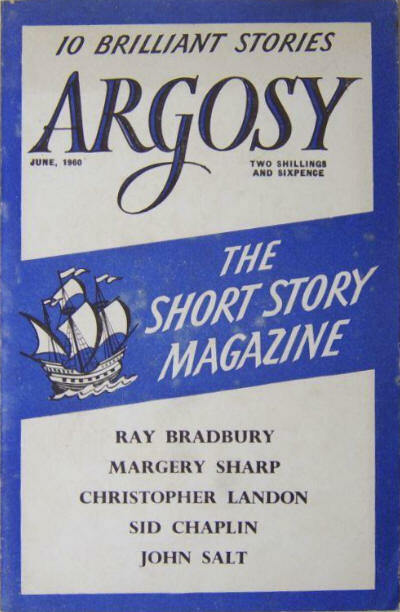 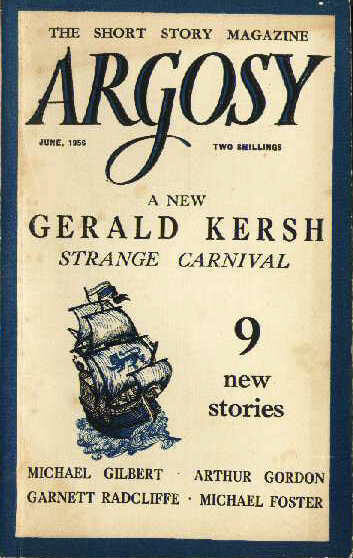 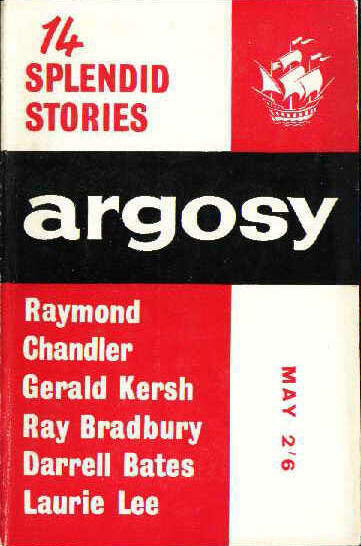 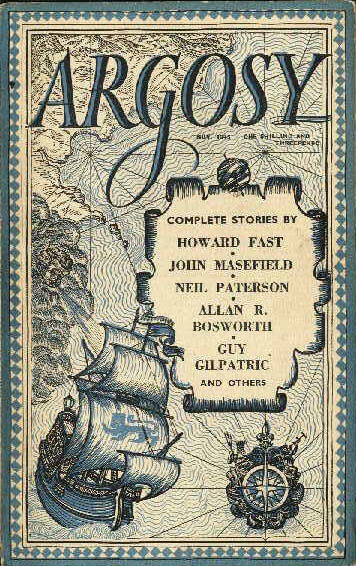 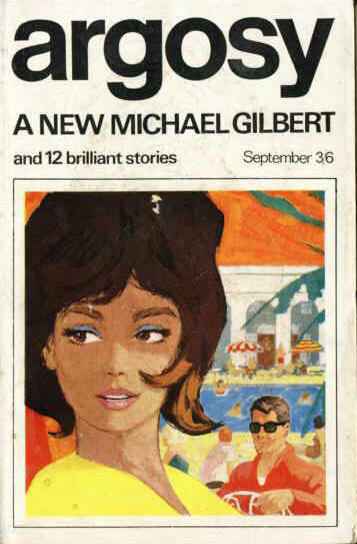 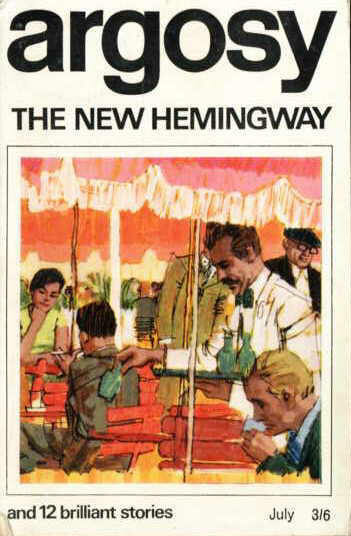 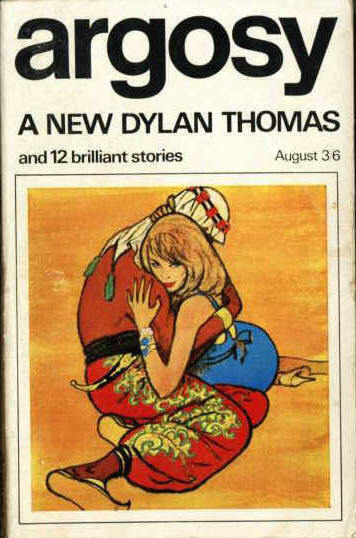 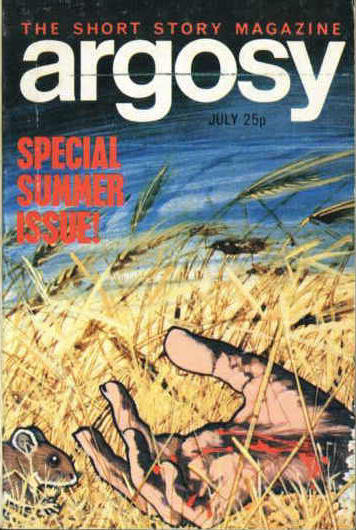 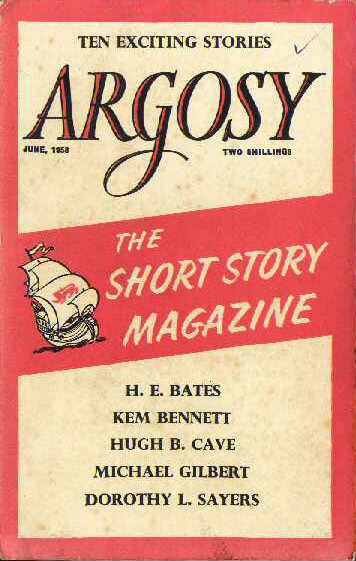 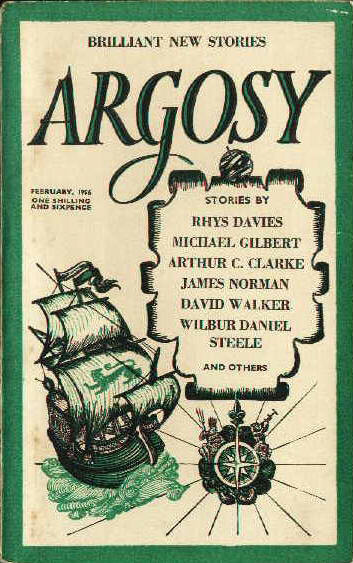 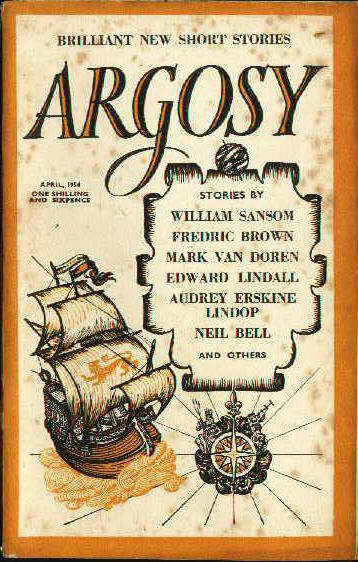 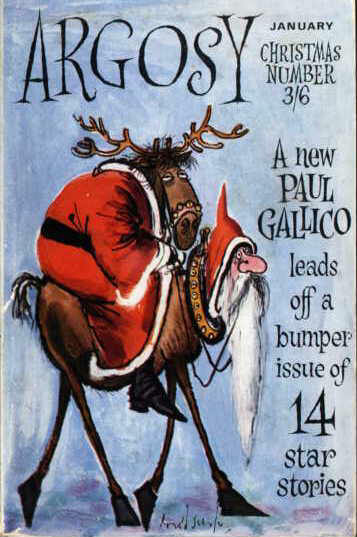 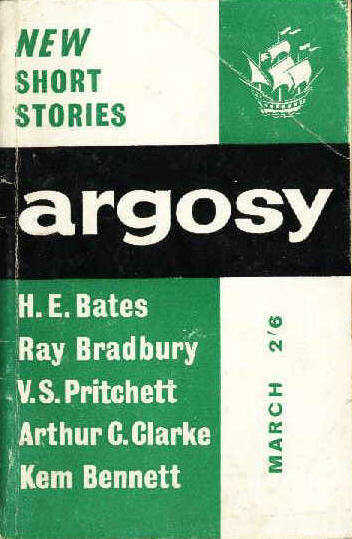 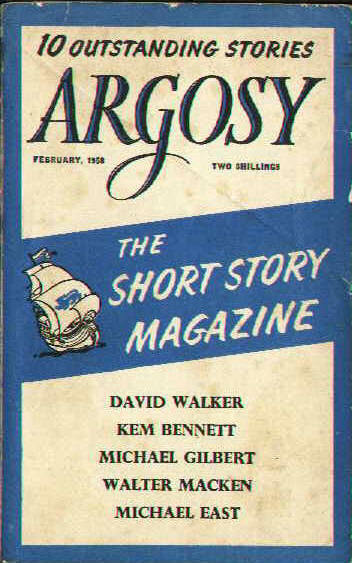 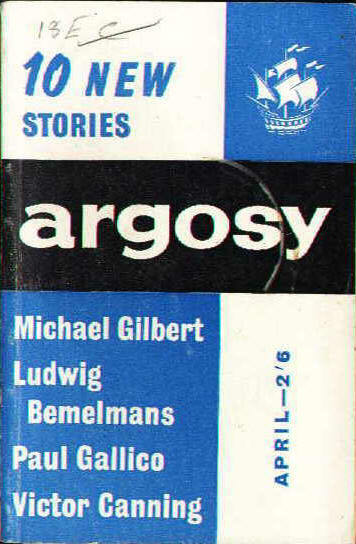 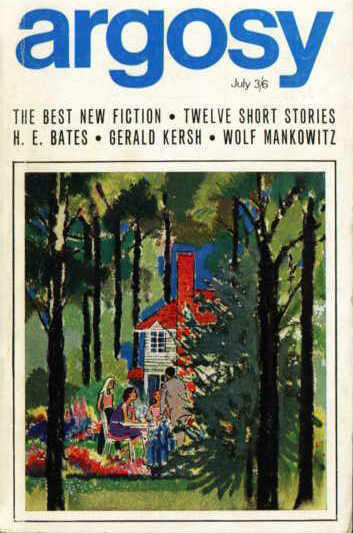 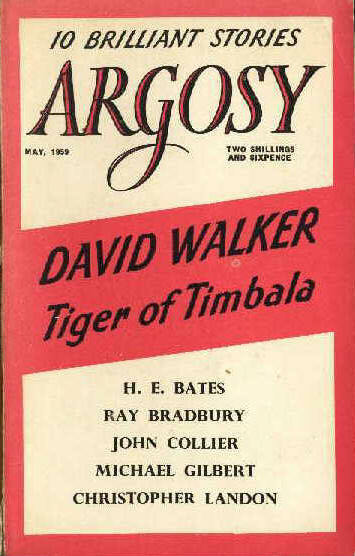 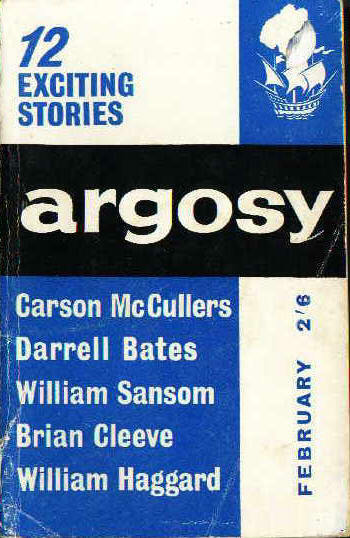 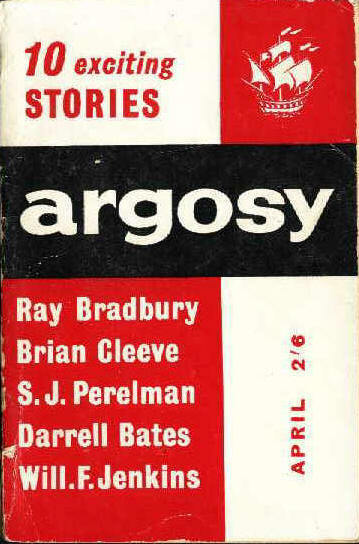 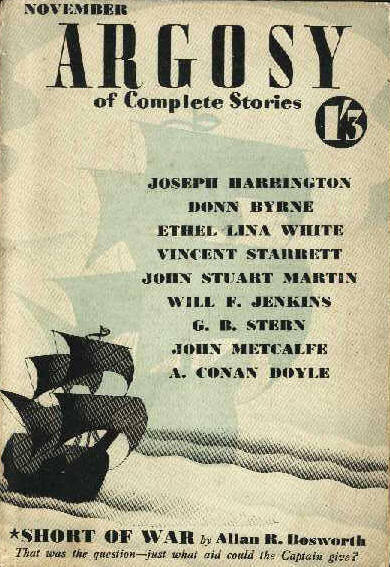 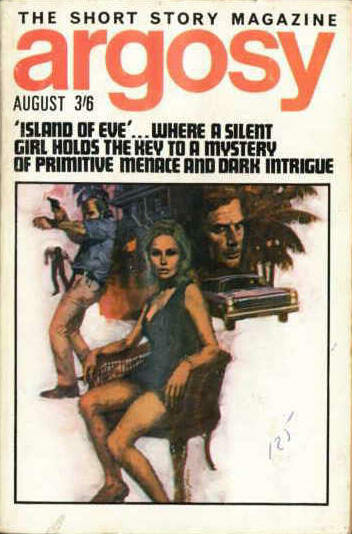 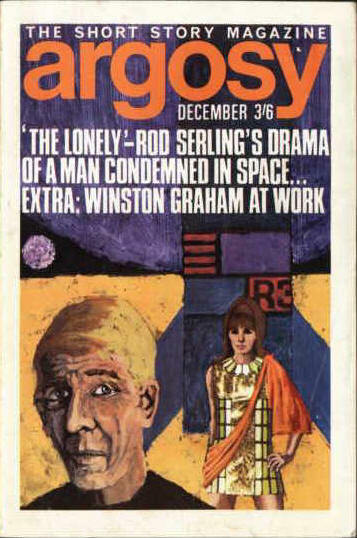 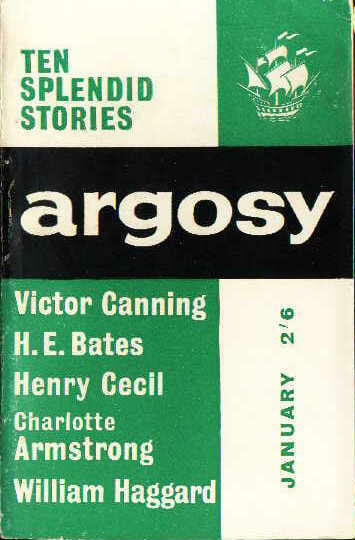 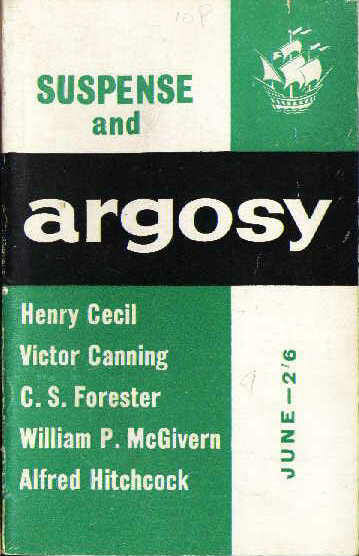 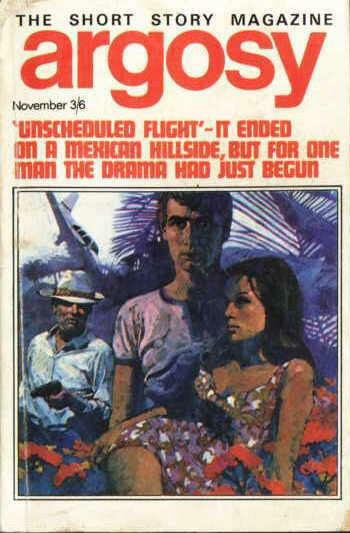 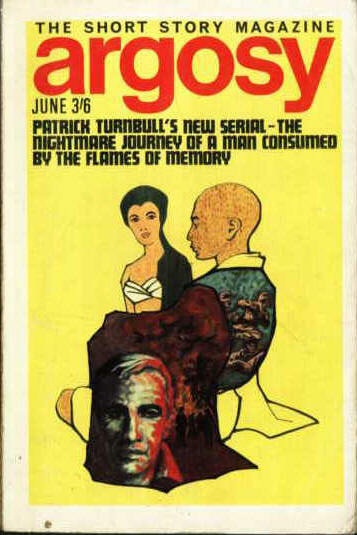 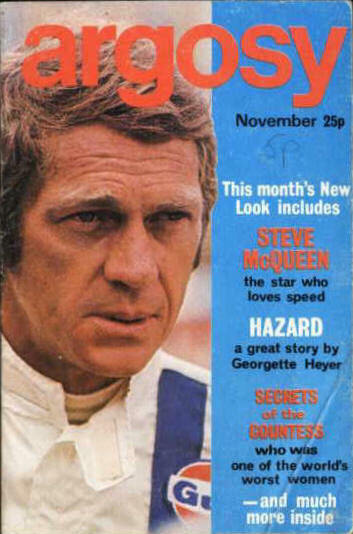 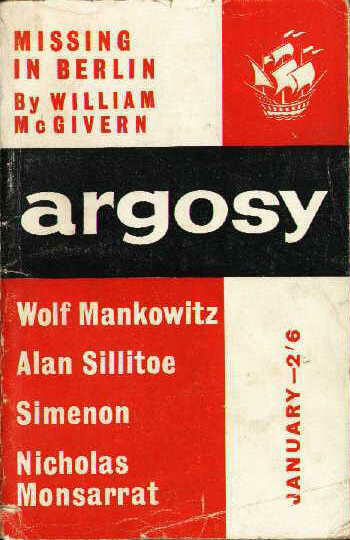 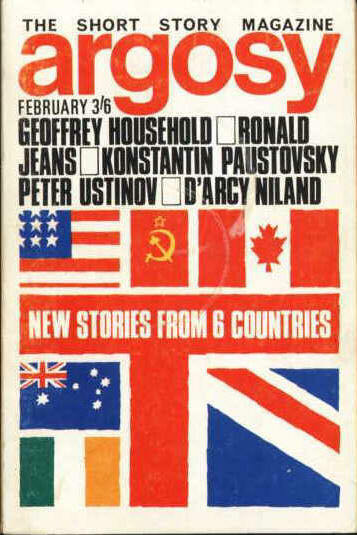 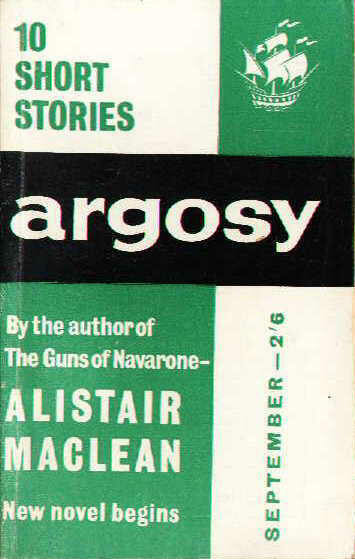 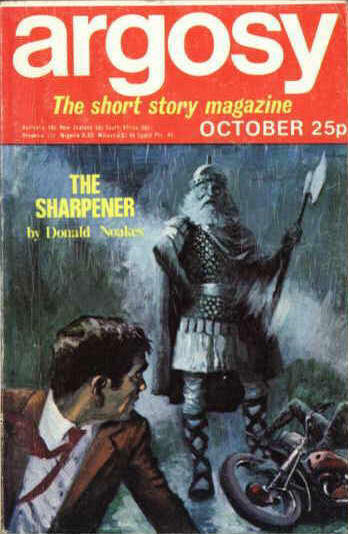 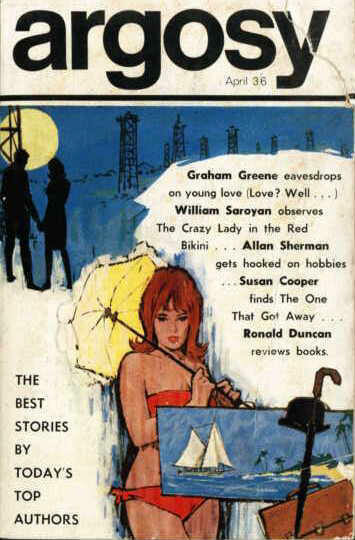 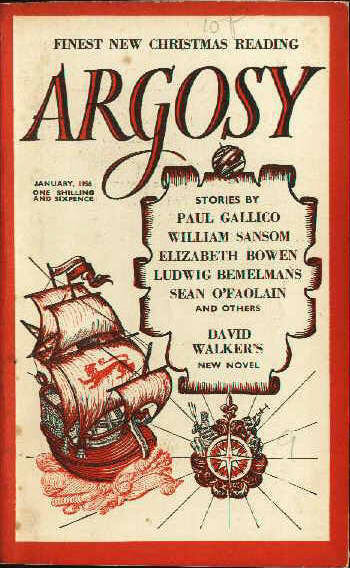 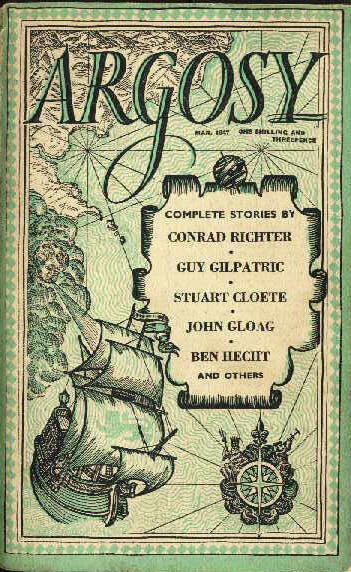 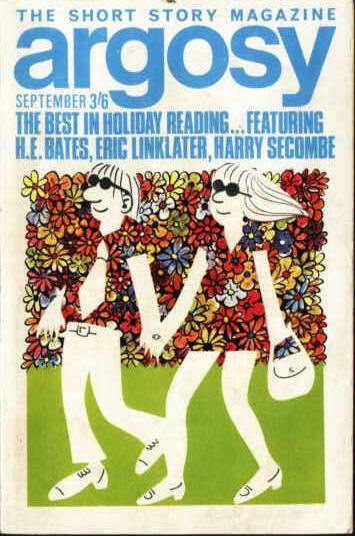 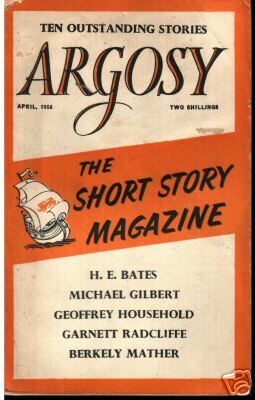 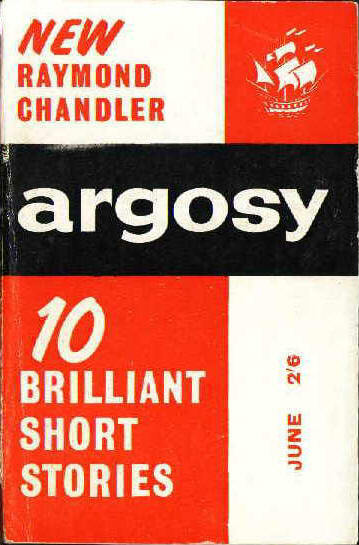 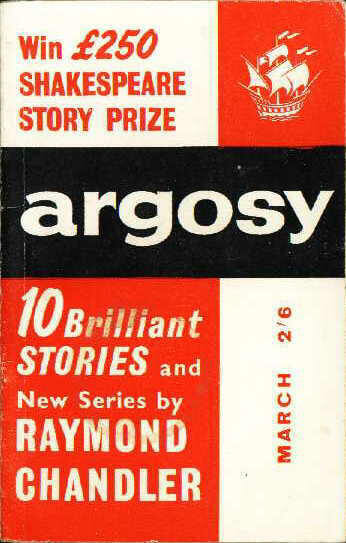 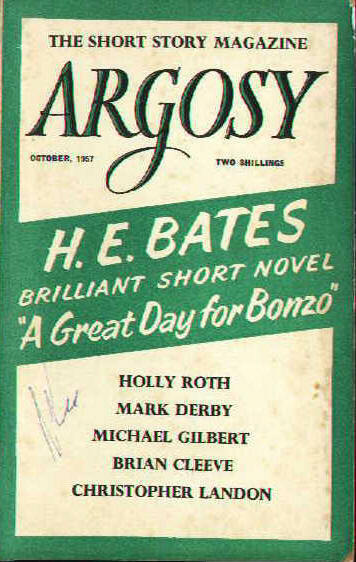 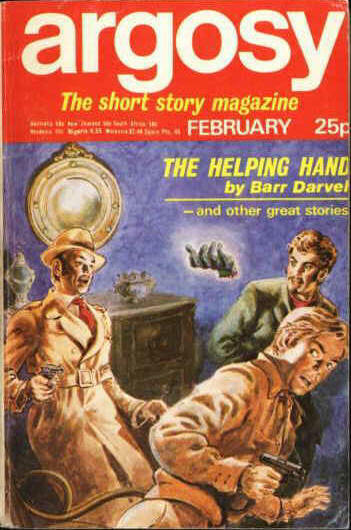 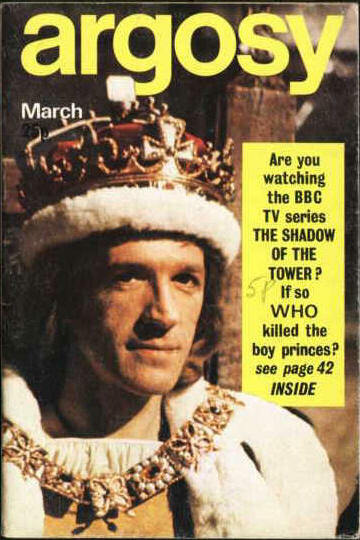 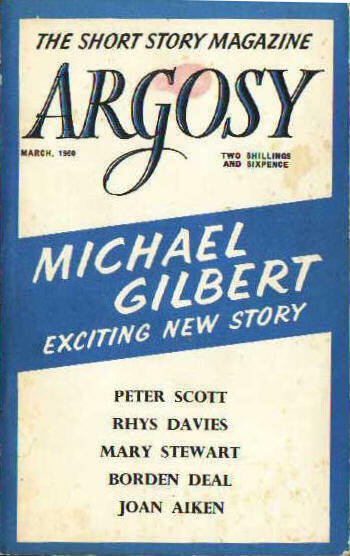 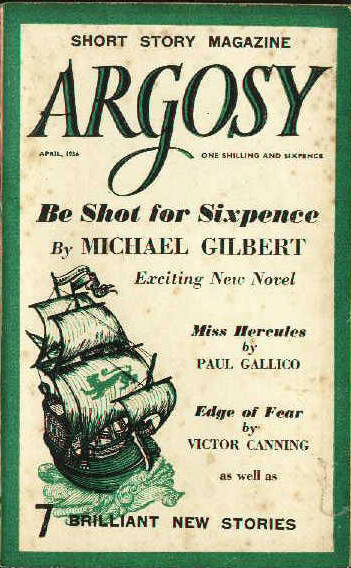 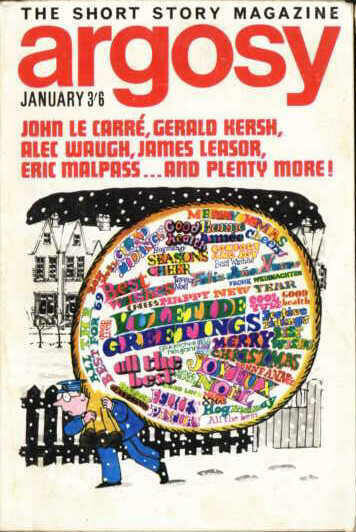 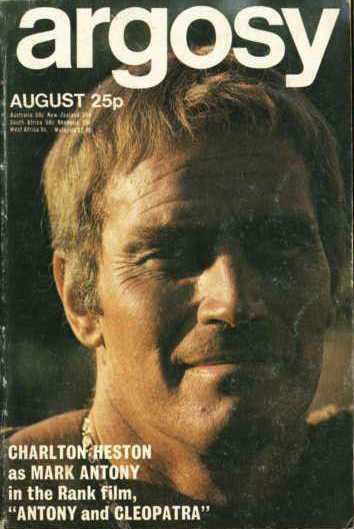 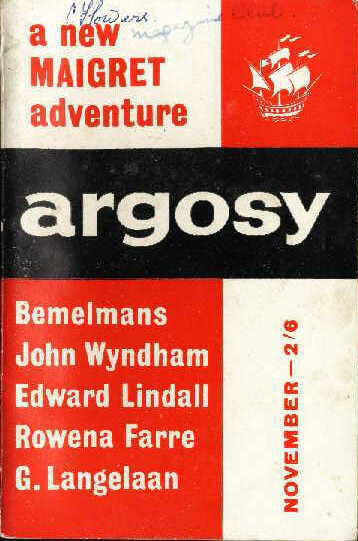 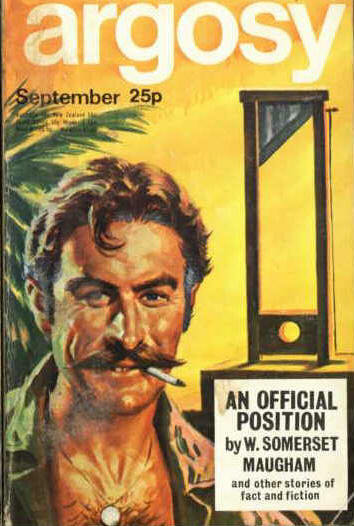 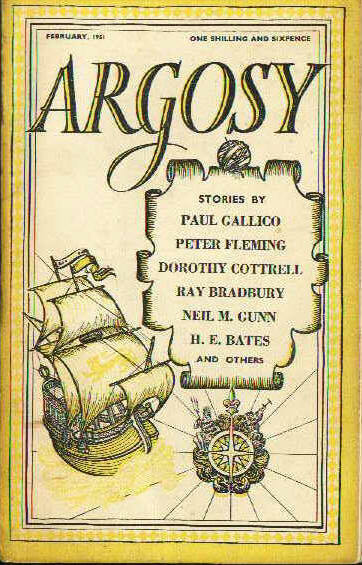 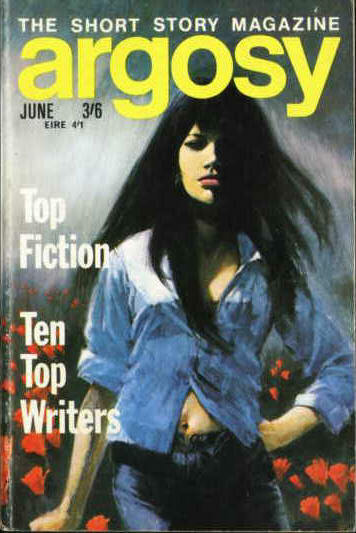 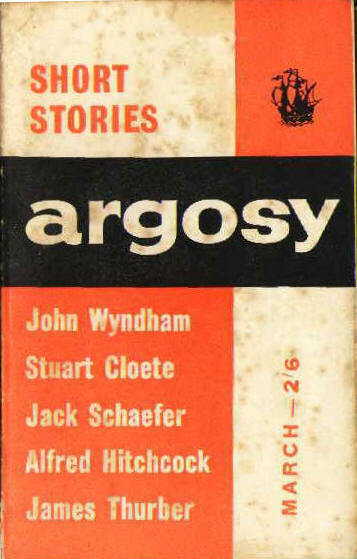 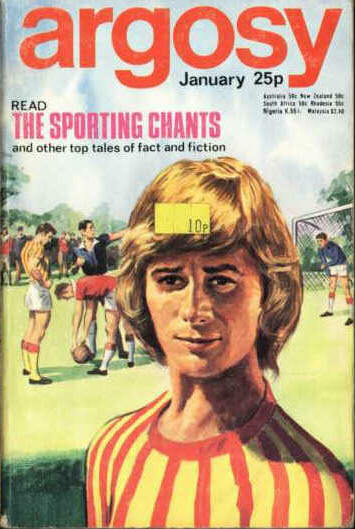 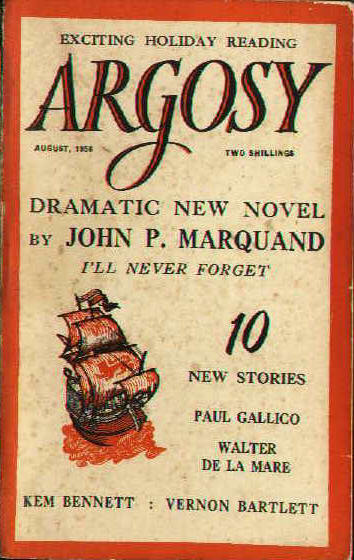 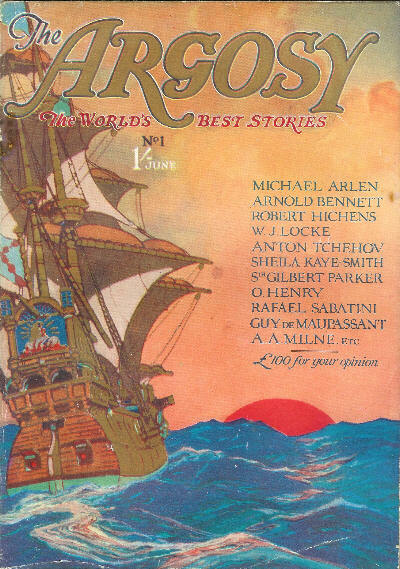 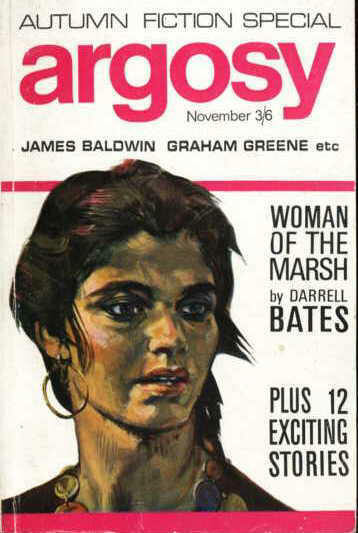 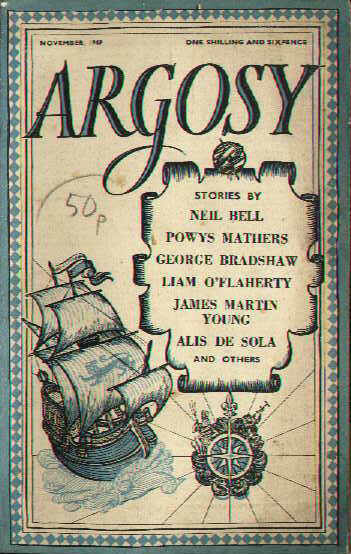 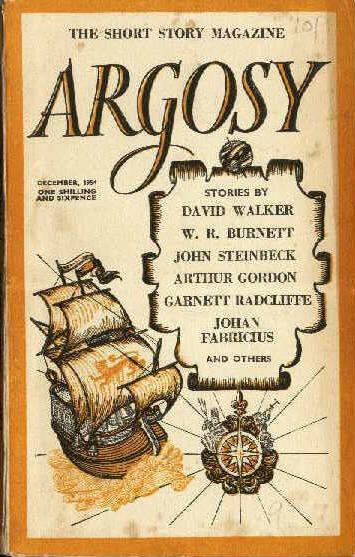 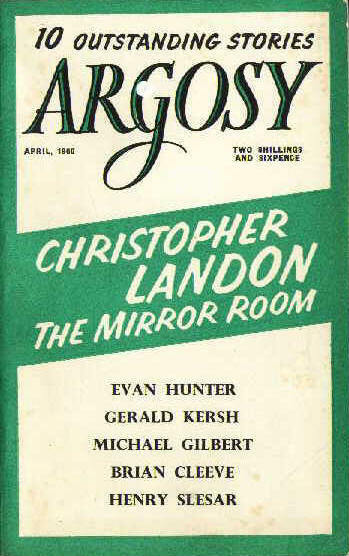 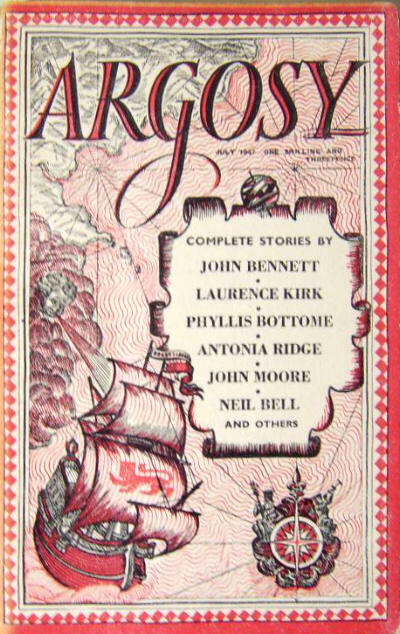 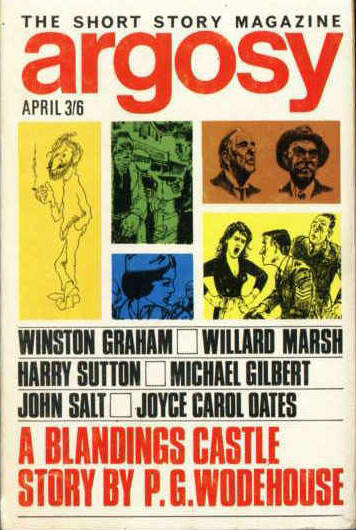 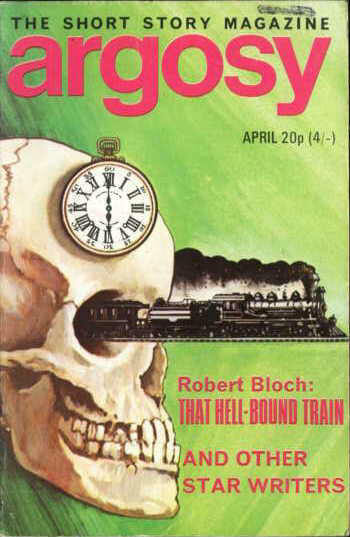 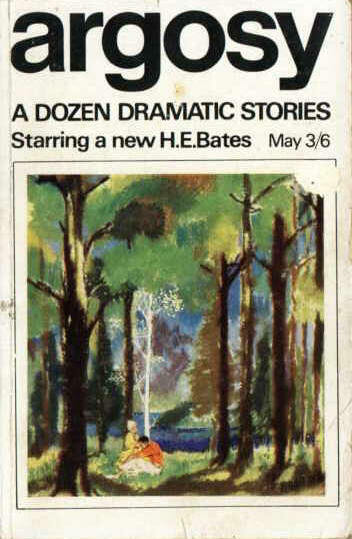 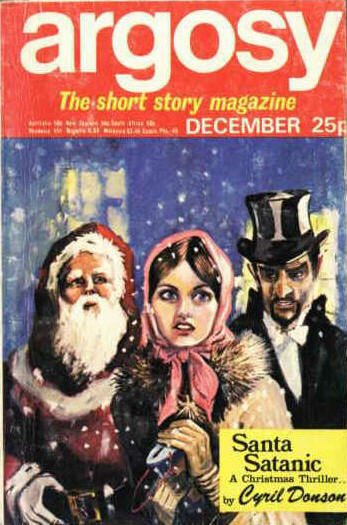 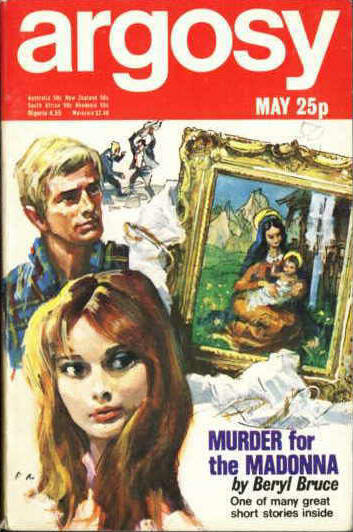 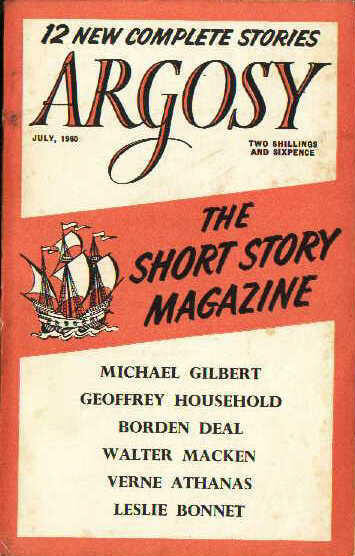 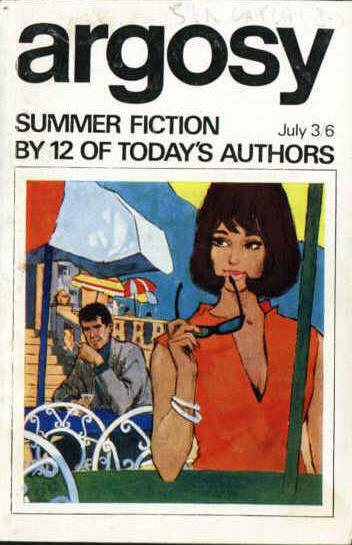 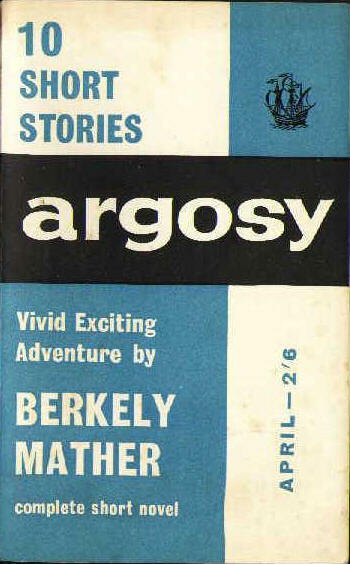 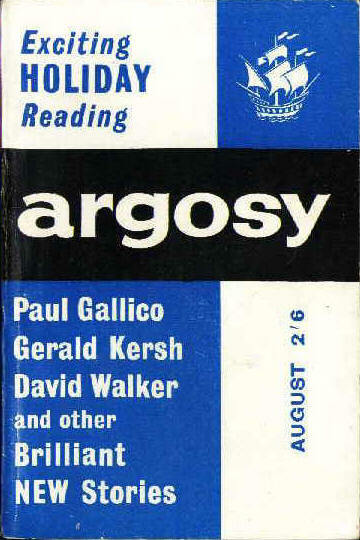 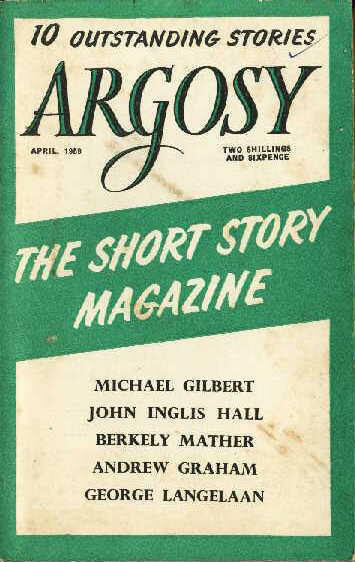 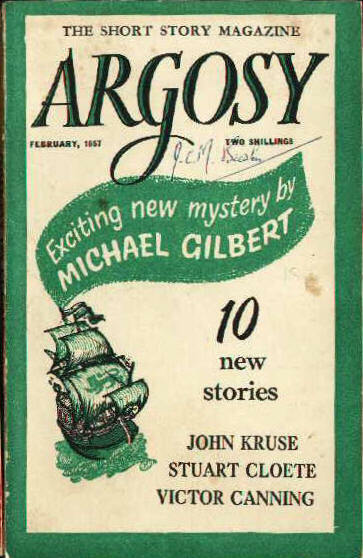 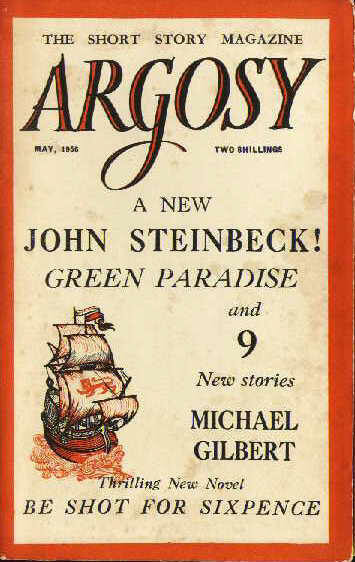 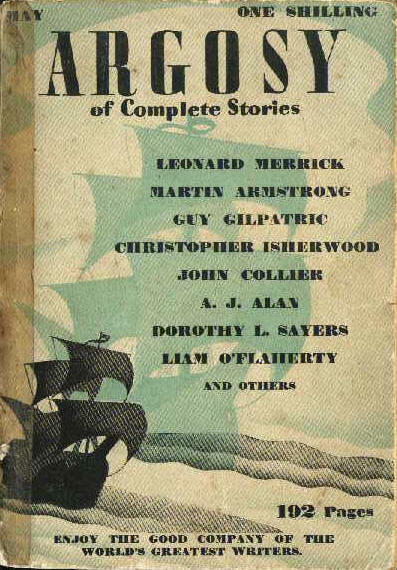 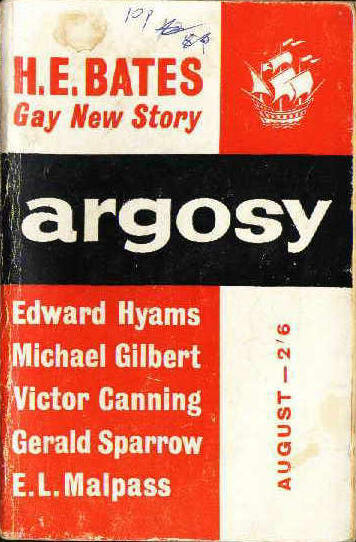 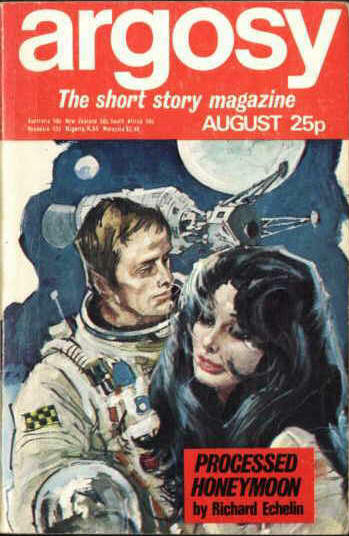 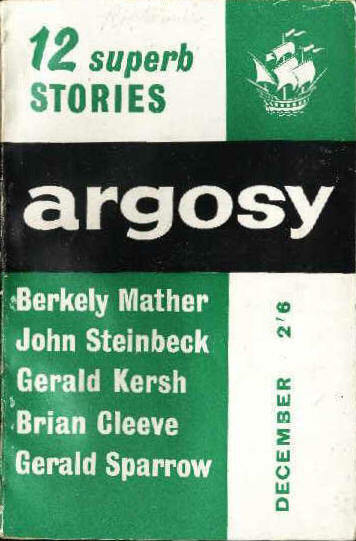 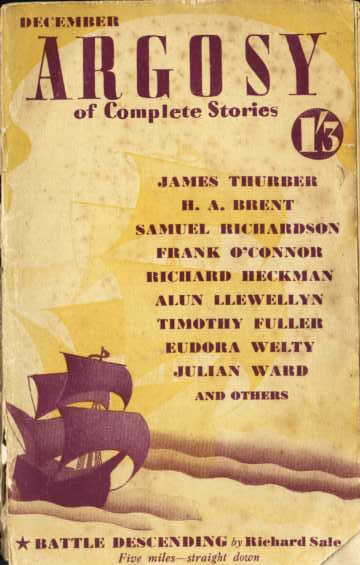 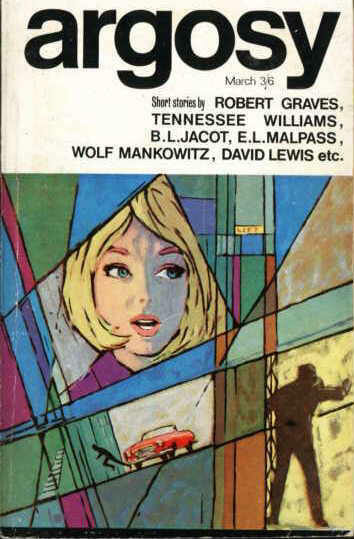 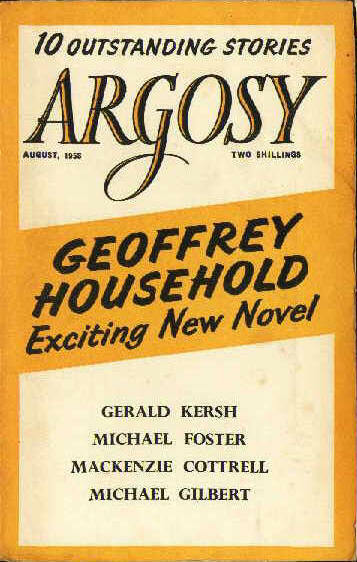 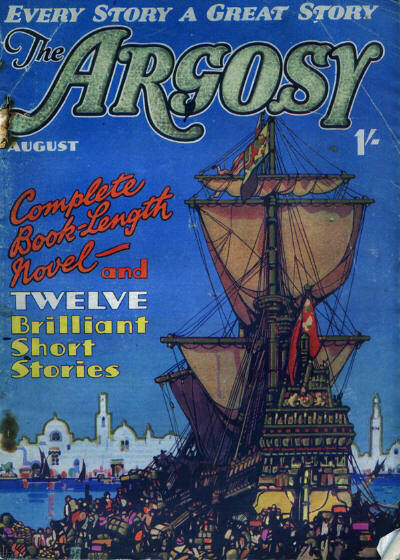 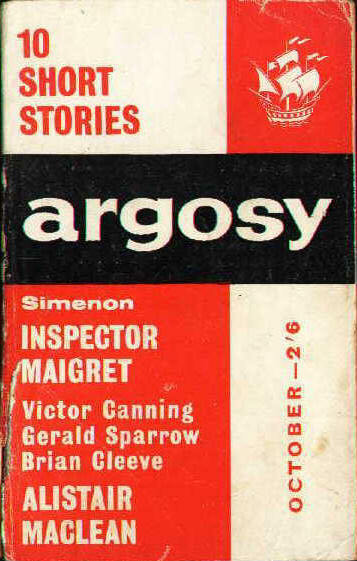 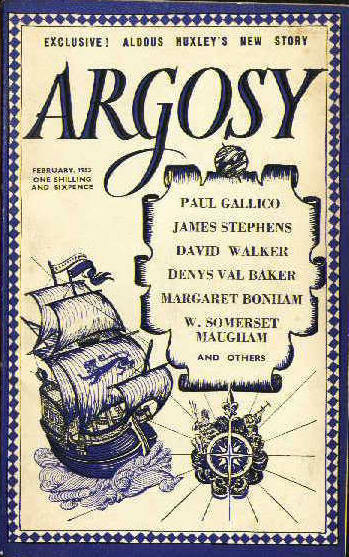 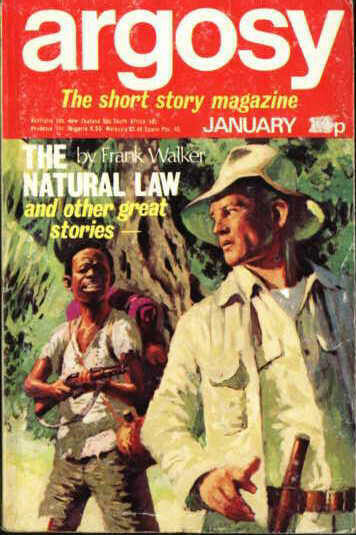 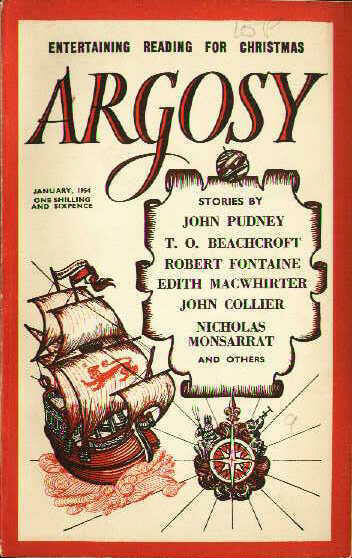 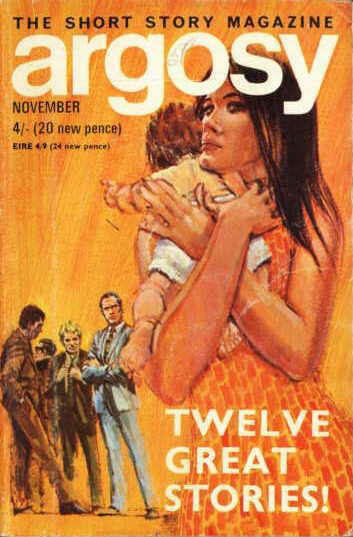 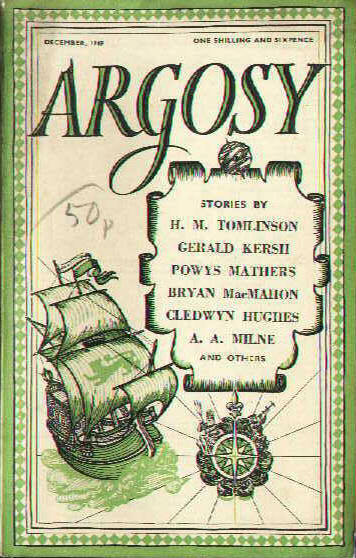 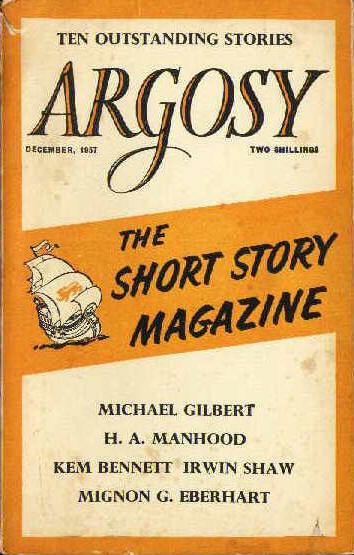 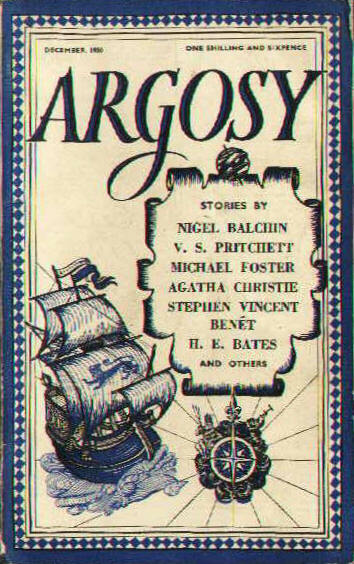 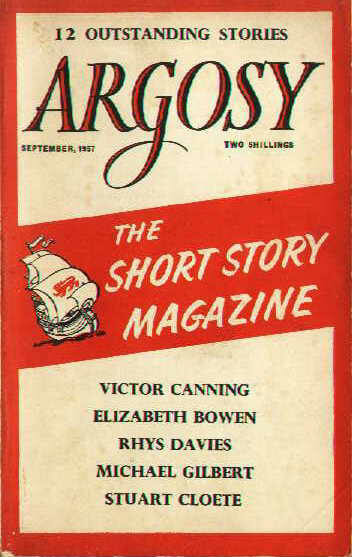 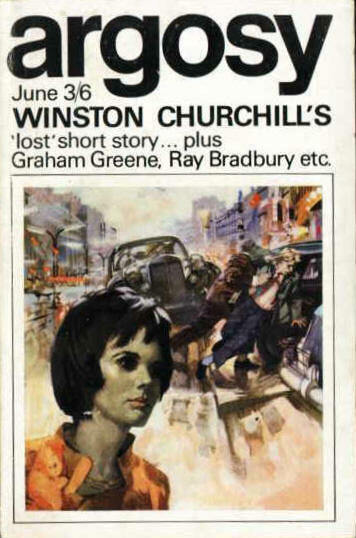 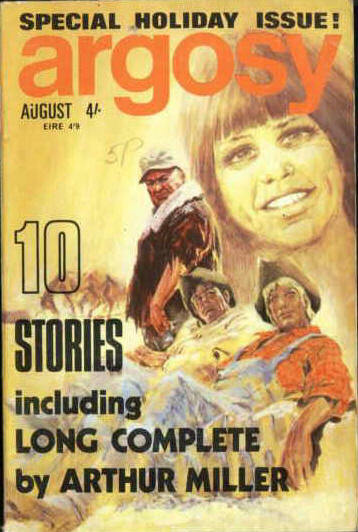 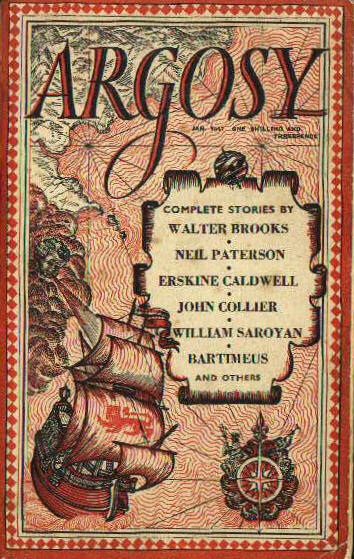 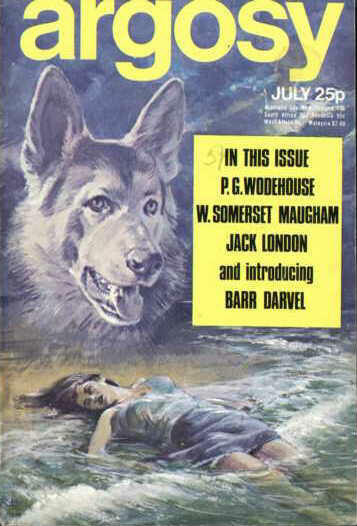 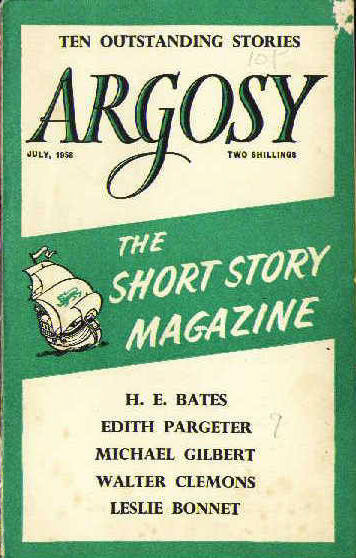 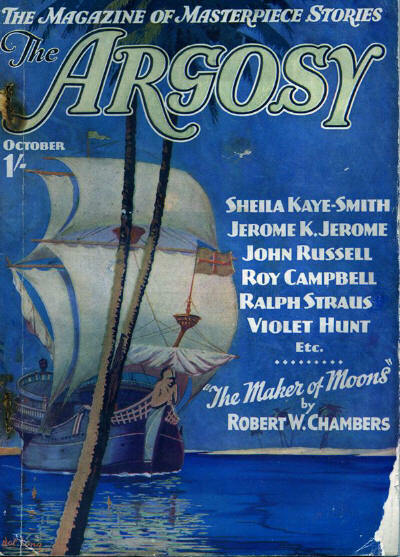 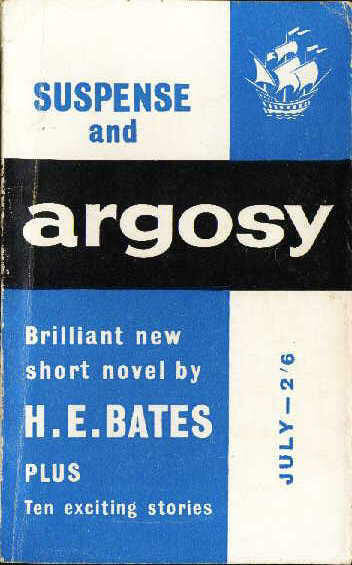 This version had no connection (beyond the name) with either of the other two magazines, and, from the start, was predominantly intended as "a reprint magazine of the world's best short stories". 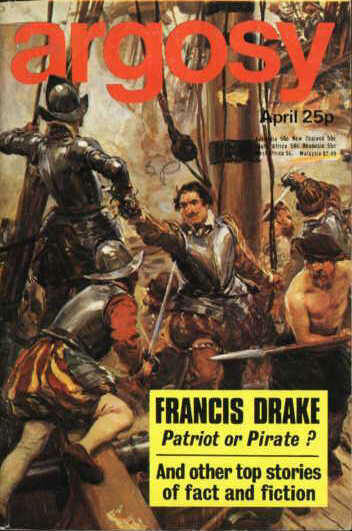 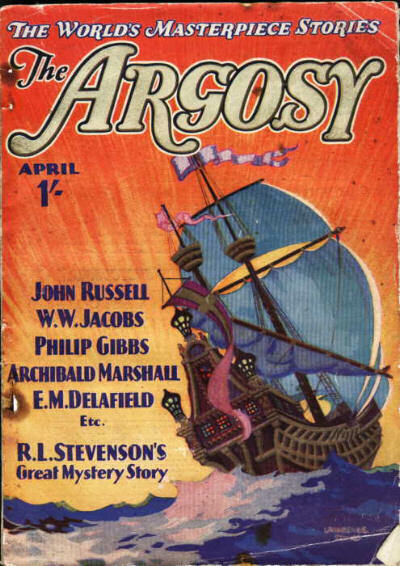 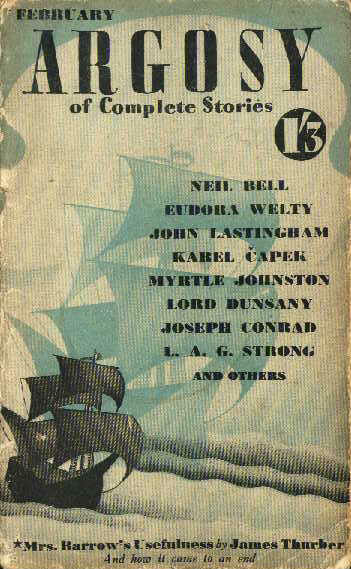 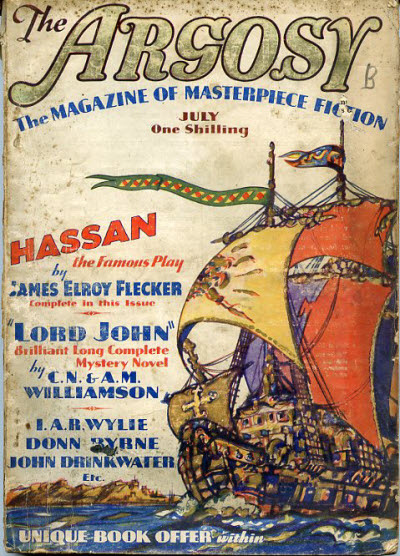 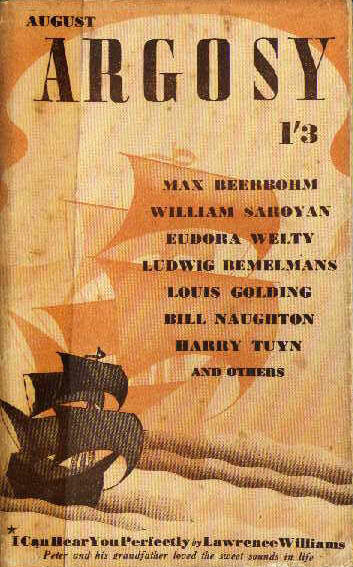 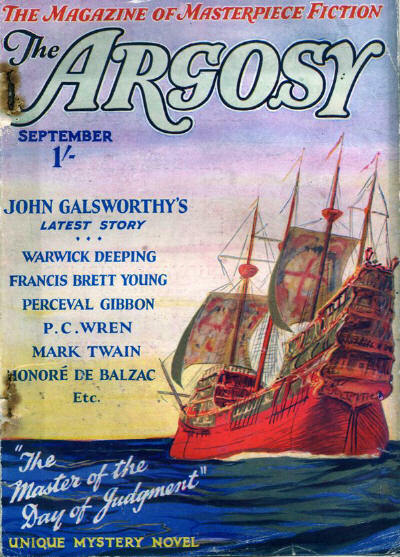 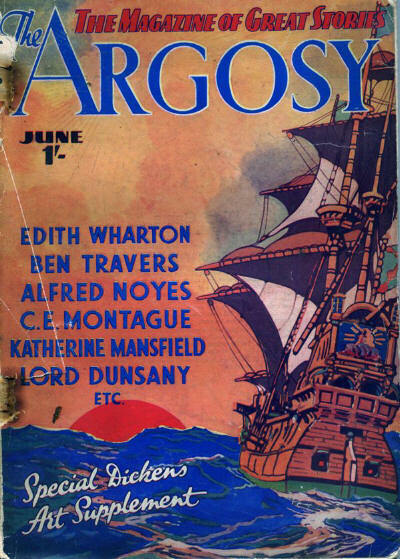 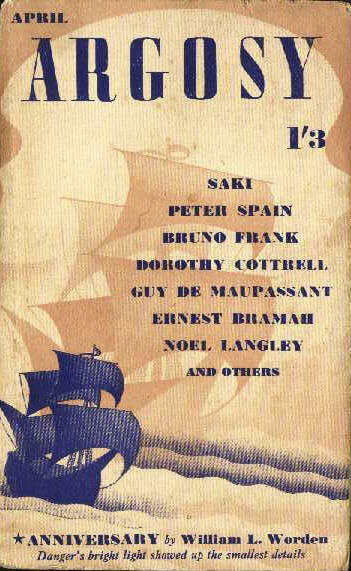 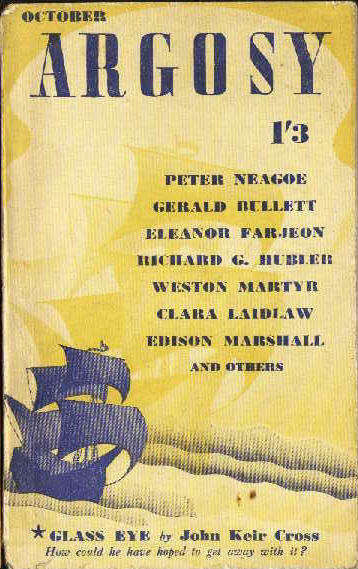 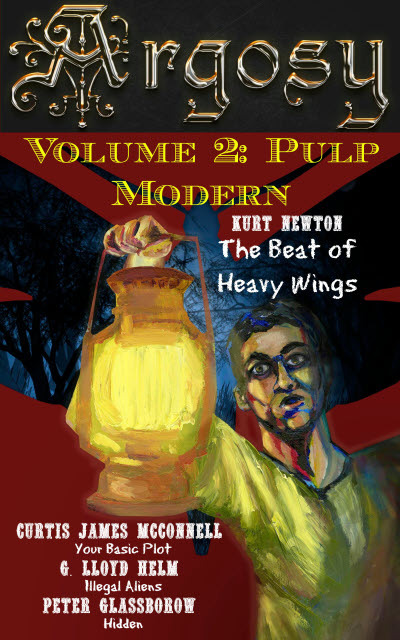 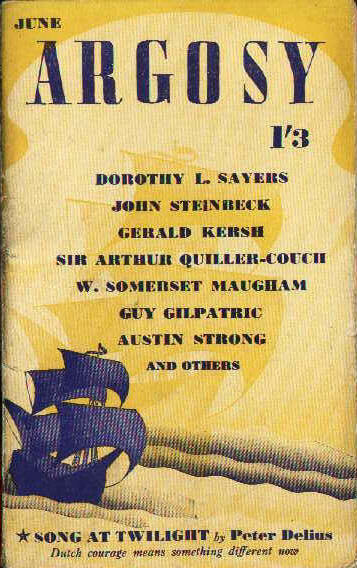 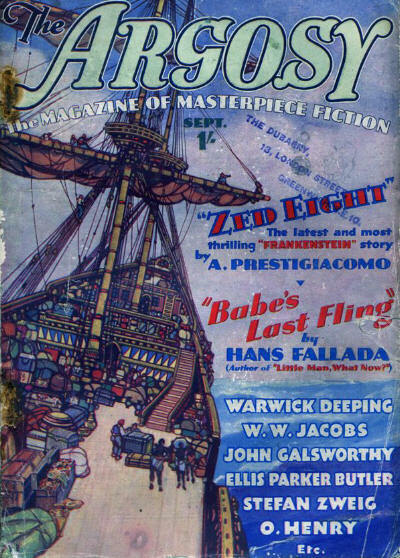 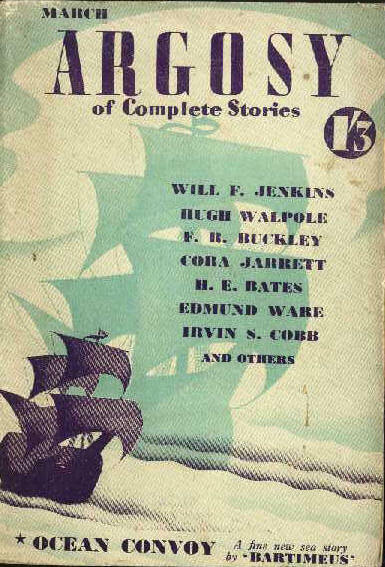 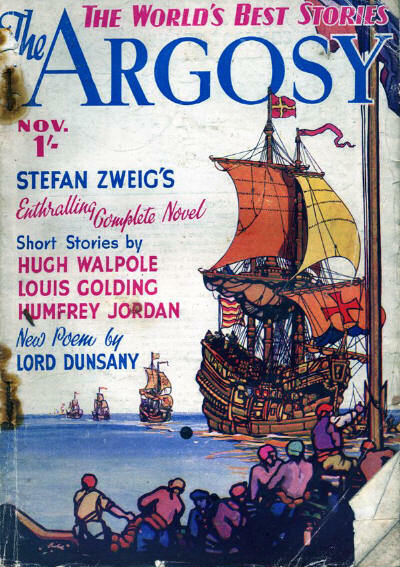 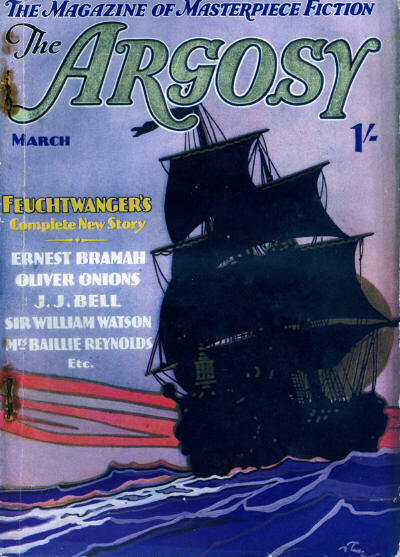 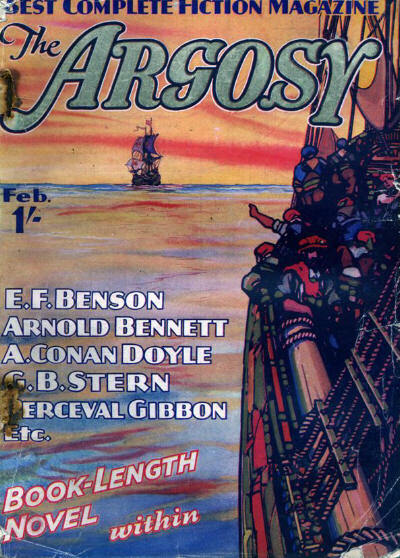 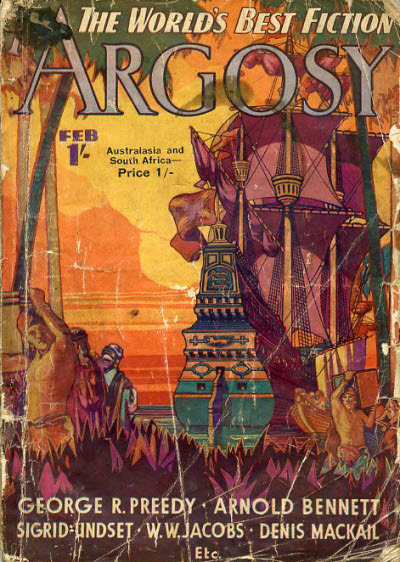 For the first 14 years it was a fairly staid pulp magazine, whose covers almost universally displayed just a single sailing ship. 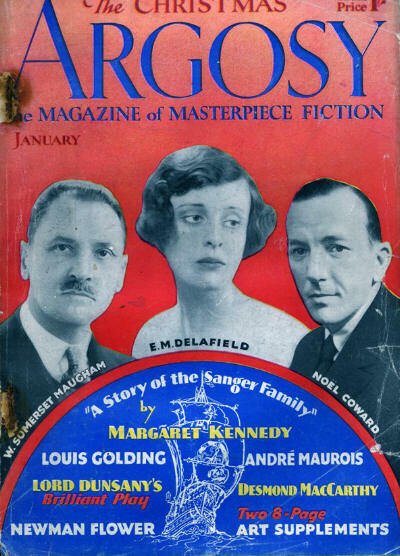 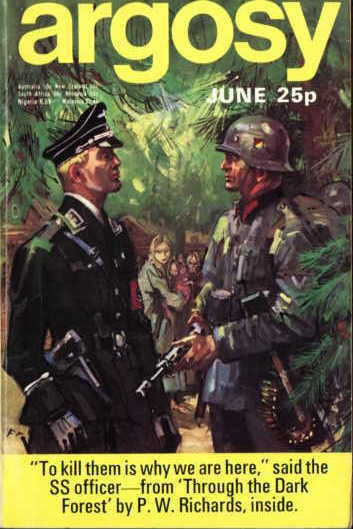 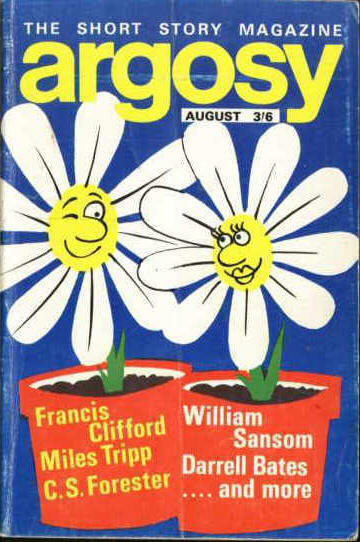 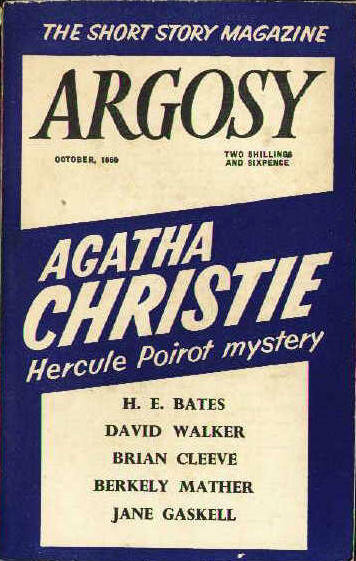 Then in 1940 there was a dramatic change in format as the magazine became a digest, remaining one for the following 34 years. 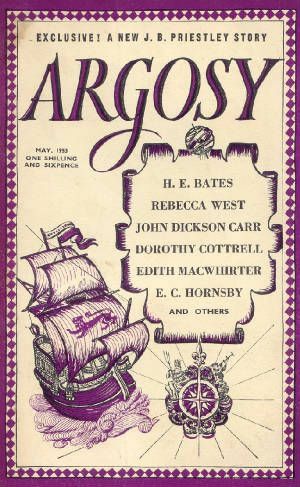 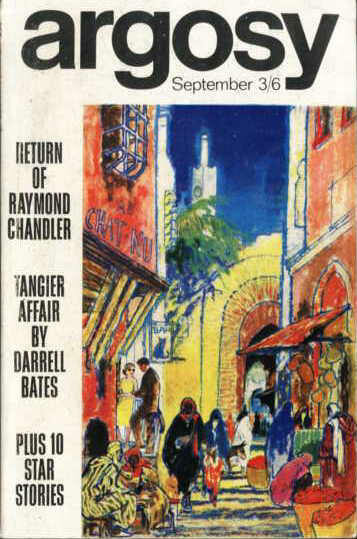 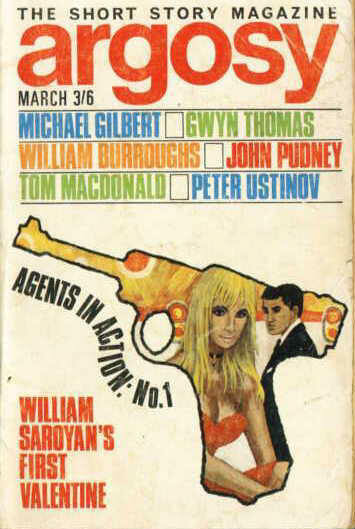 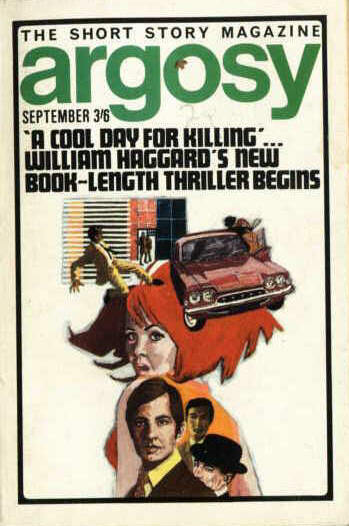 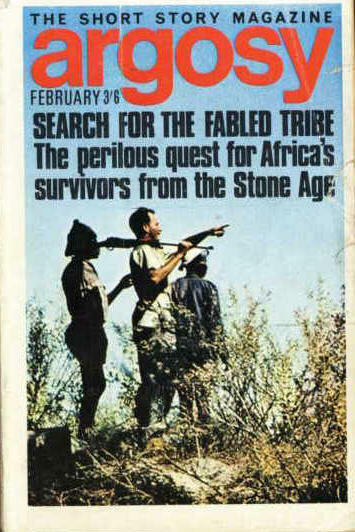 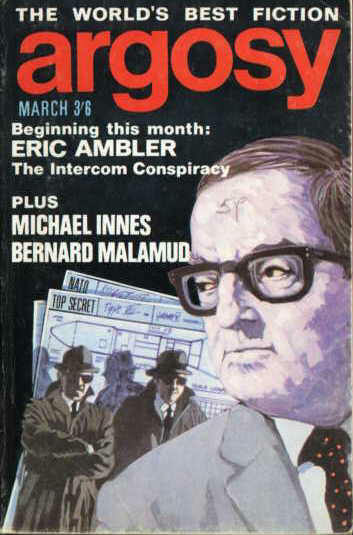 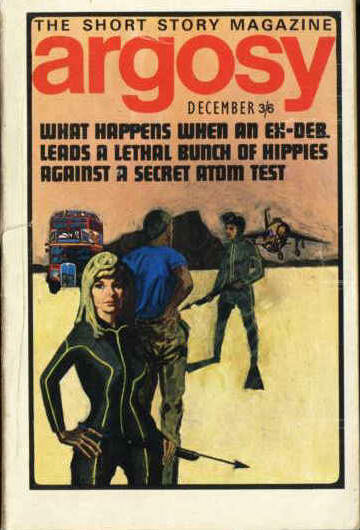 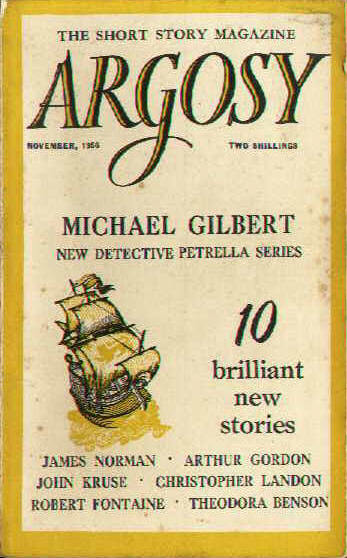 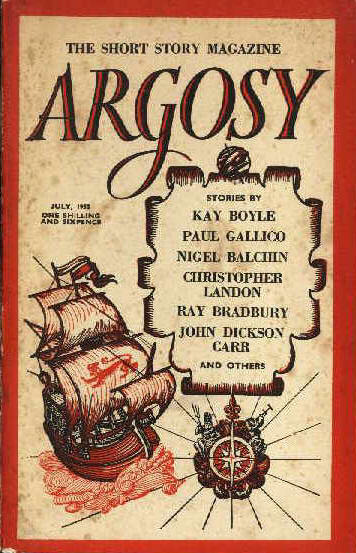 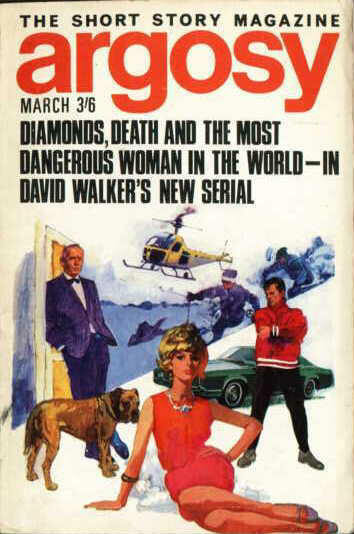 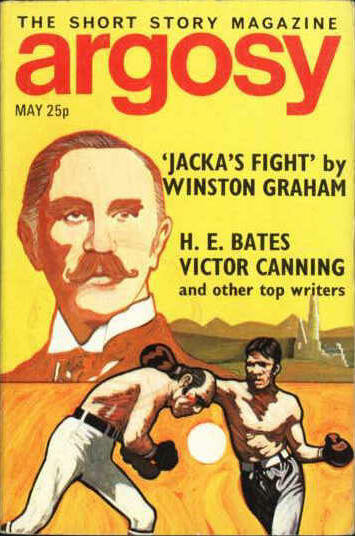 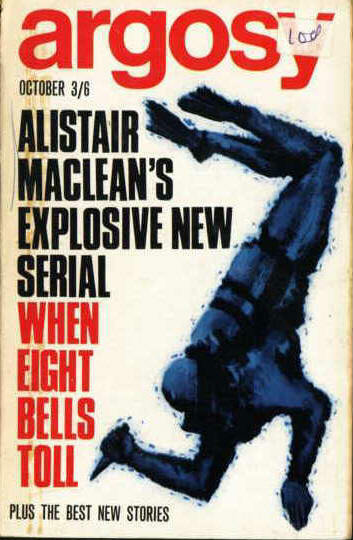 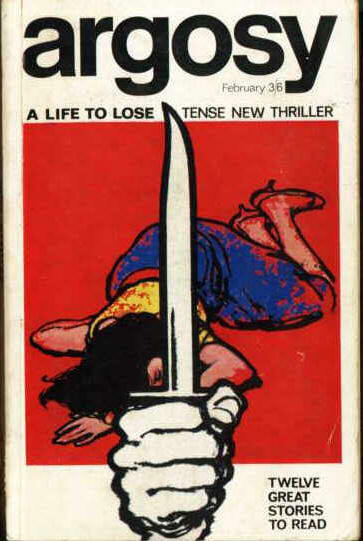 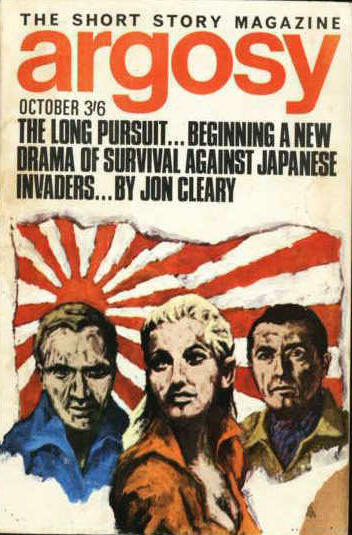 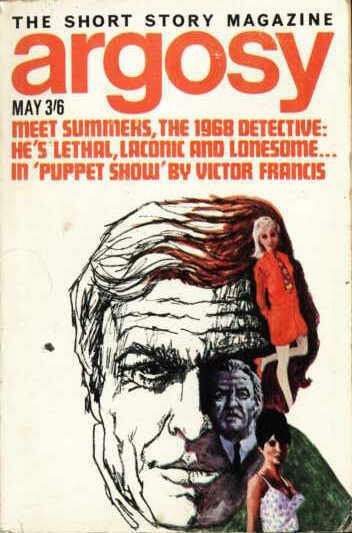 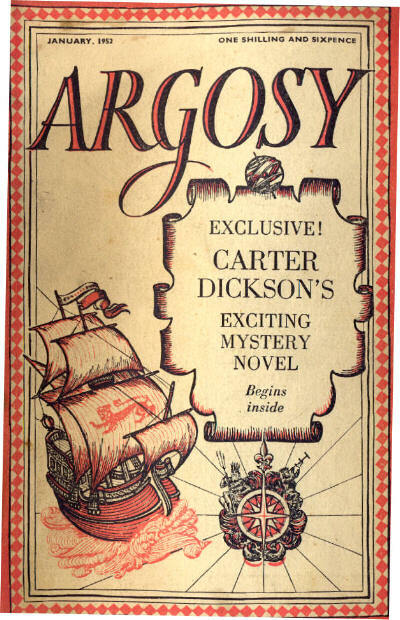 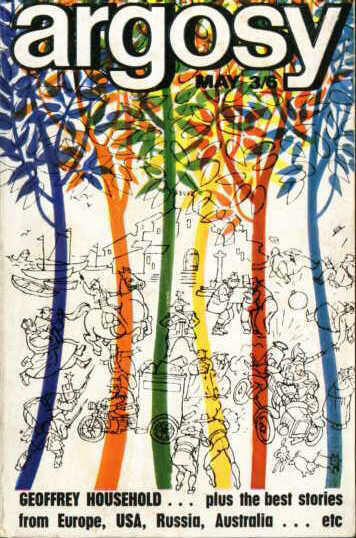 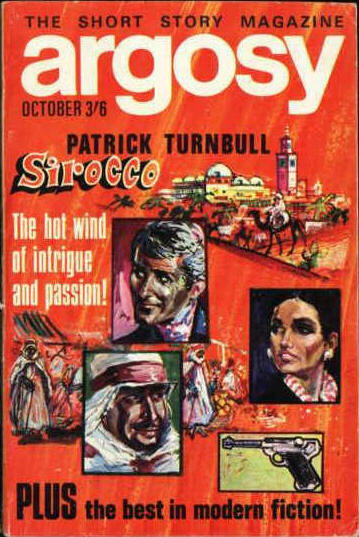 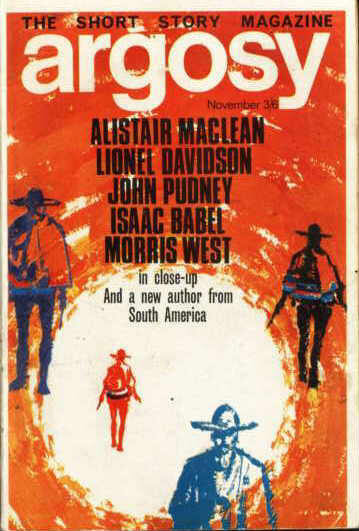 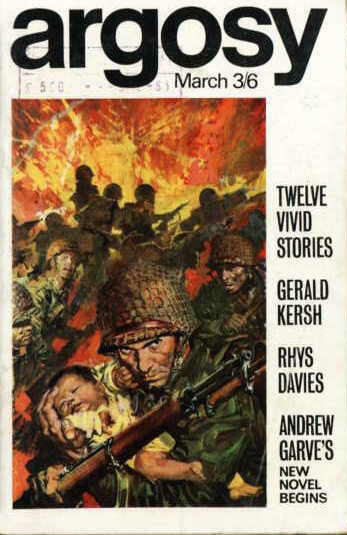 As with most digests it was notable for much of its life for also having fairly uninteresting covers, although the final ten years of its life did see a burst of full-colour, illustrated, covers. 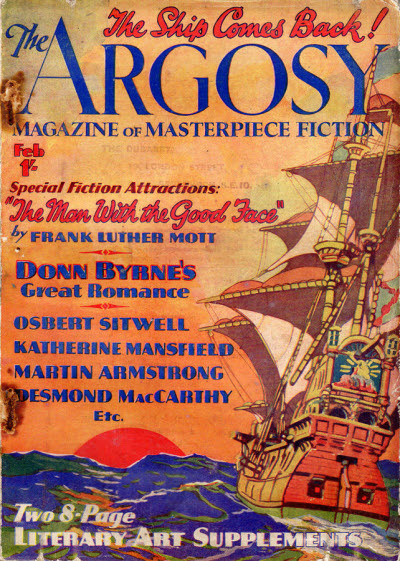 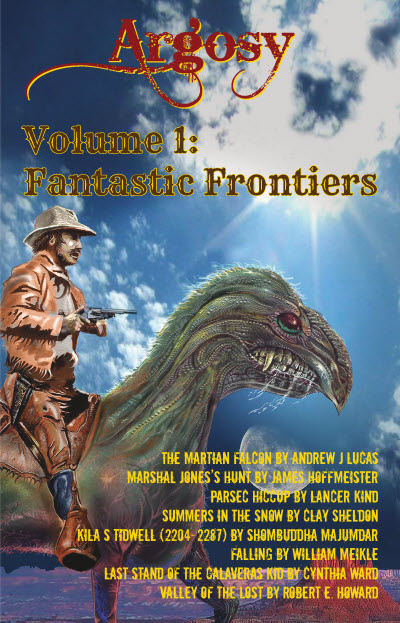 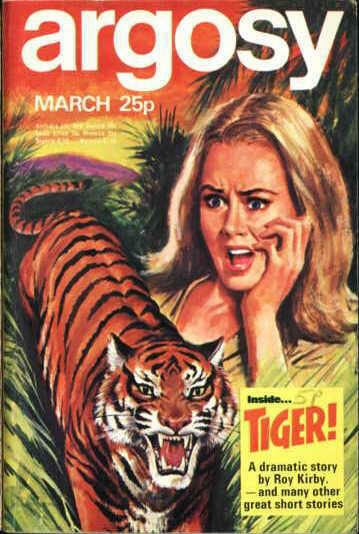 Despite the predominance of reprint fiction, the magazine also published a significant amount of interesting new fiction, particularly while a digest. 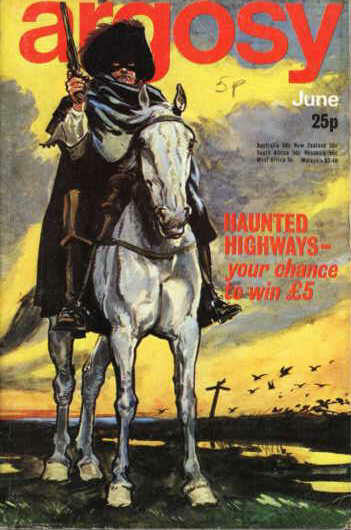 There was also a very short-lived fourth incarnation in 2013/4 that claimed inspiration from the third incarnation but had little in common with it.